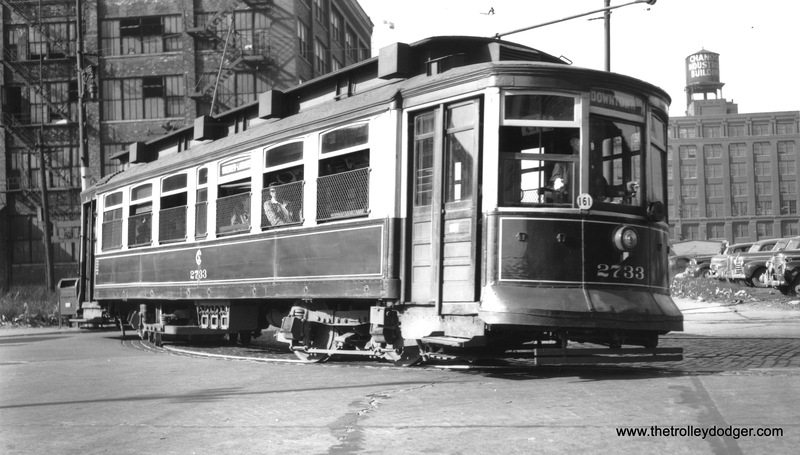 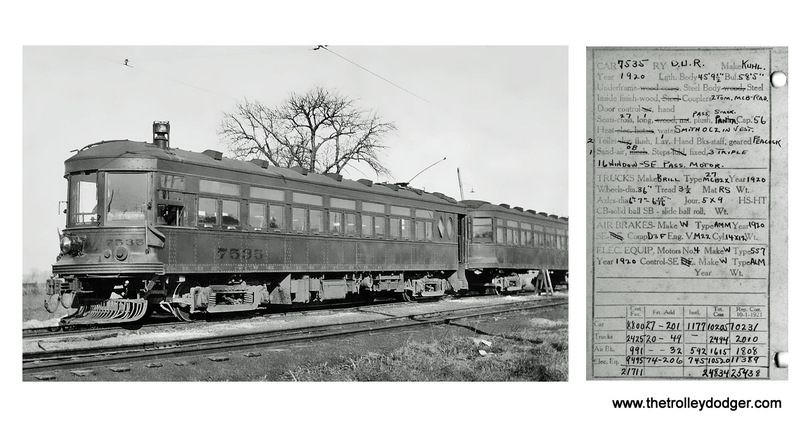 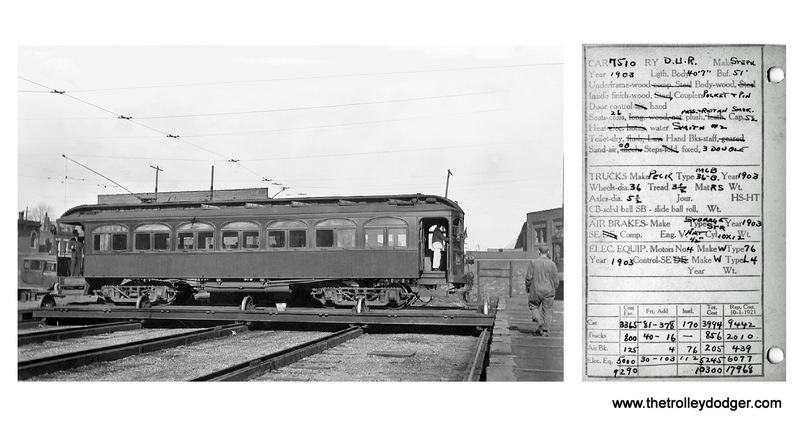 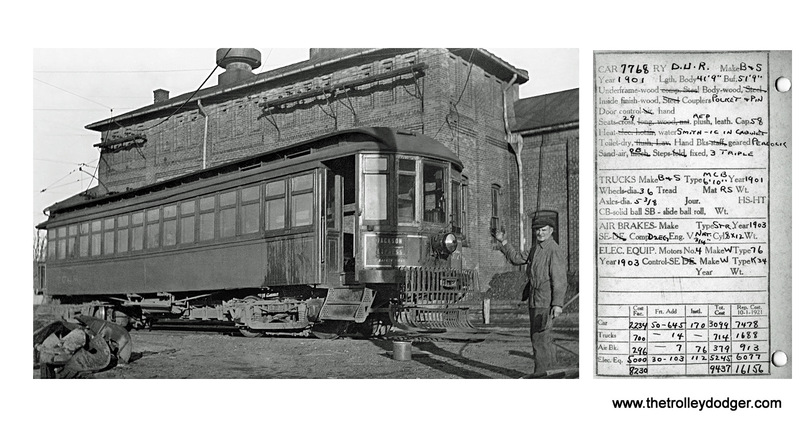 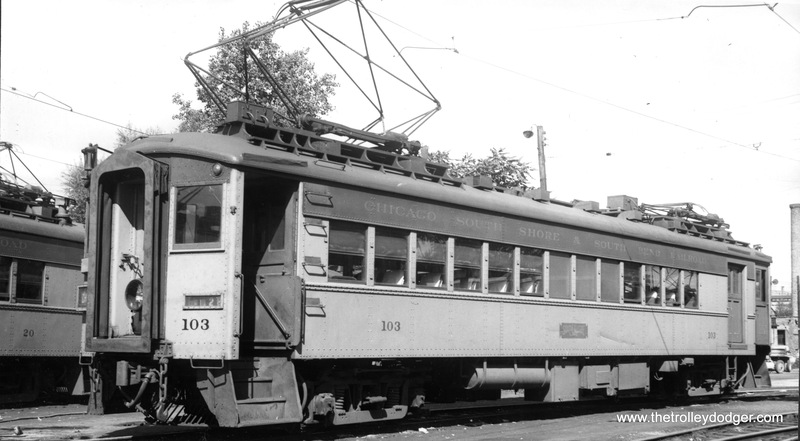 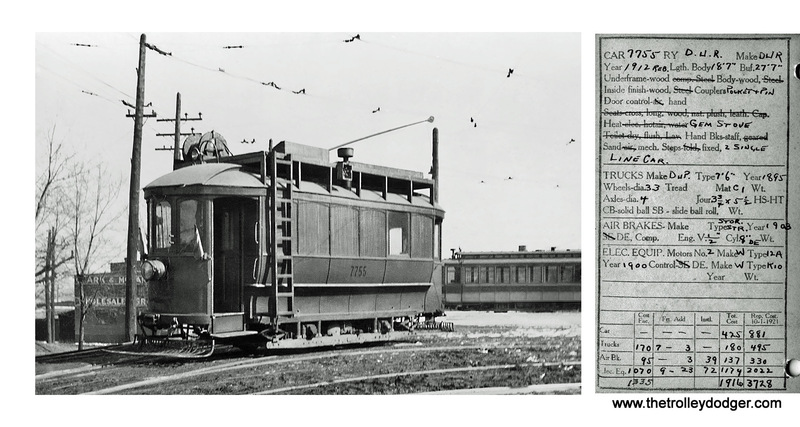 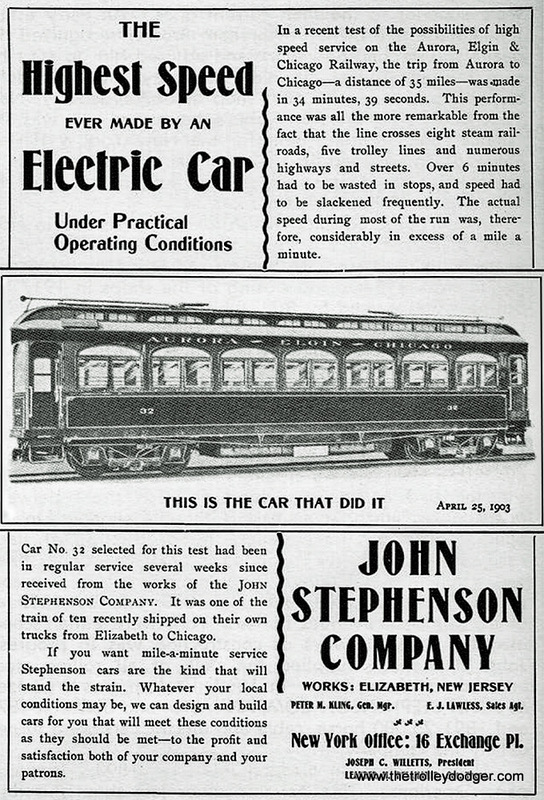 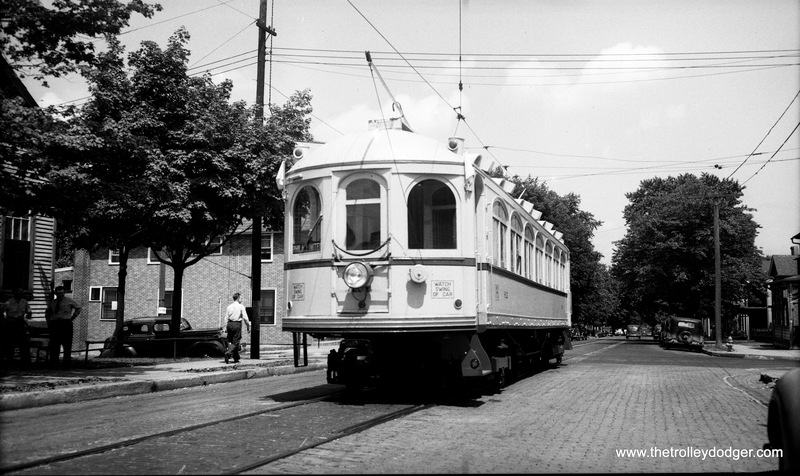 June 21st marks 60 years since the last Chicago streetcar ran. 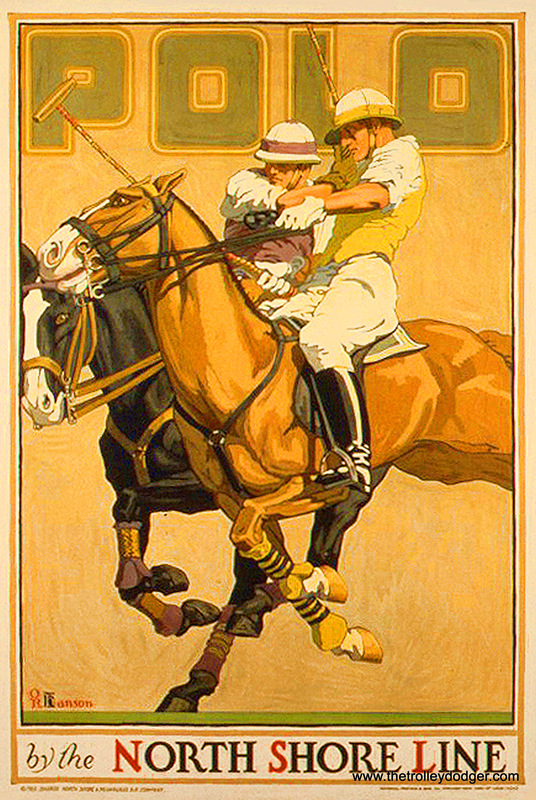 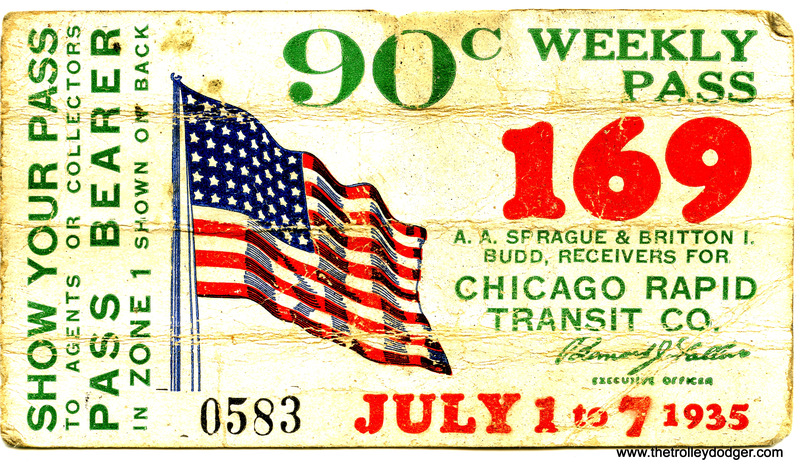 If you consider that 80 years is, perhaps, about an average lifespan, that means 3/4ths of such a time has now passed since that historic event. 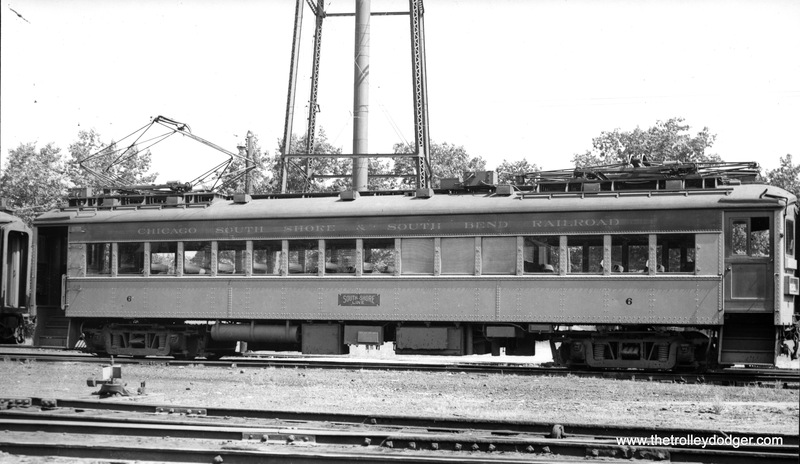 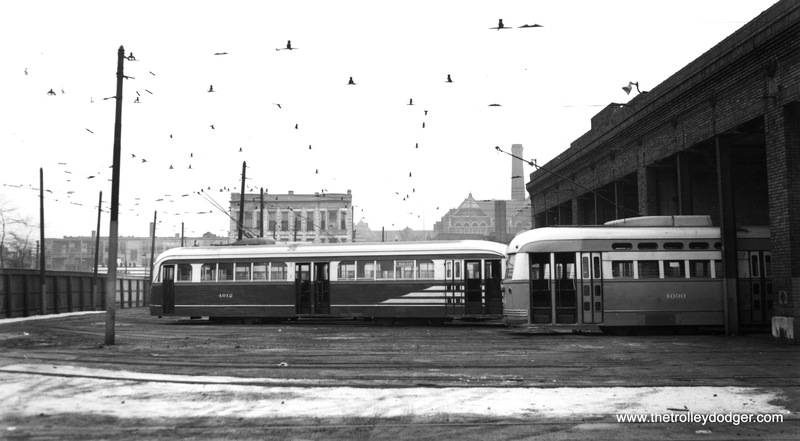 The number of people still living who rode Chicago streetcars is dwindling, and is certainly only a small fraction of the current population. 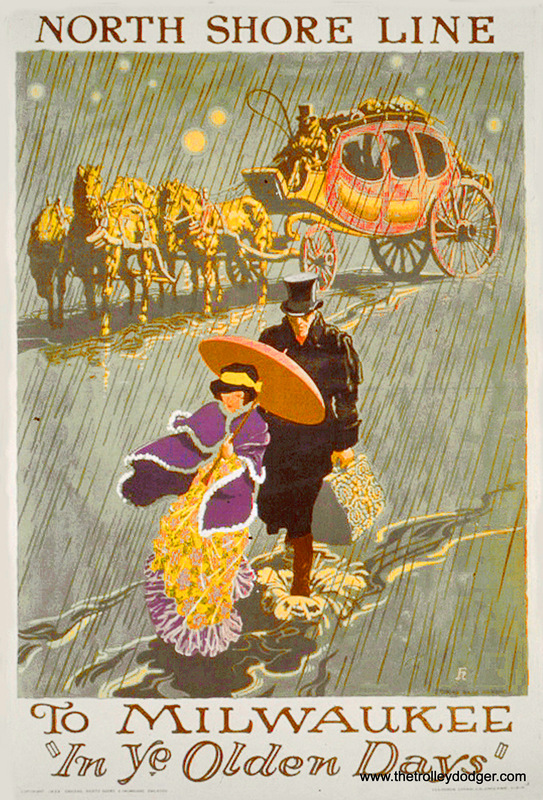 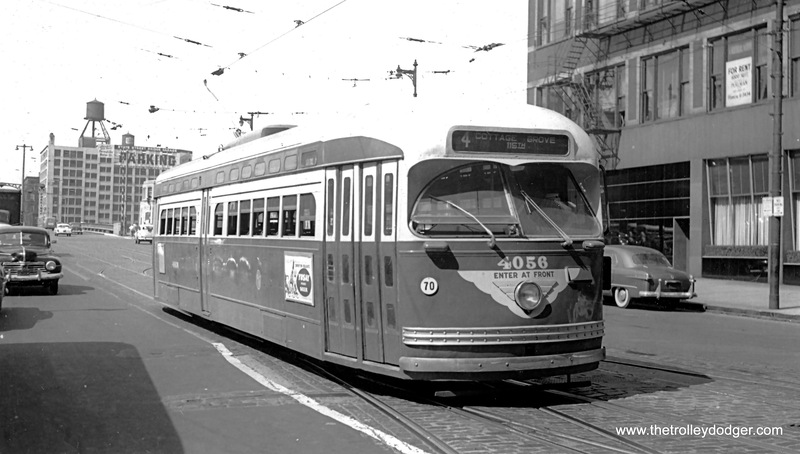 At age 63, I must be among the youngest people who can say they rode a Chicago streetcar on the streets of Chicago, much less remember it. 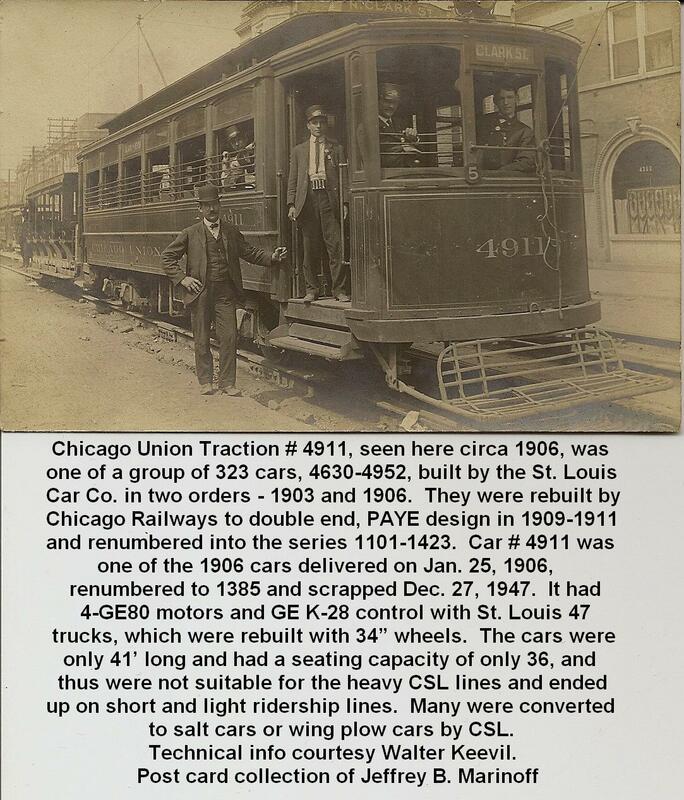 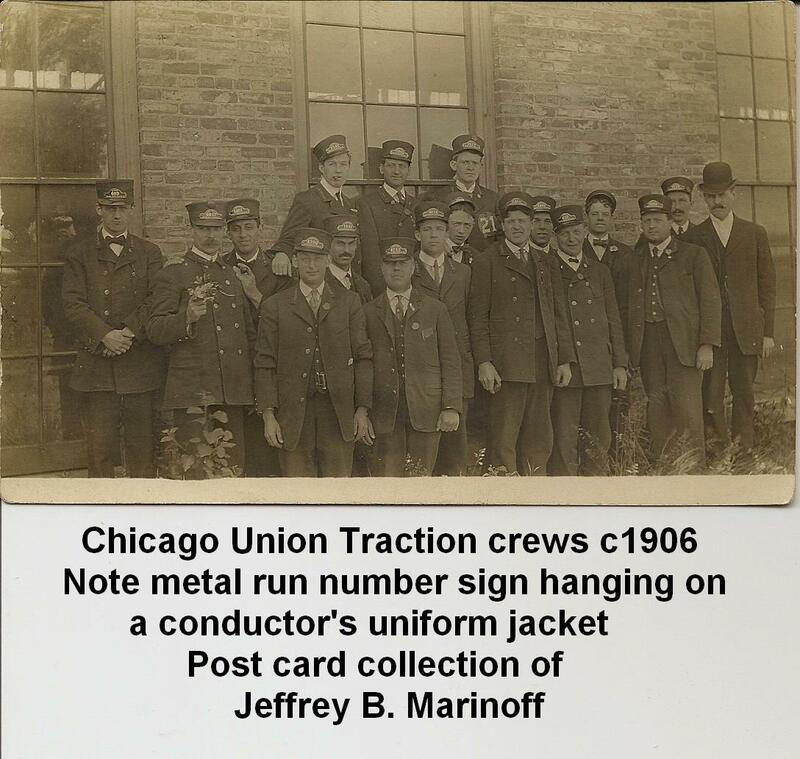 But the number of people who have taken a ride on a Chicago streetcar does increase, since there are a number of them that are operable at the Illinois Railway Museum in Union. 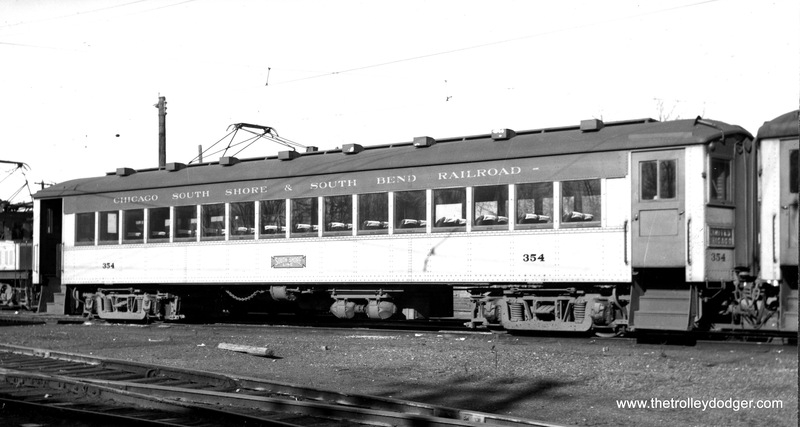 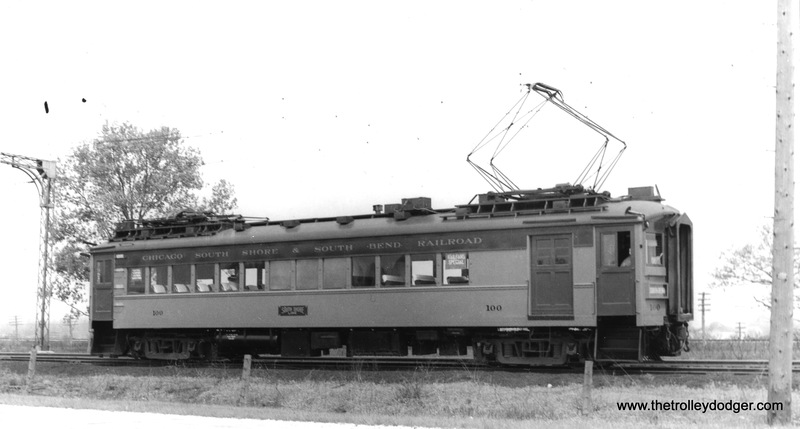 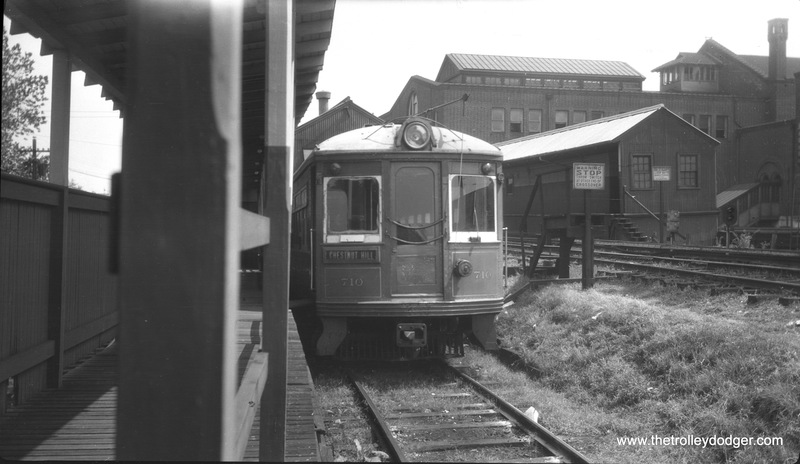 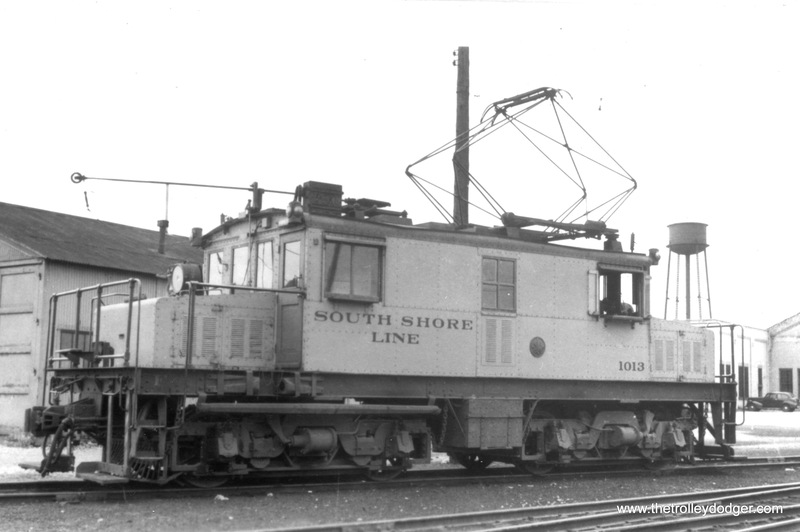 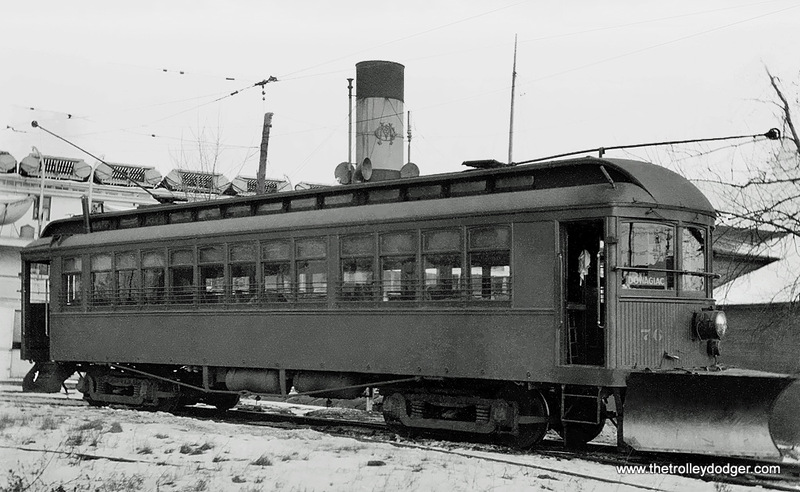 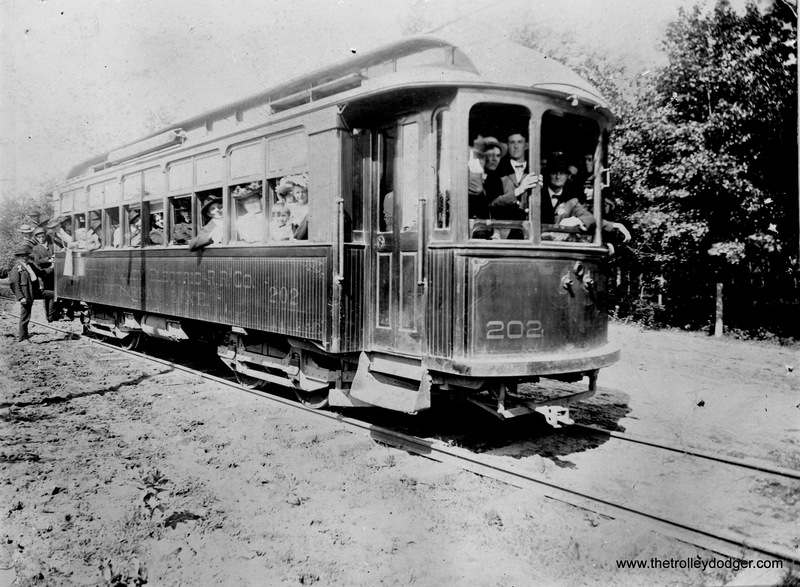 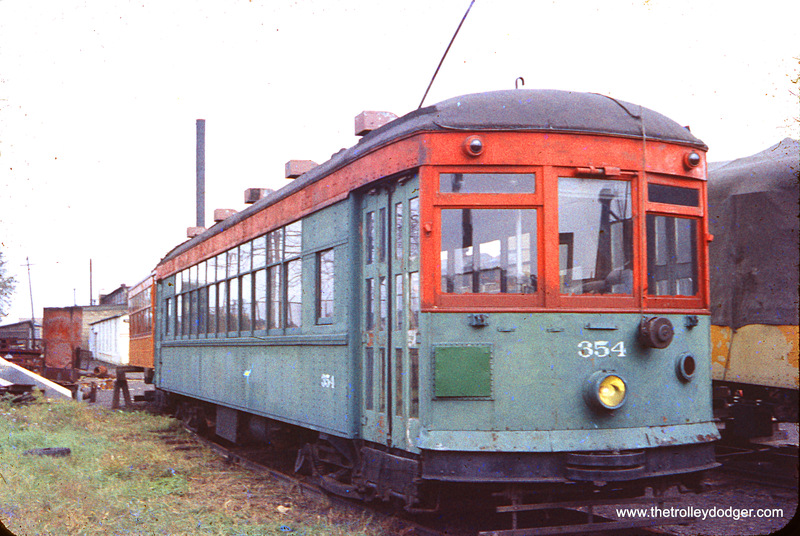 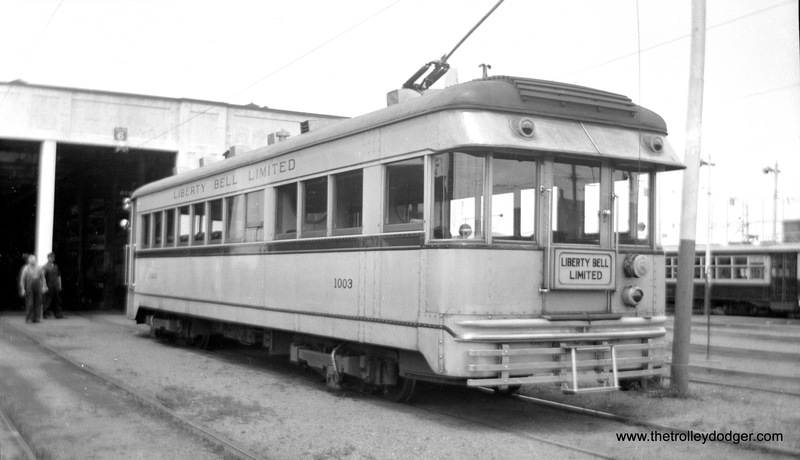 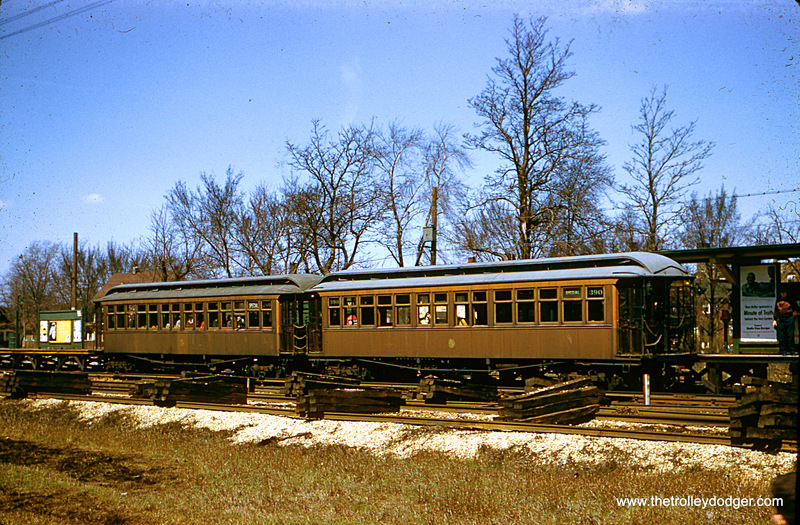 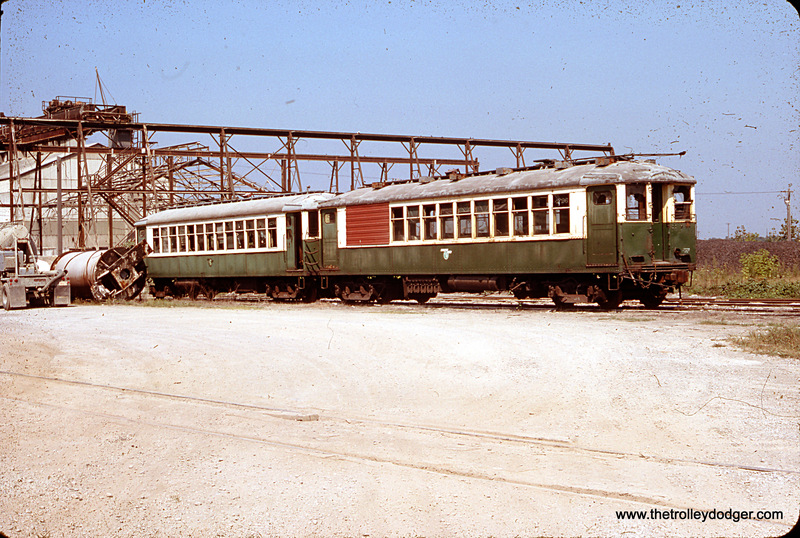 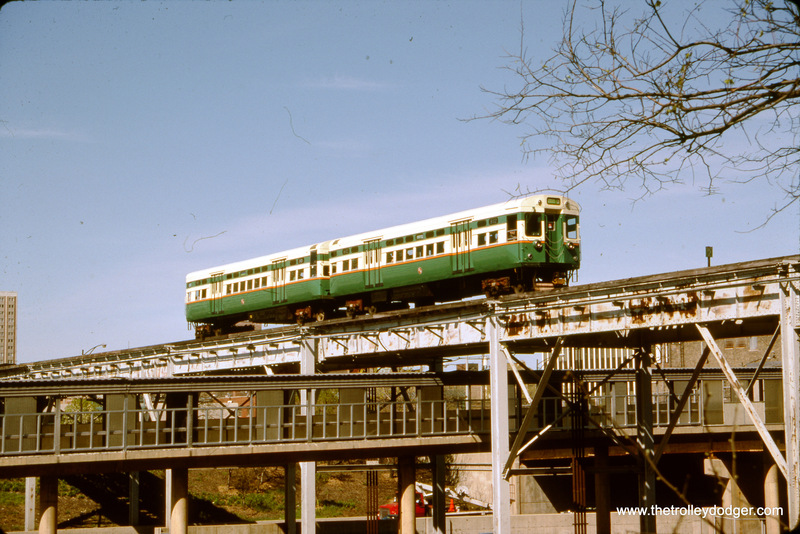 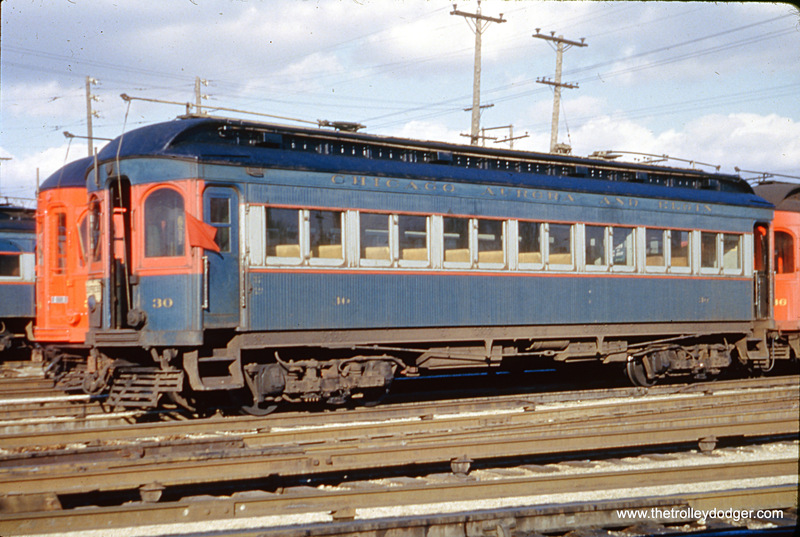 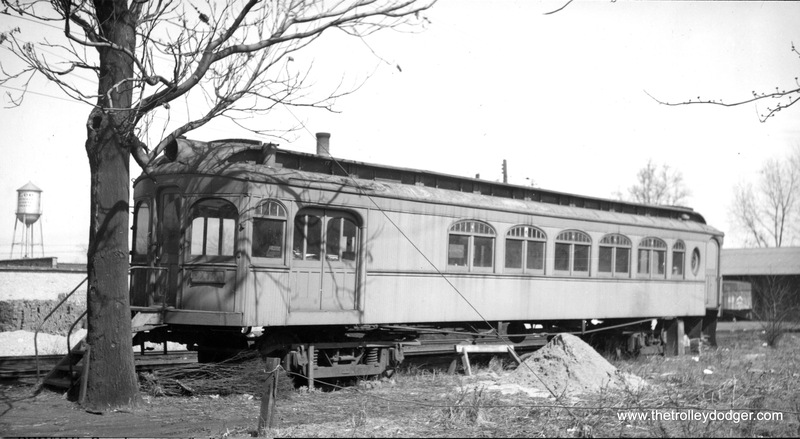 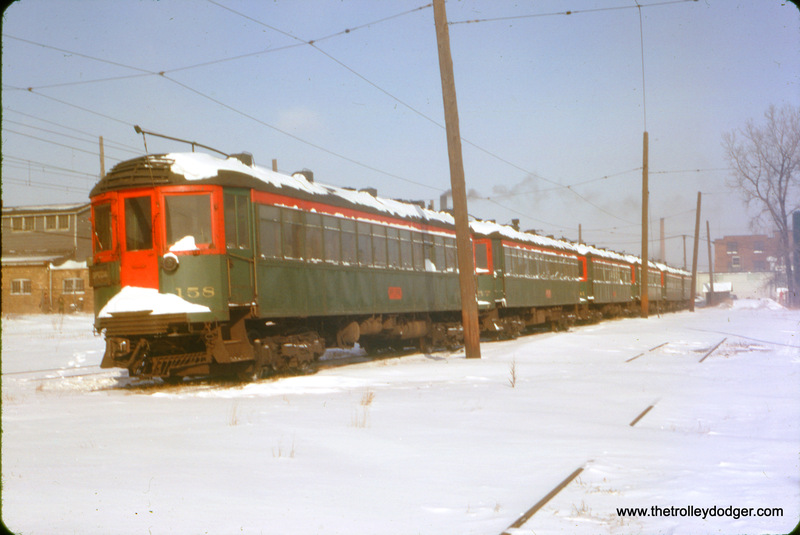 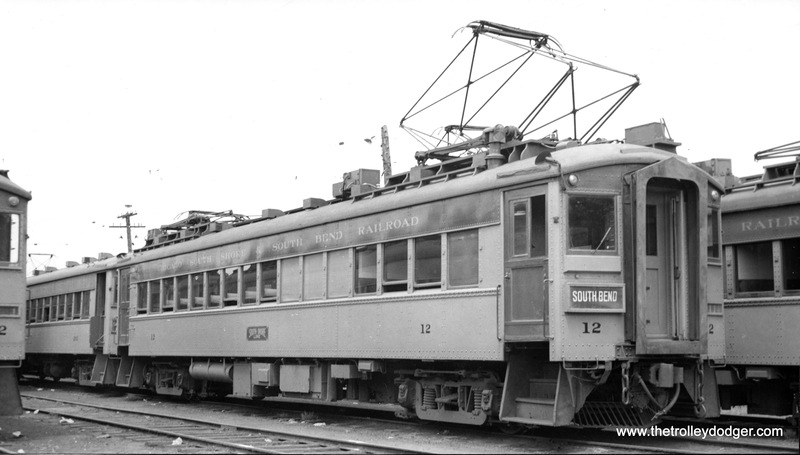 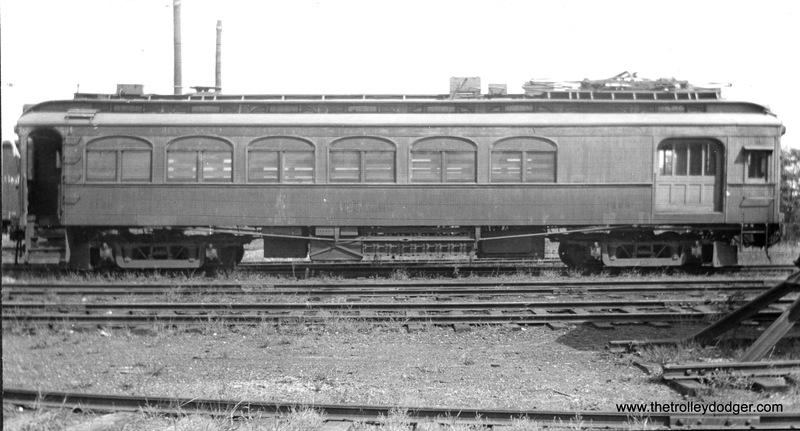 The Seashore Trolley Museum (Kennebunkport, ME) has another car (225) that is operated infrequently. 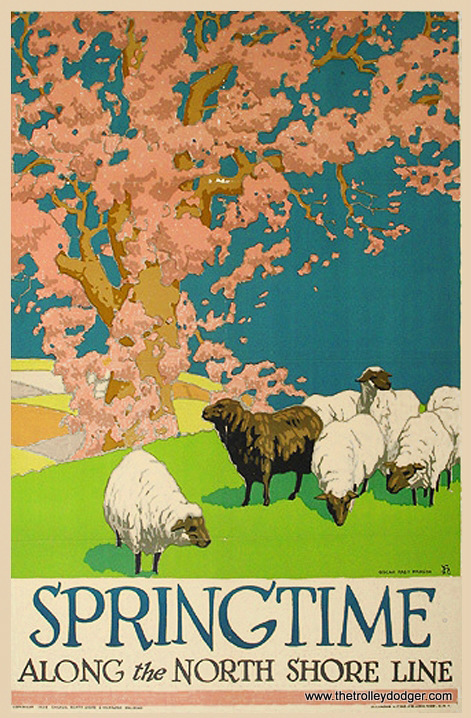 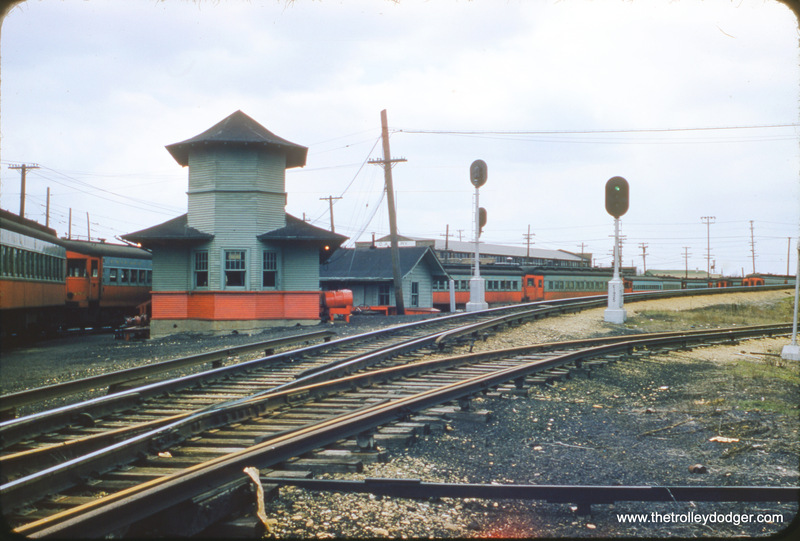 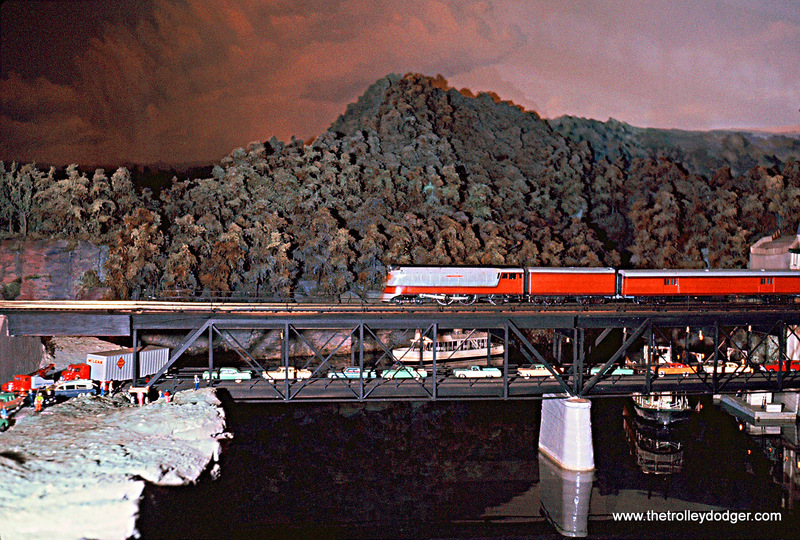 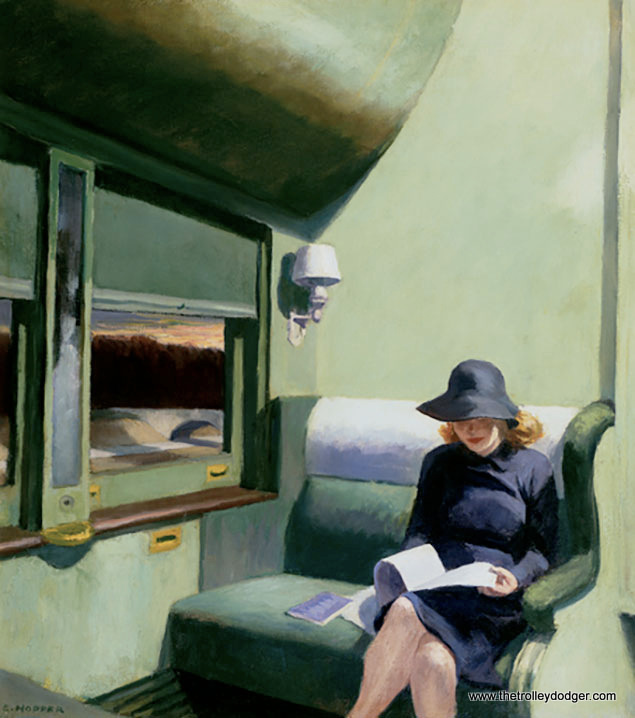 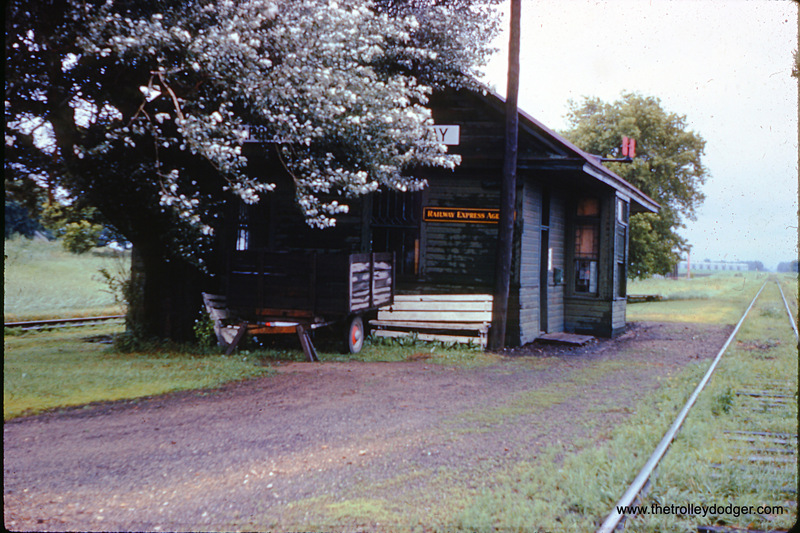 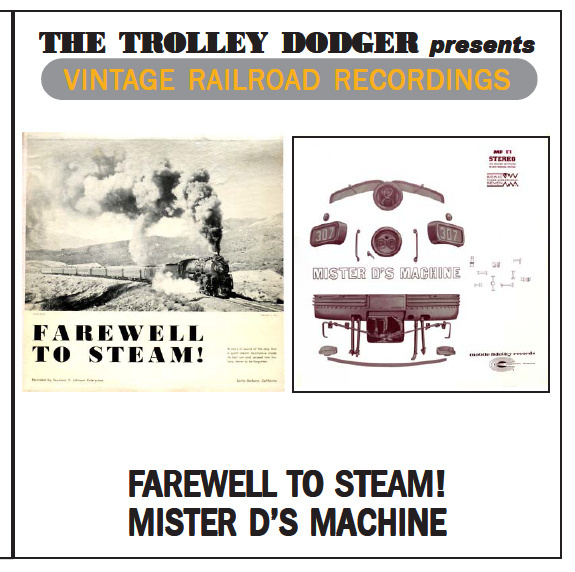 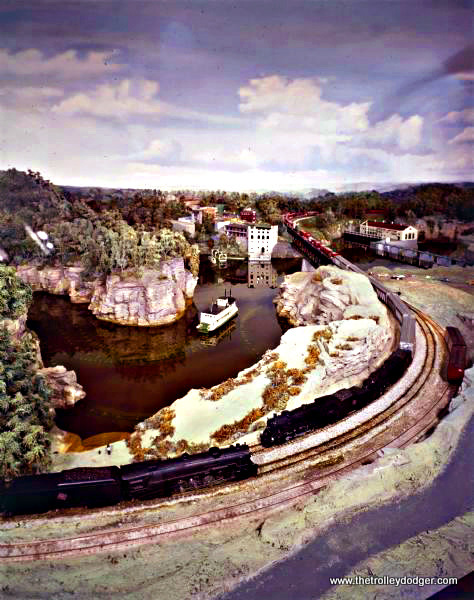 The experience of riding at a railway museum is, of necessity, somewhat different than what people experienced 60+ years ago on the streets of Chicago. 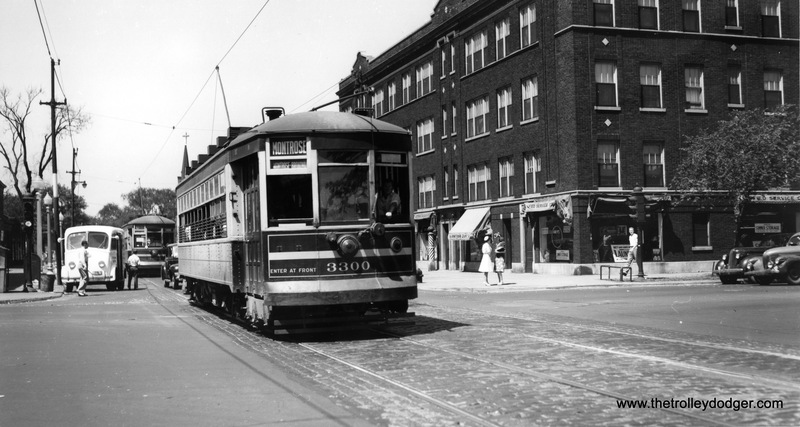 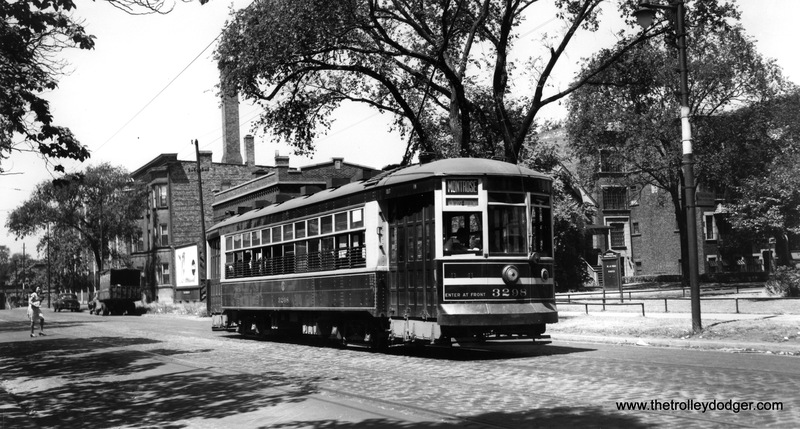 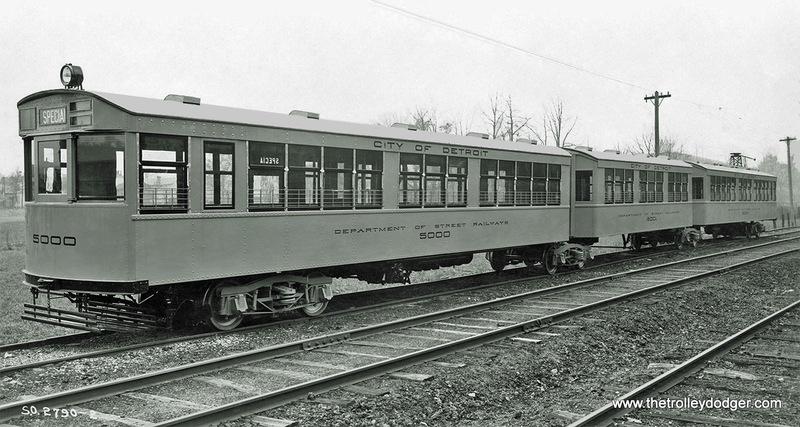 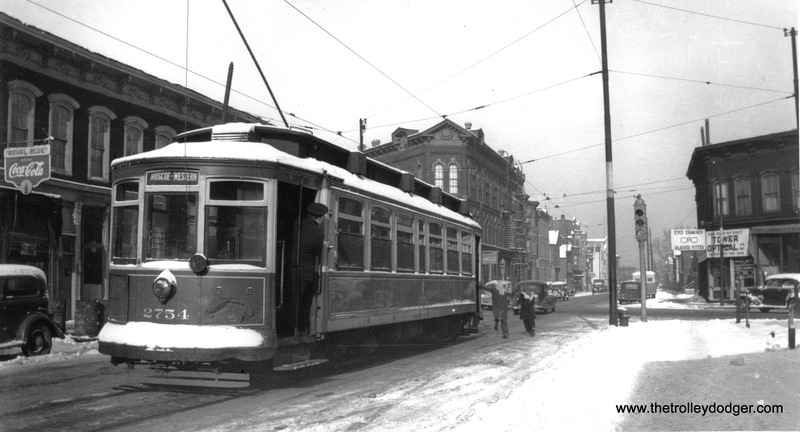 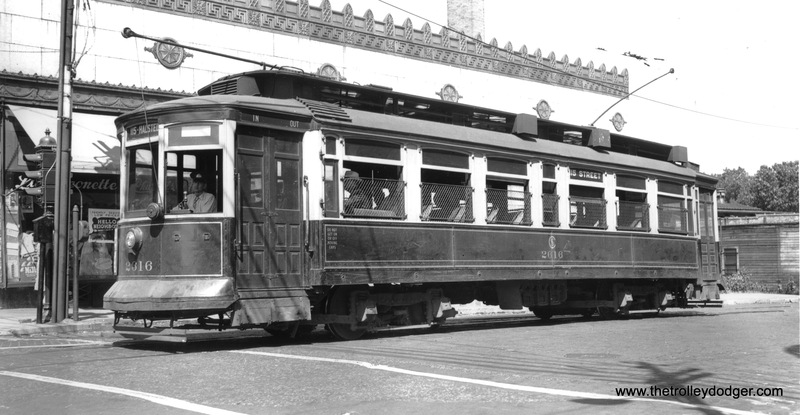 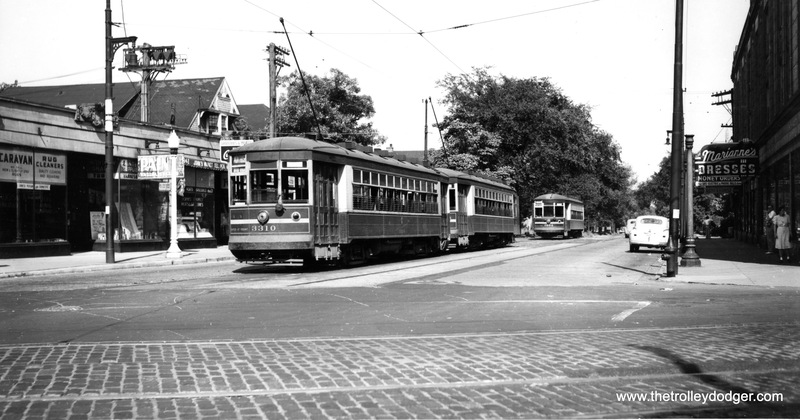 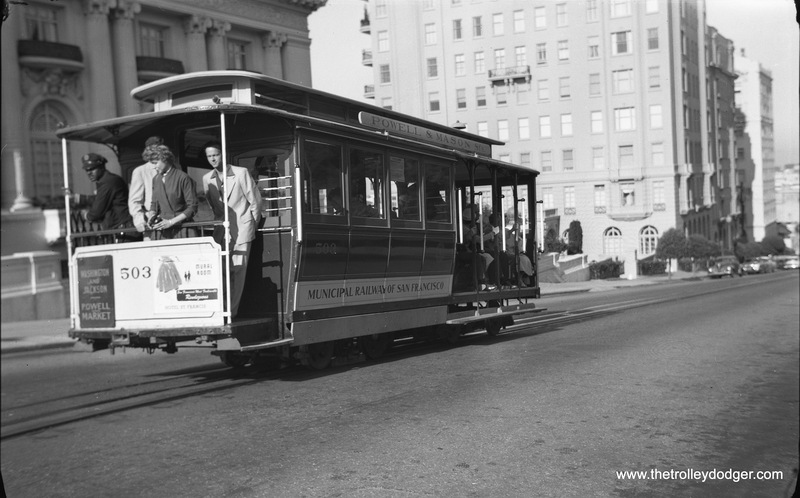 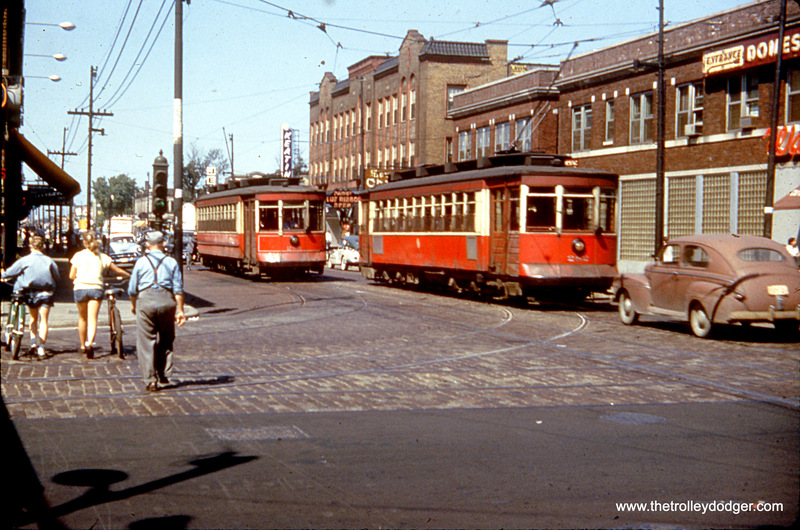 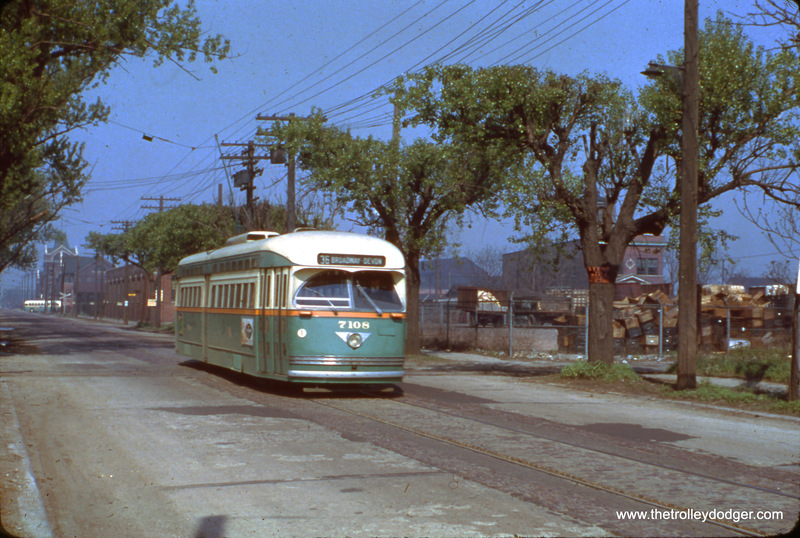 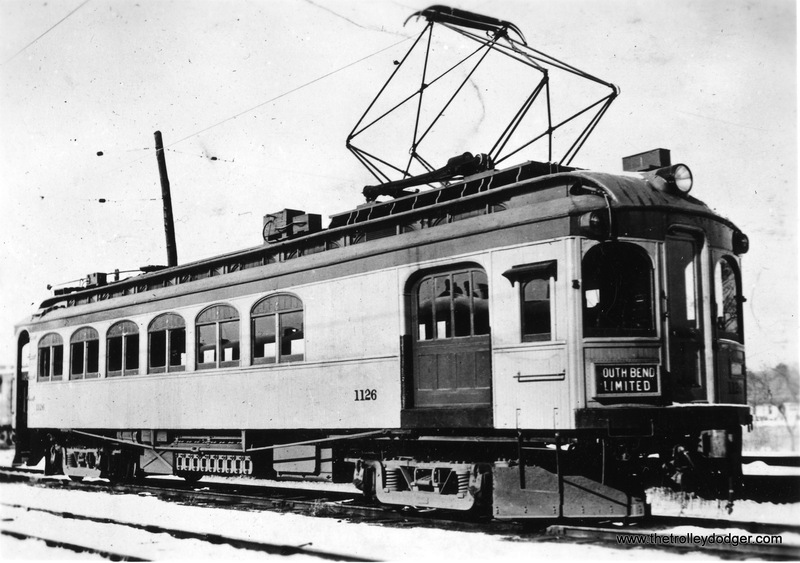 However, as a “streetcar renaissance” is underway across the country in various cities, the number of track miles in city streets has been increasing. 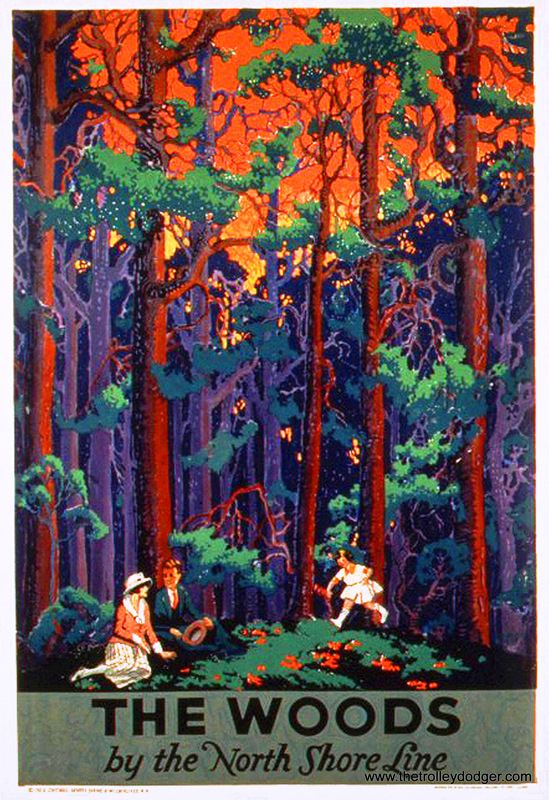 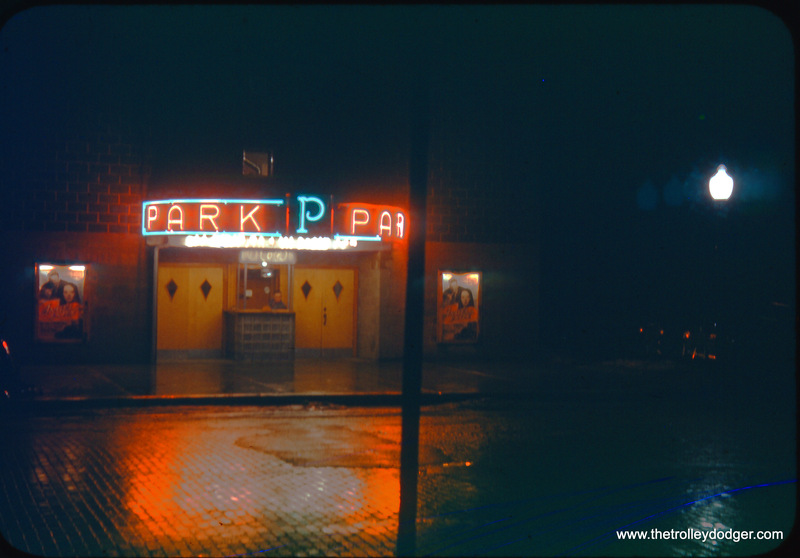 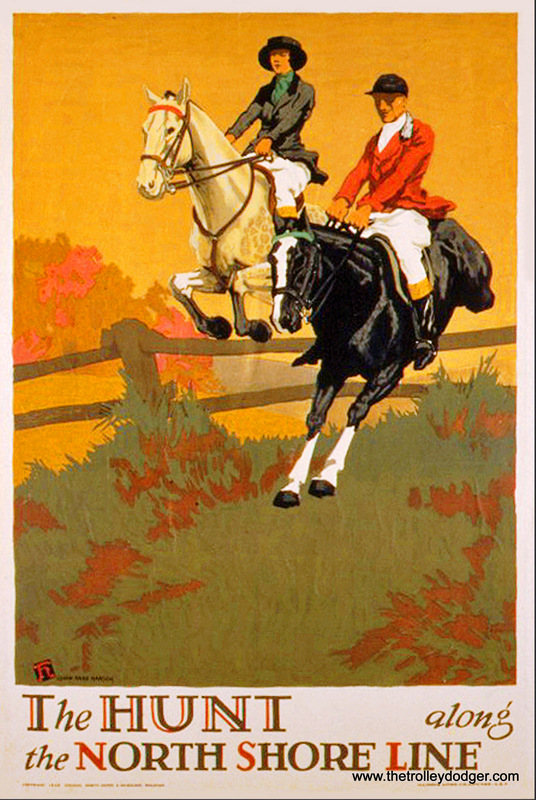 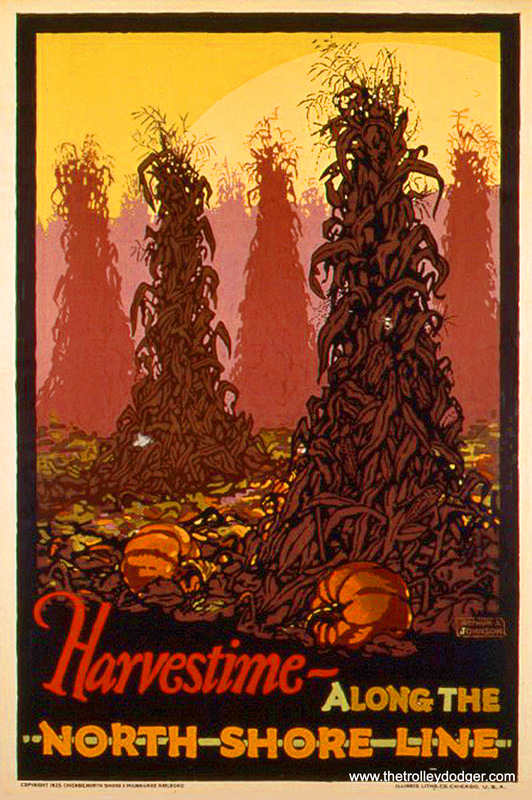 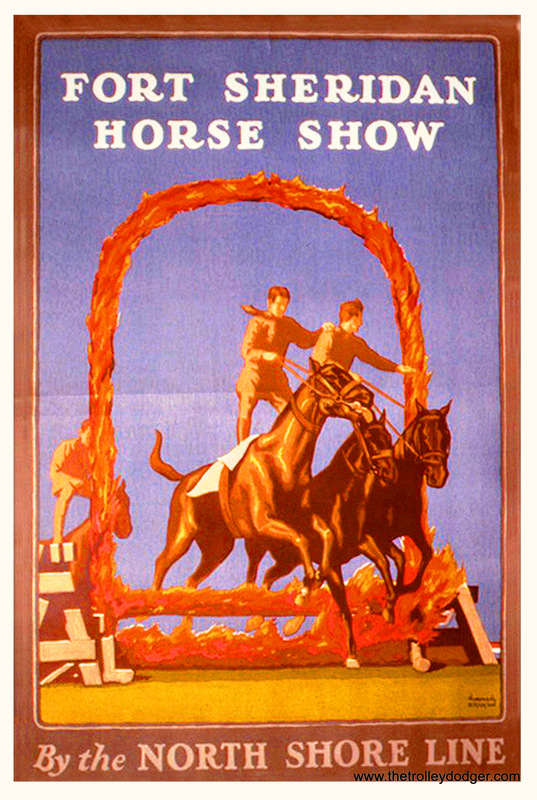 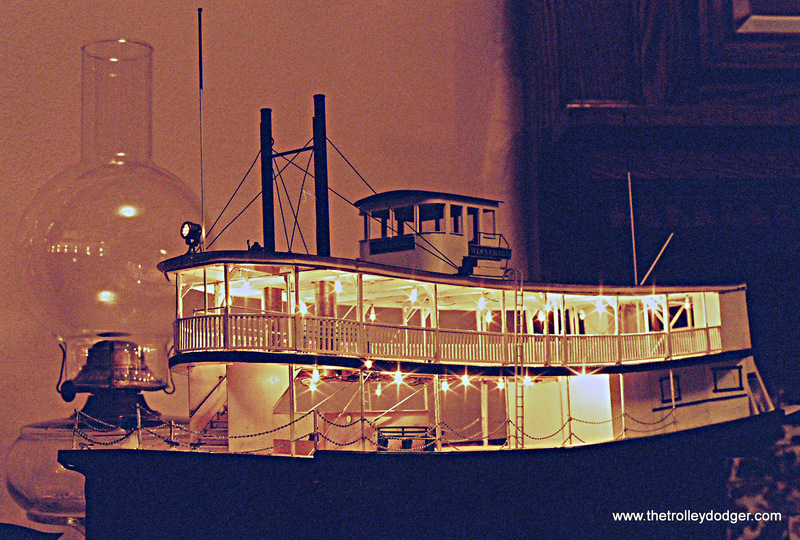 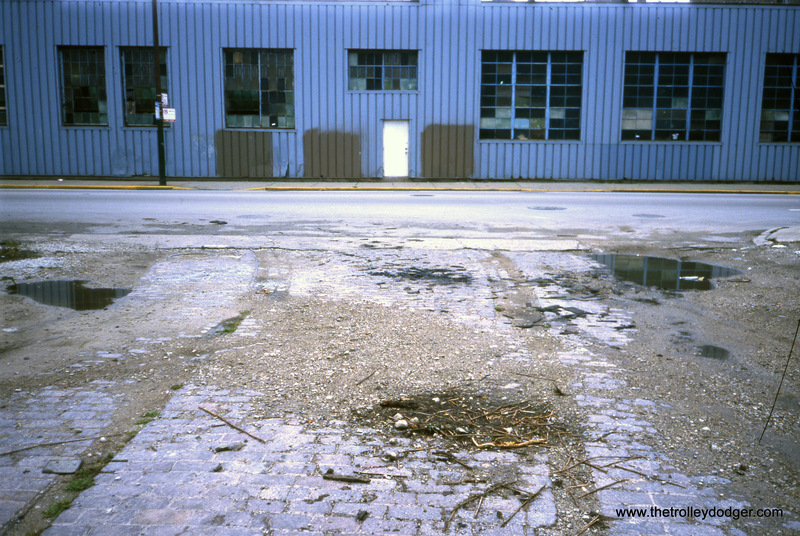 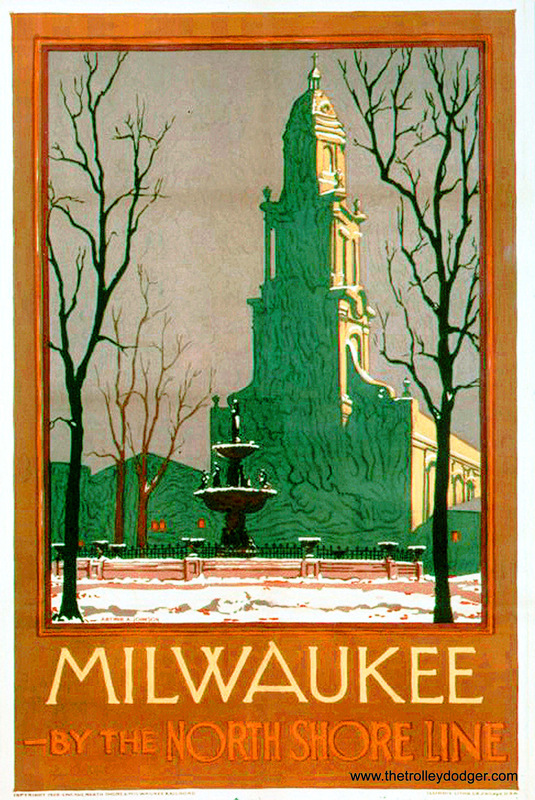 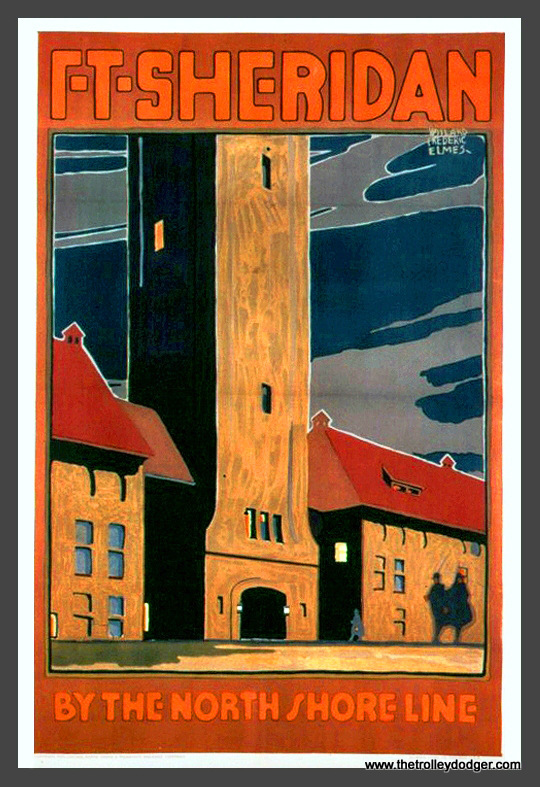 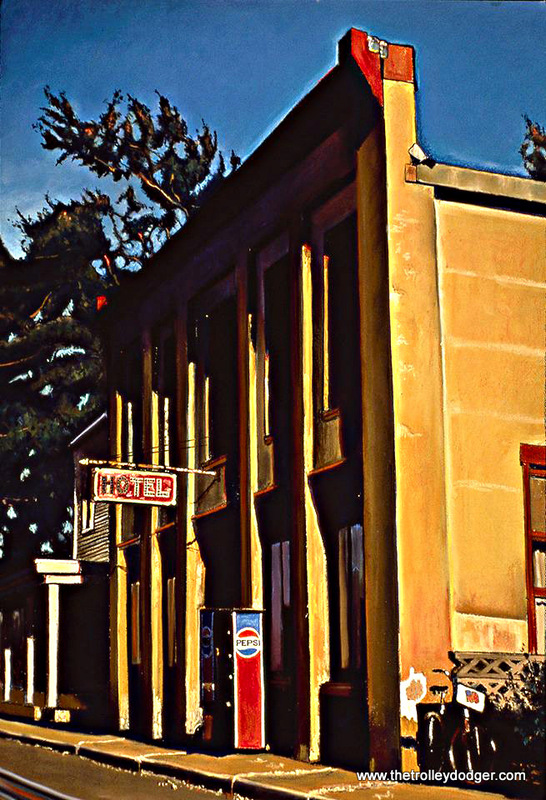 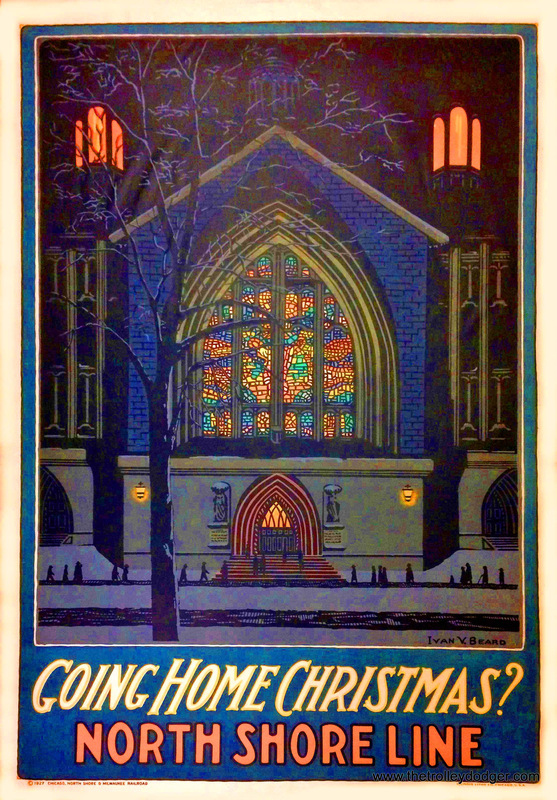 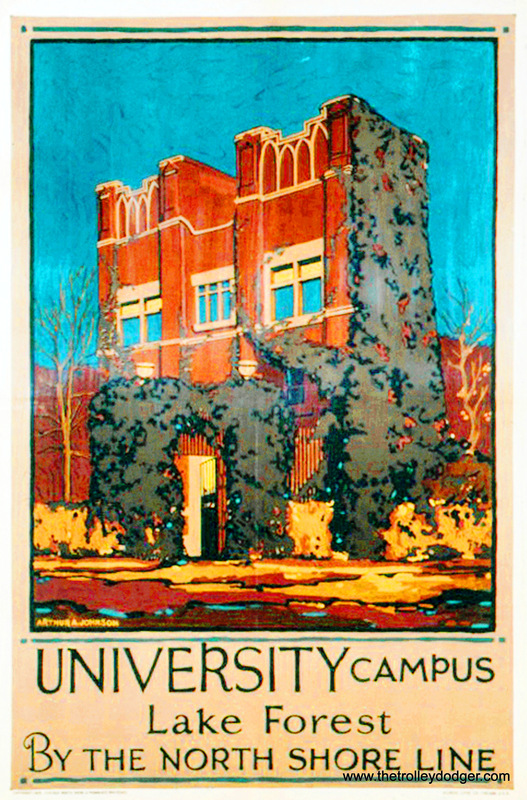 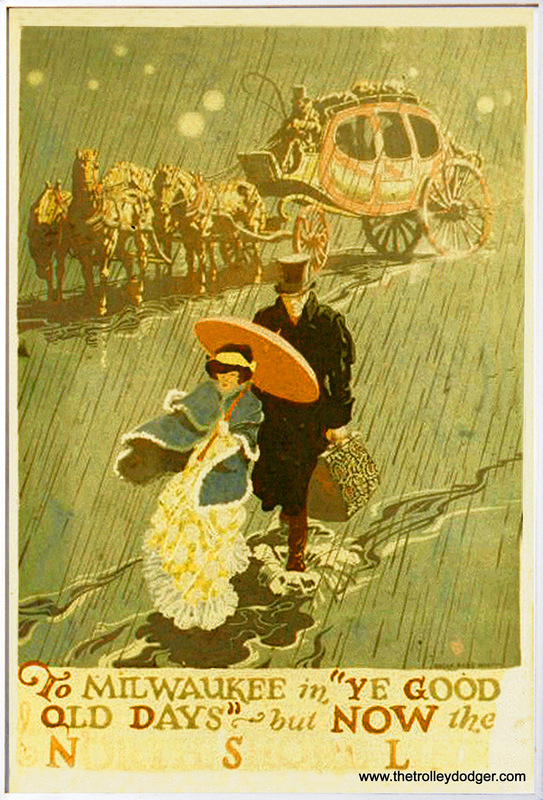 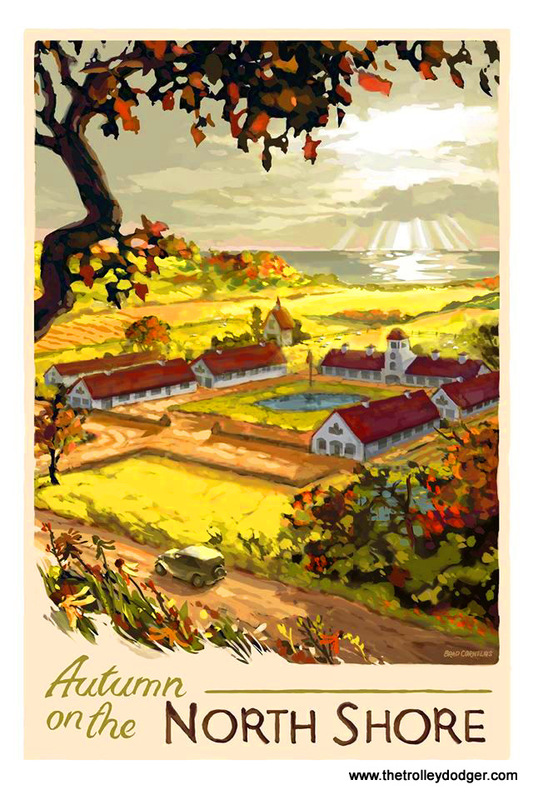 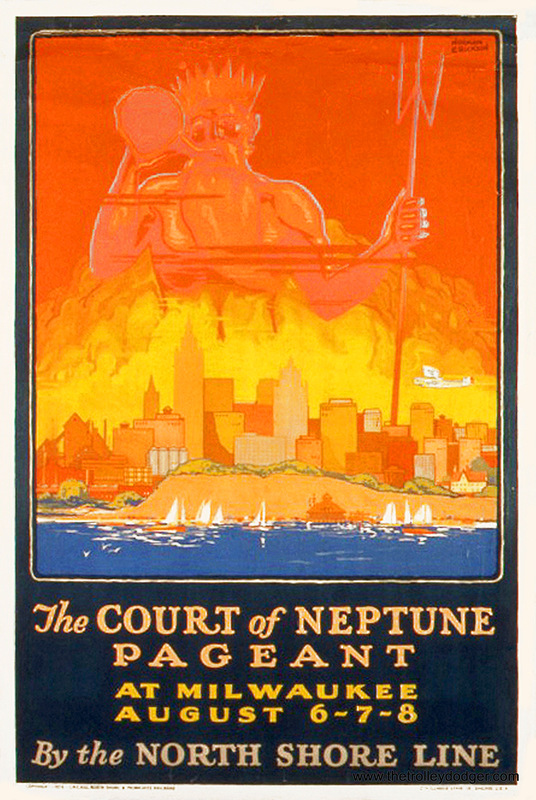 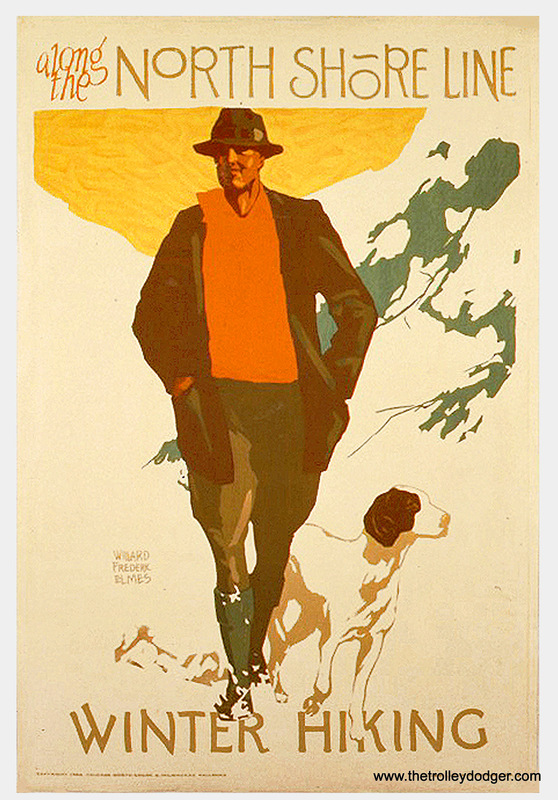 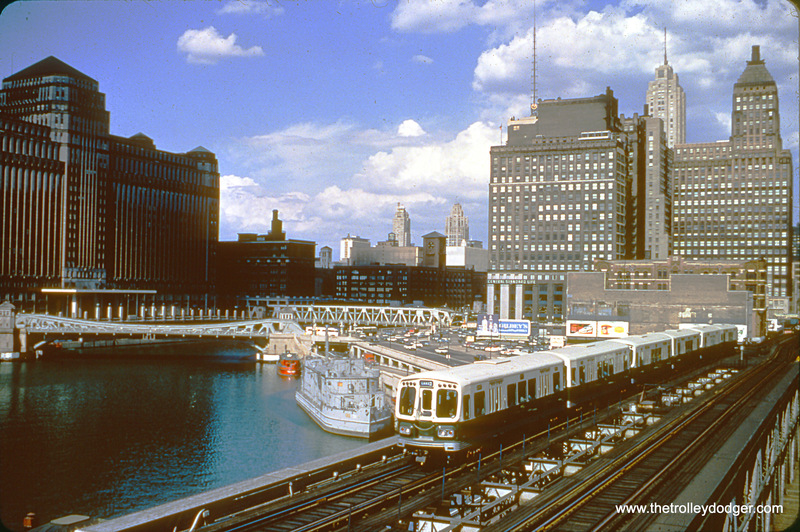 In those places, it is possible to experience something more like what Chicago once had. 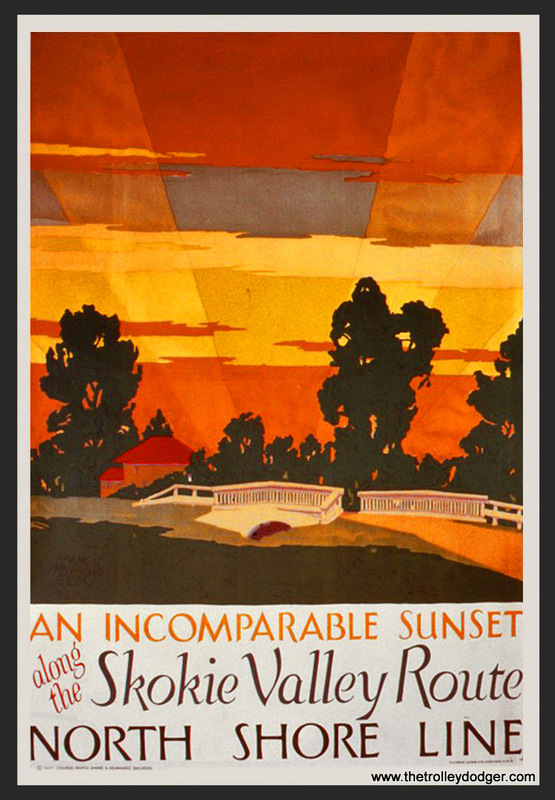 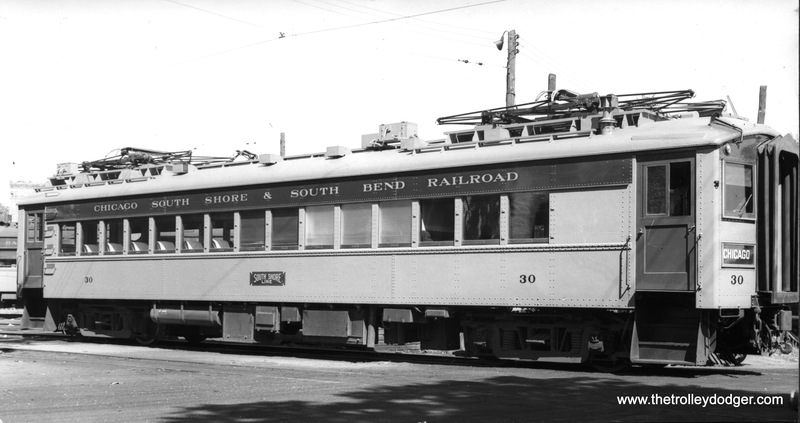 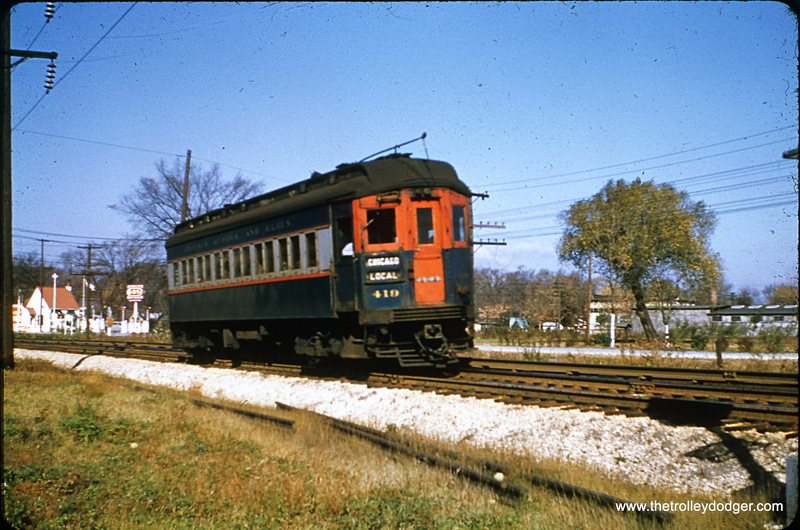 Interestingly, a heritage trolley recently began service in Rockford, Illinois, which is also about 90 miles from Chicago. 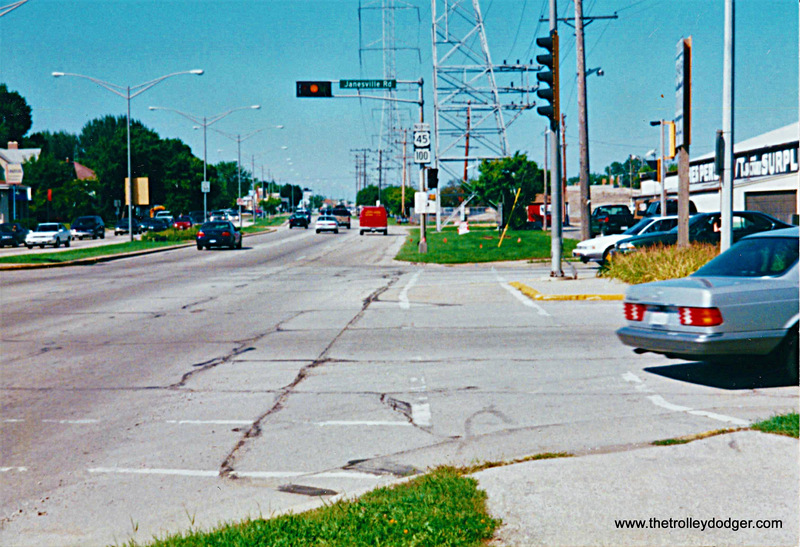 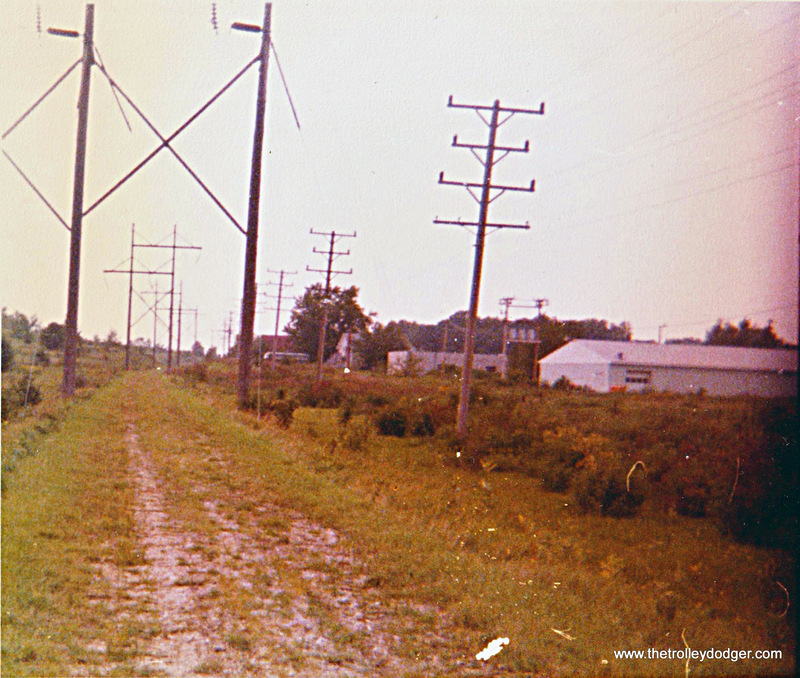 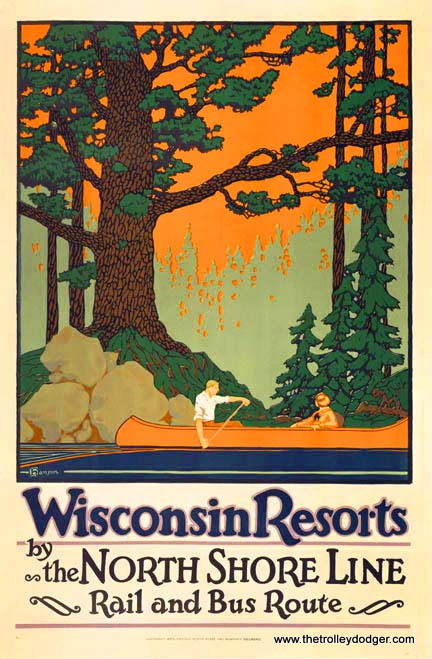 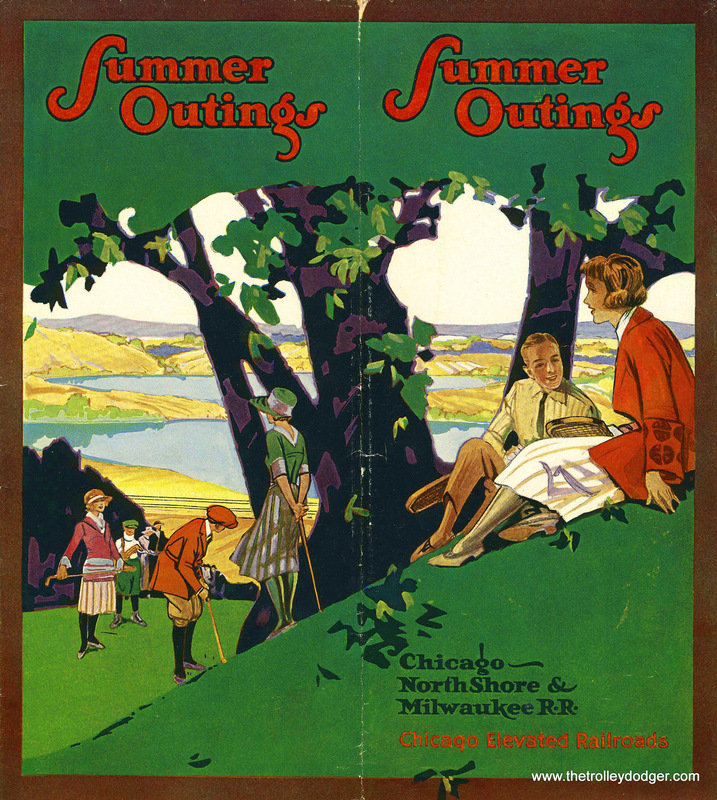 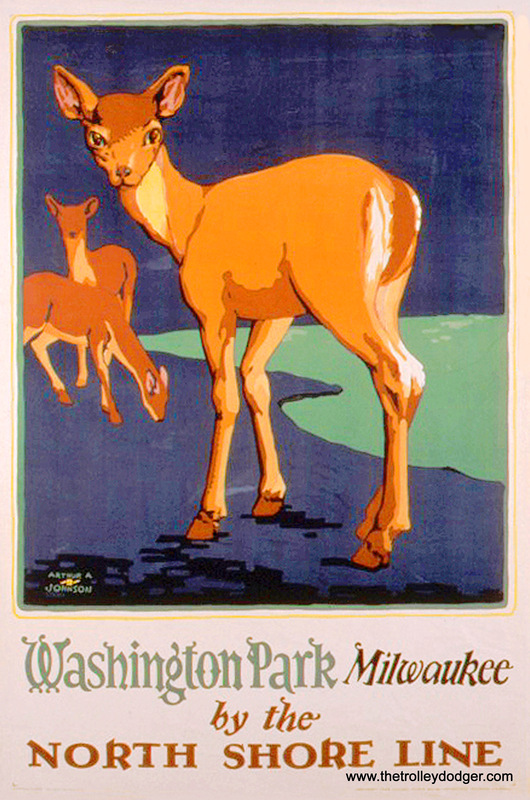 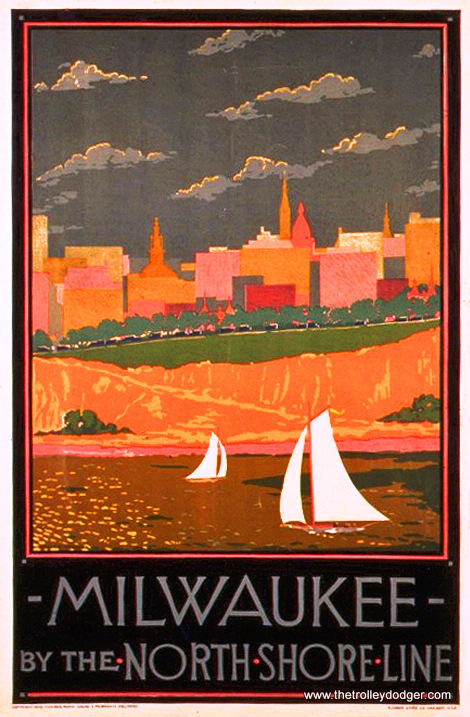 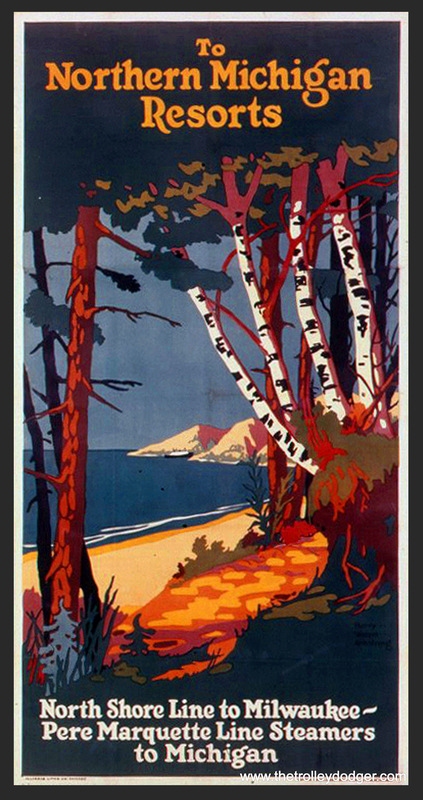 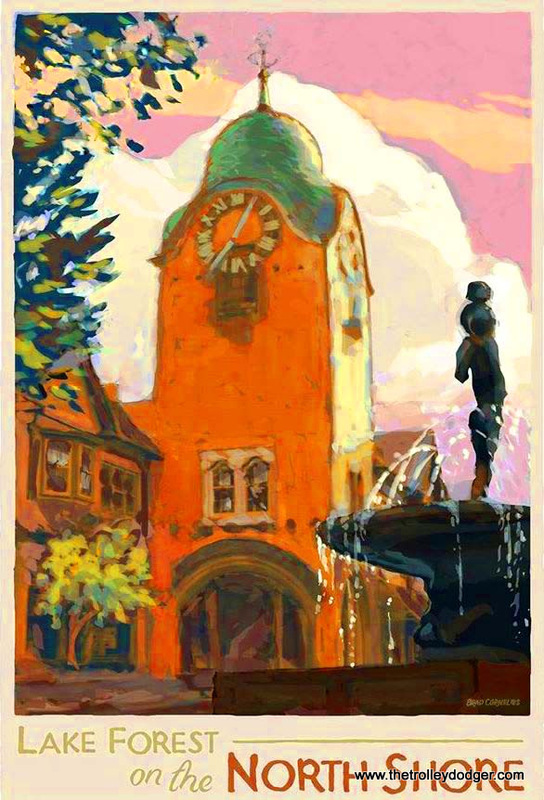 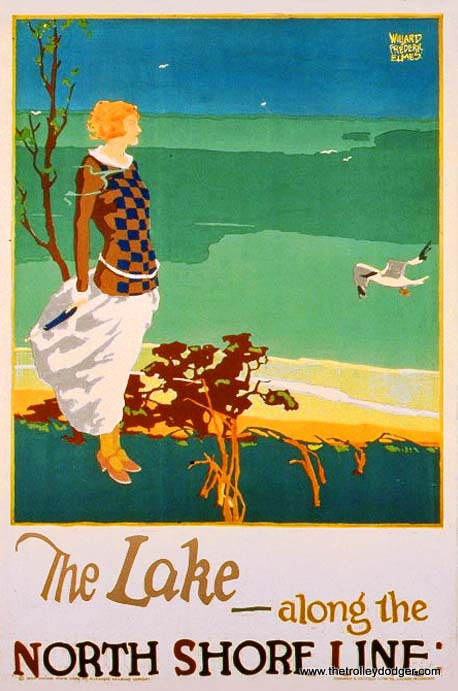 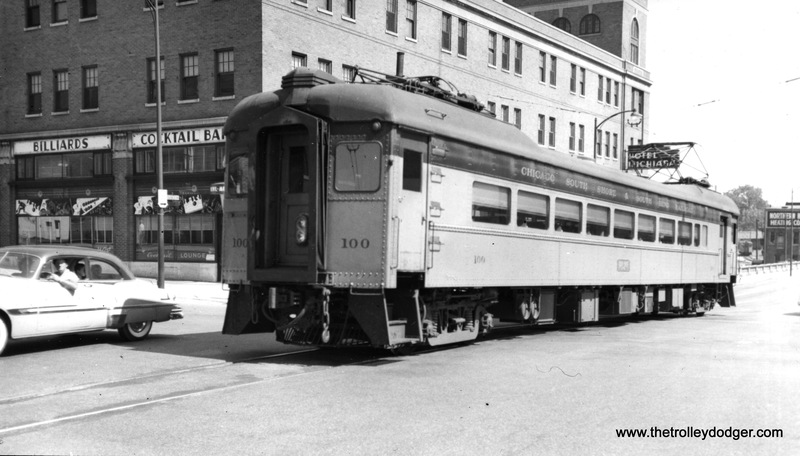 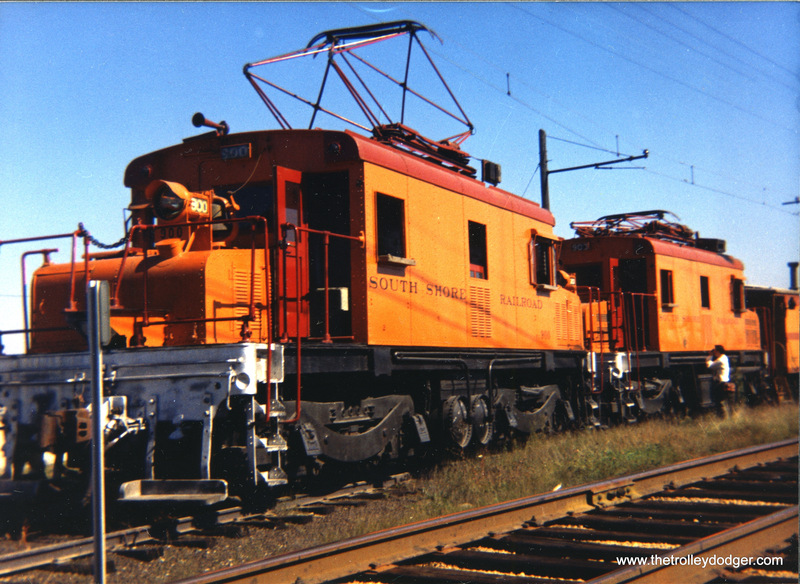 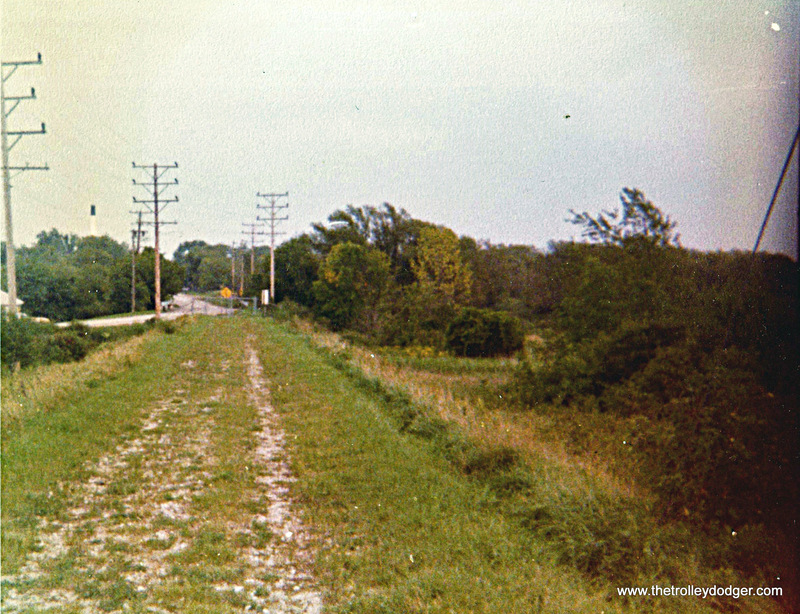 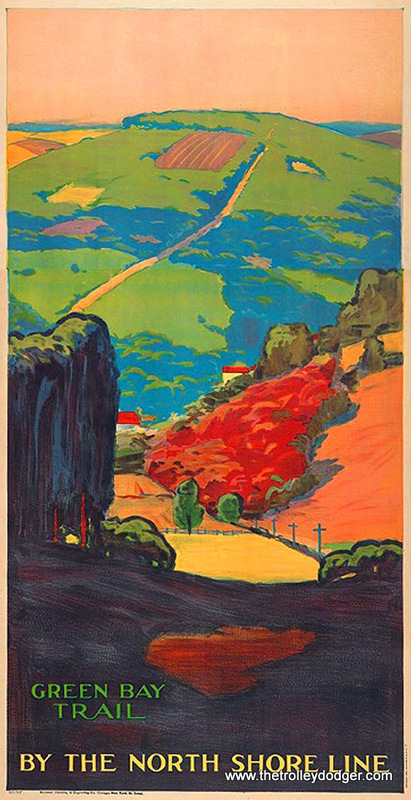 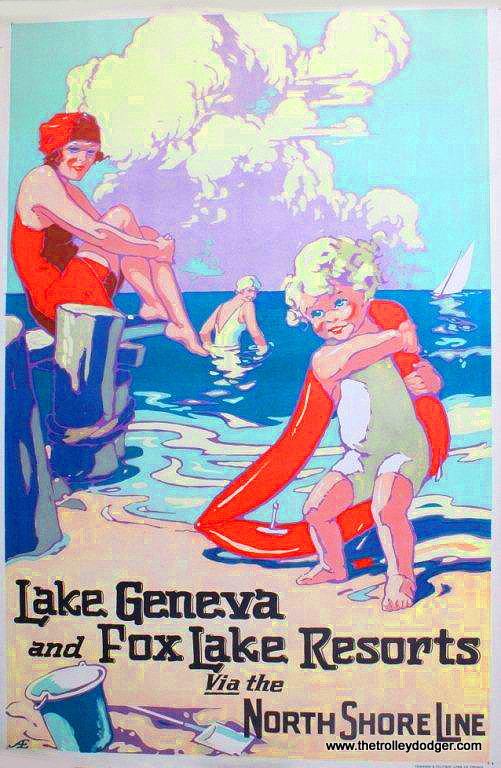 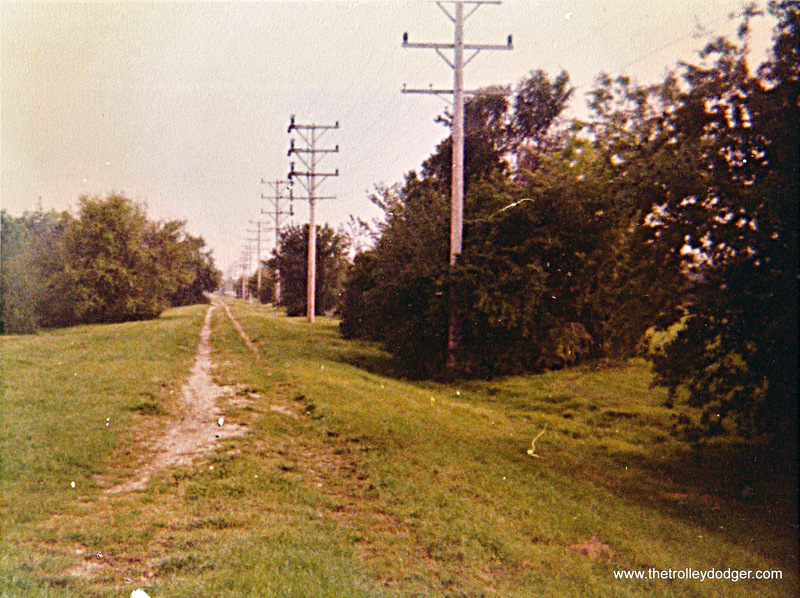 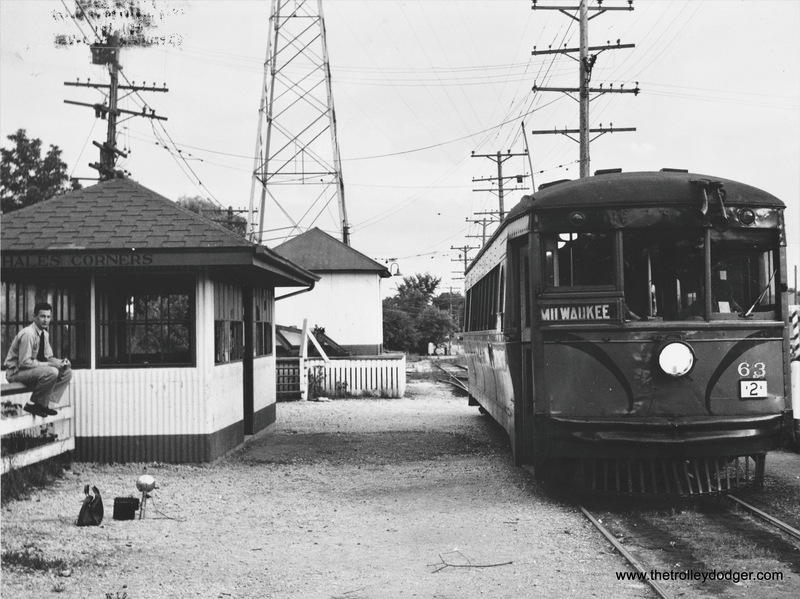 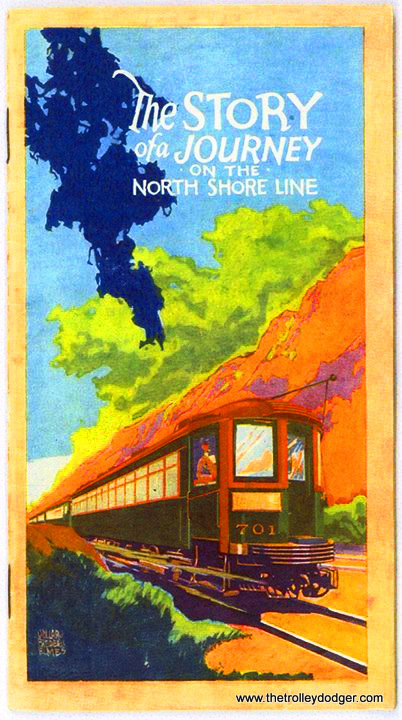 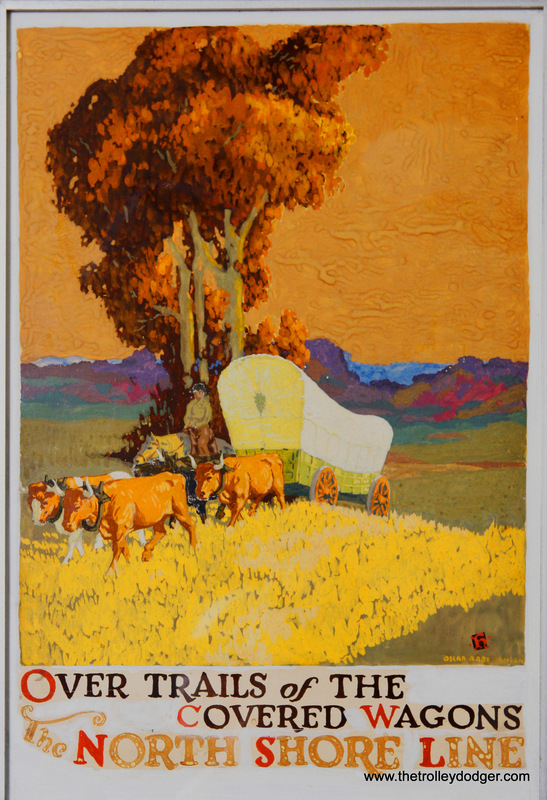 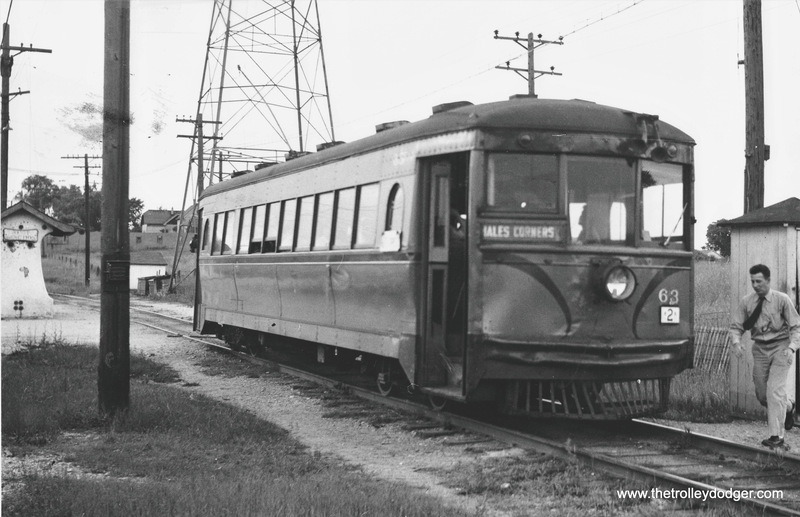 For the past 18 years, Kenosha, Wisconsin (about 65 miles from Chicago) has operated a tourist trolley, which you can even reach using Metra‘s Union Pacific North Line. 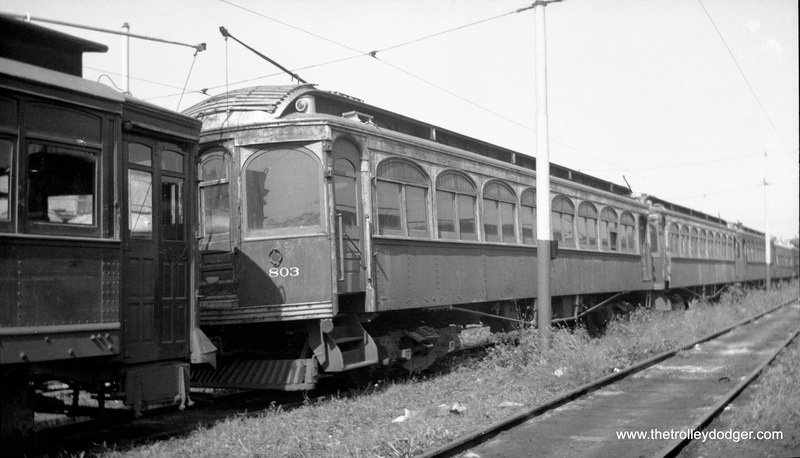 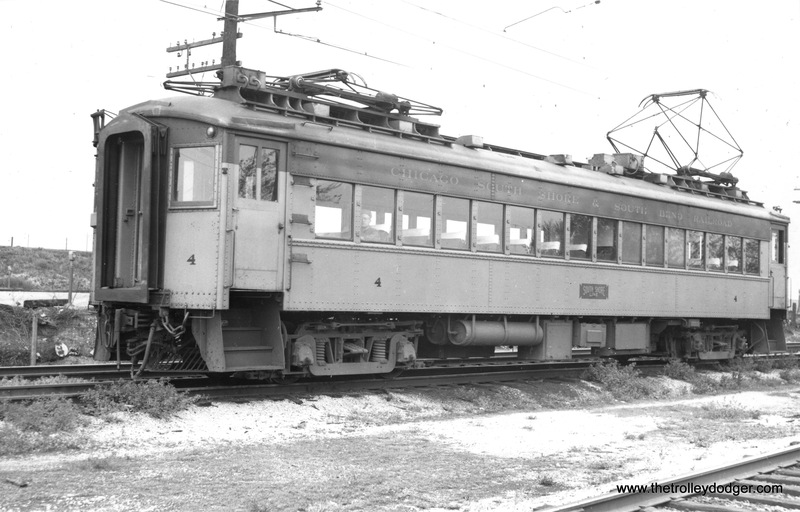 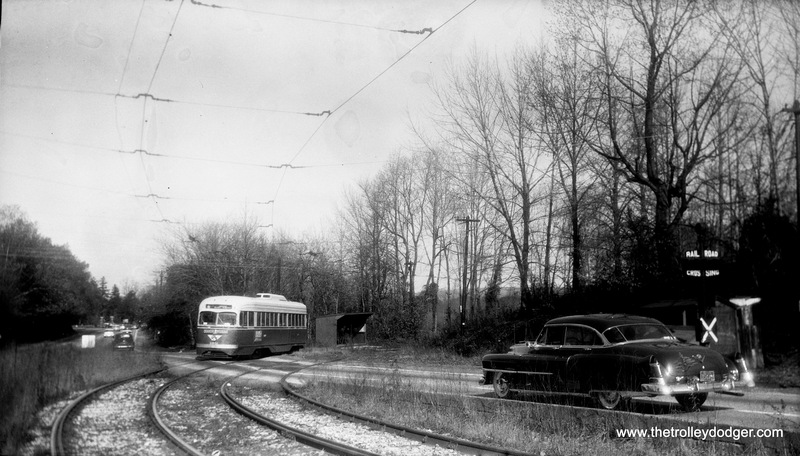 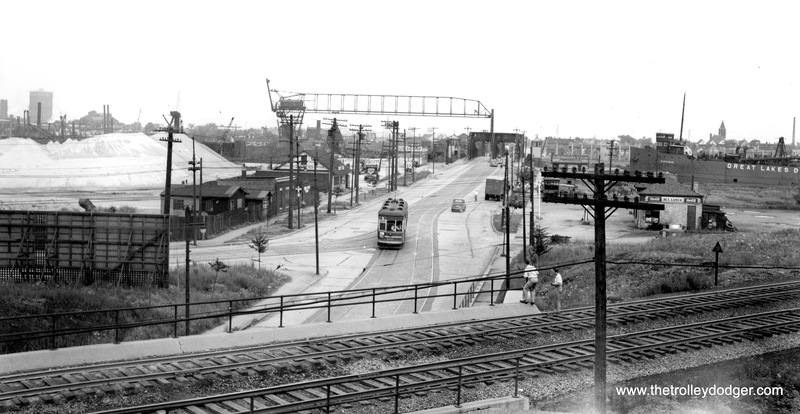 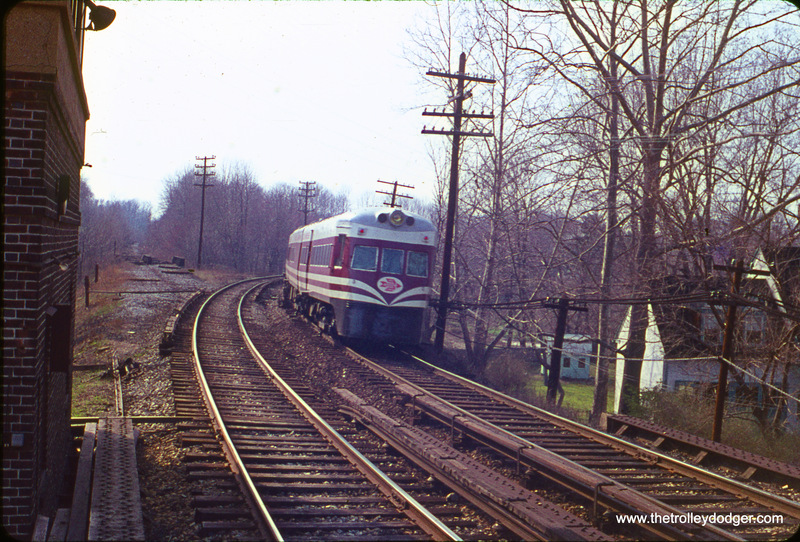 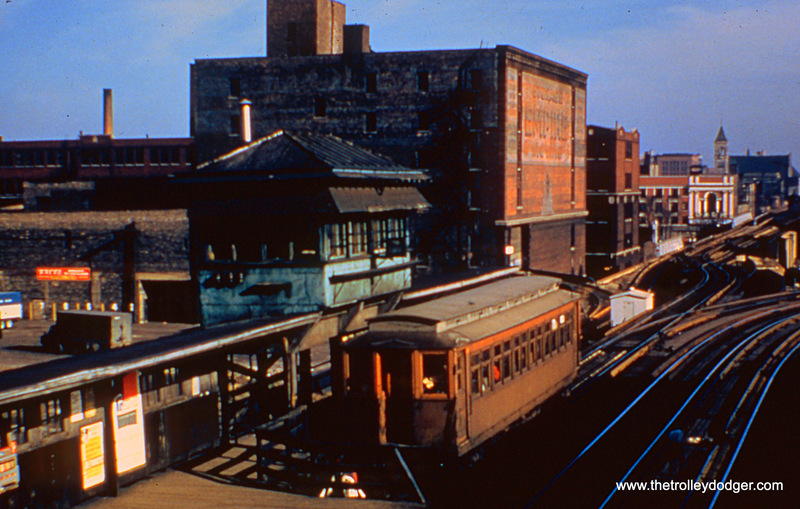 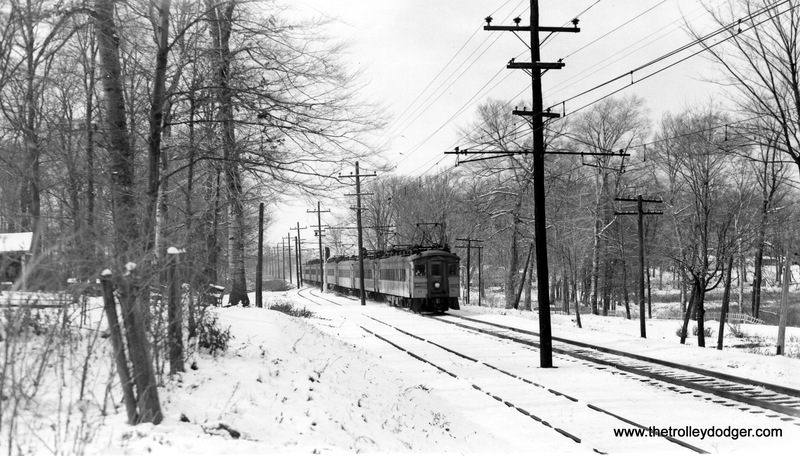 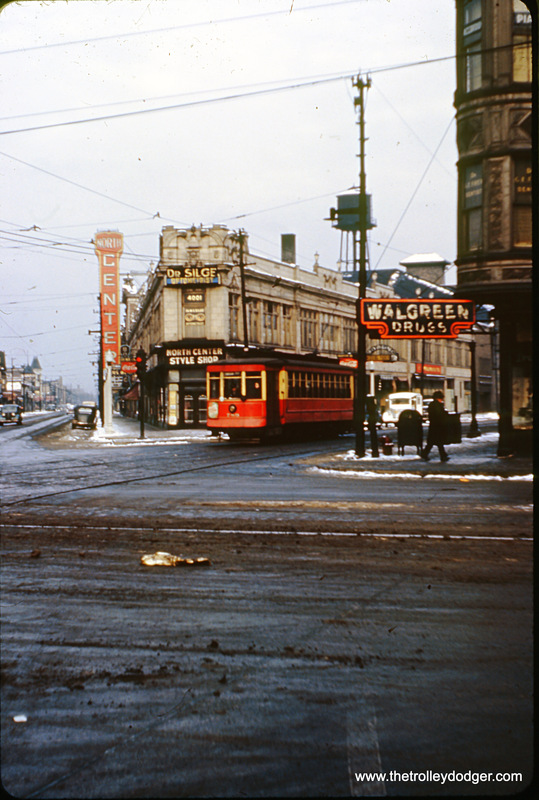 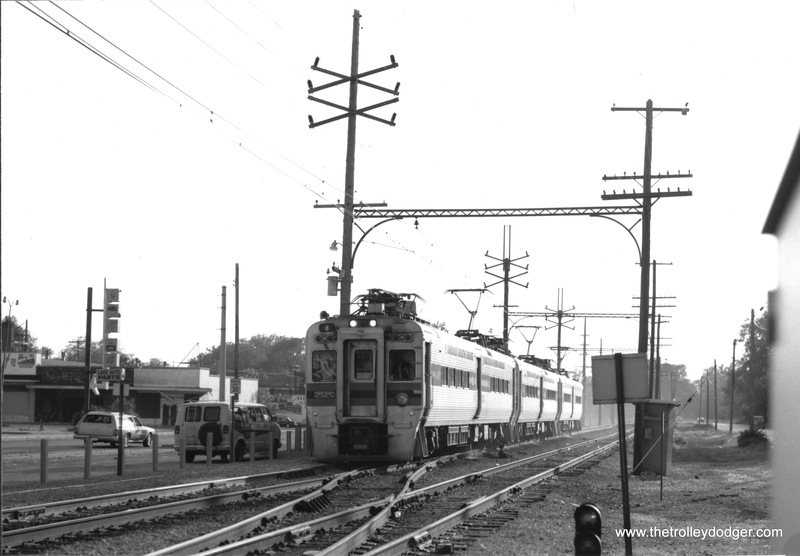 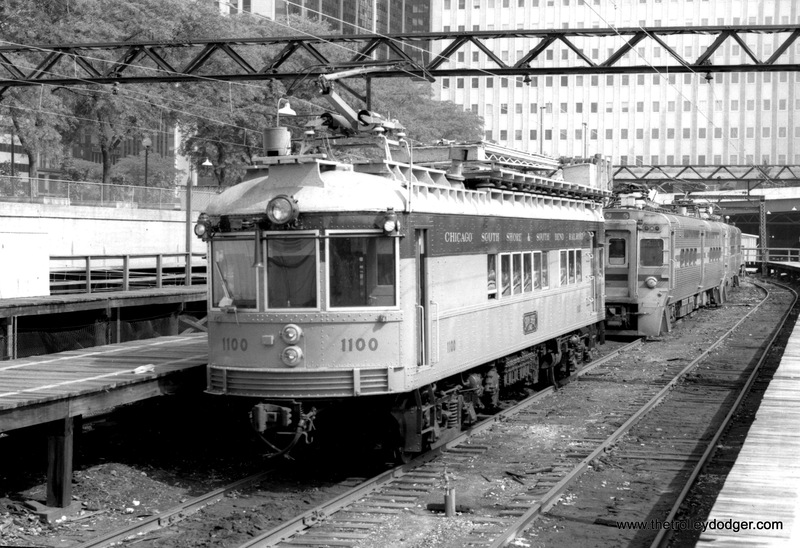 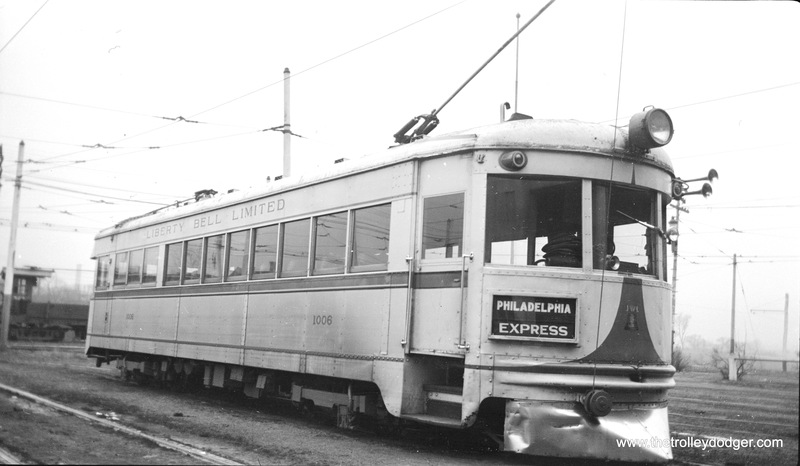 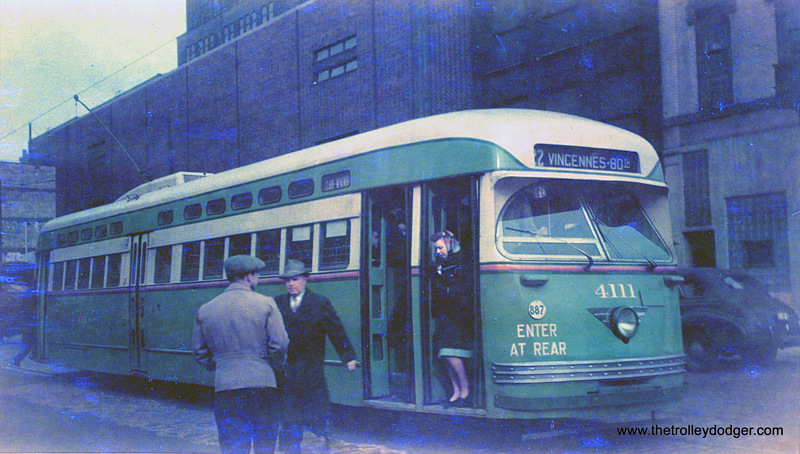 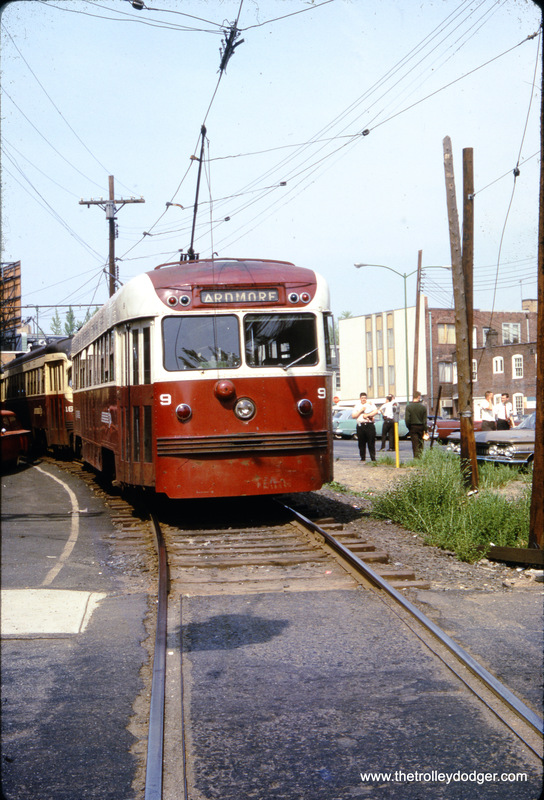 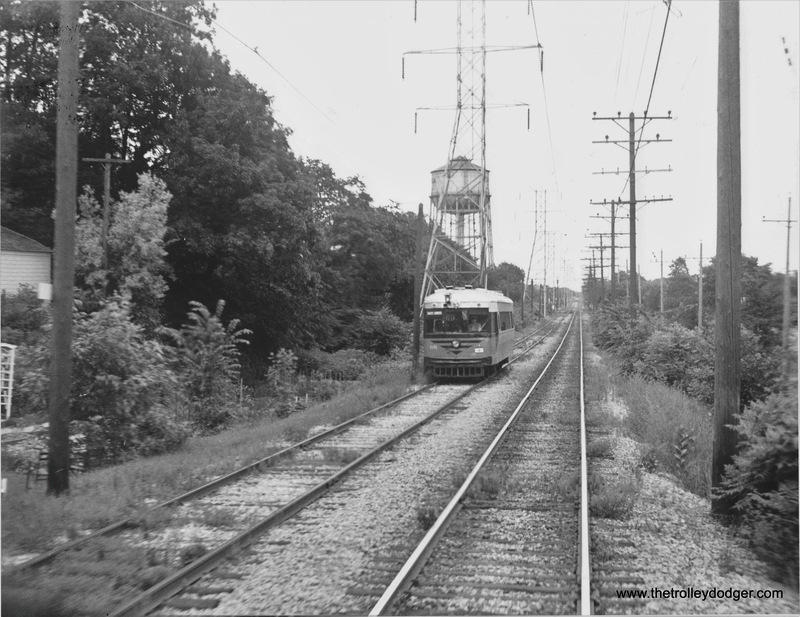 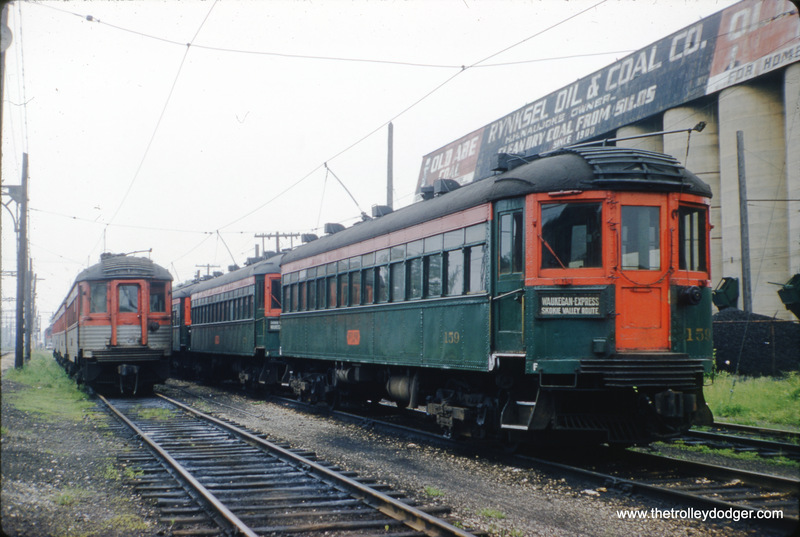 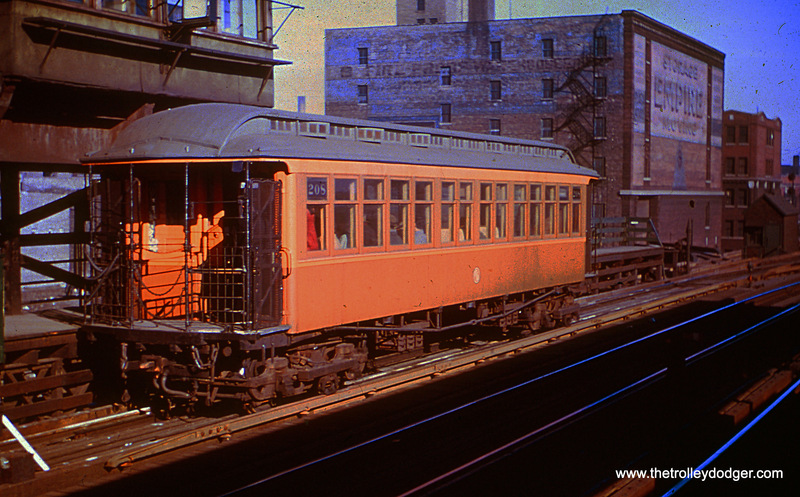 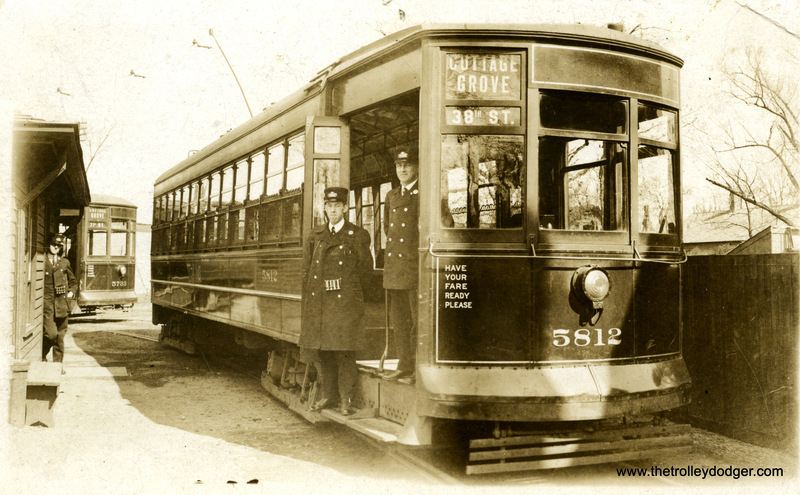 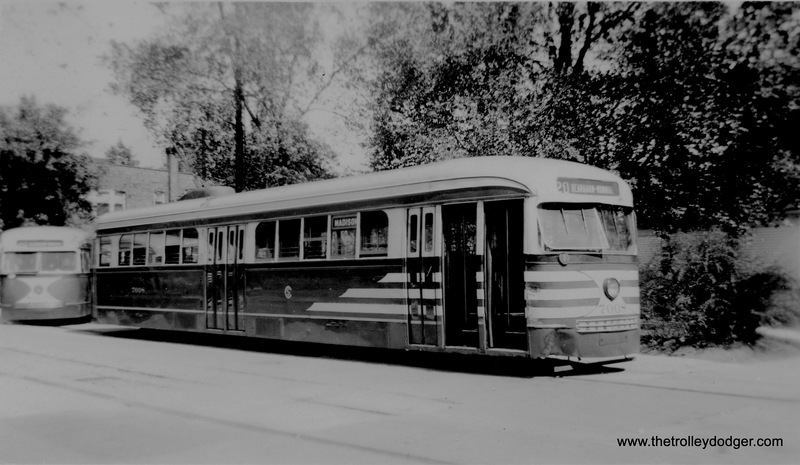 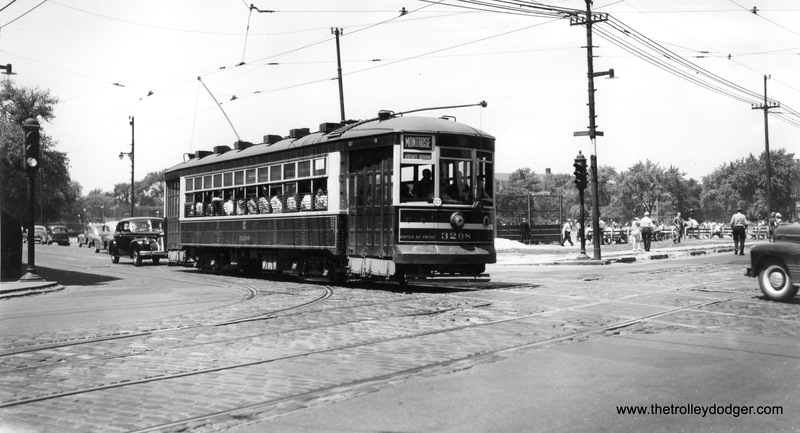 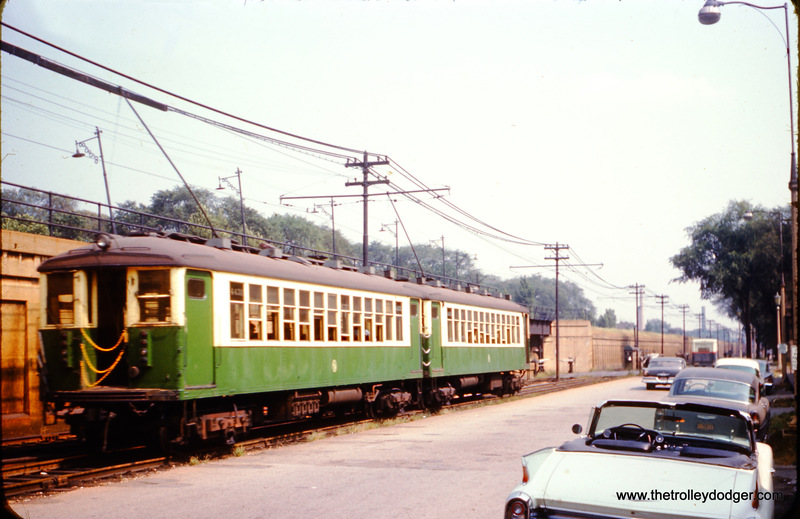 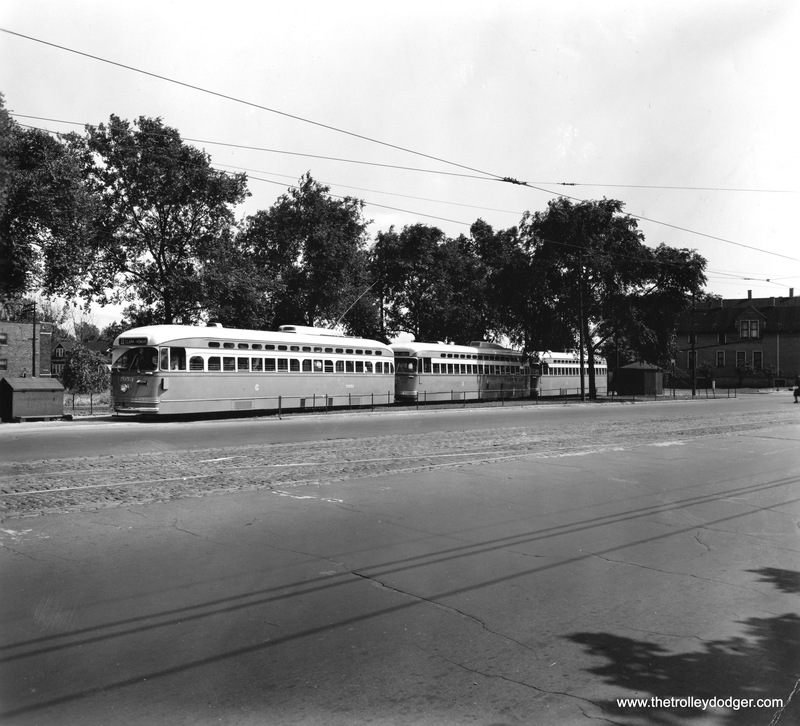 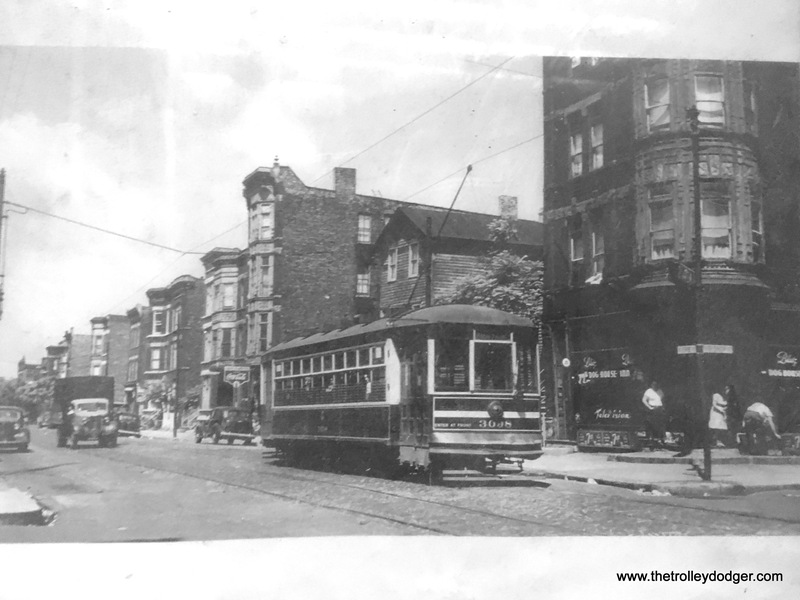 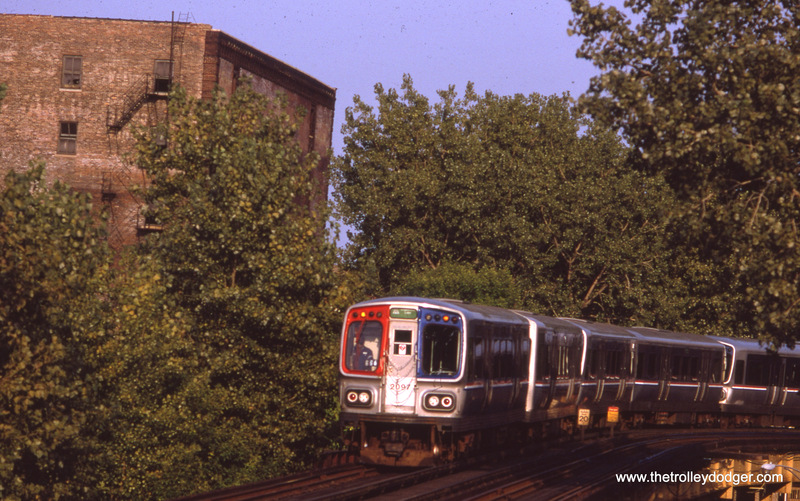 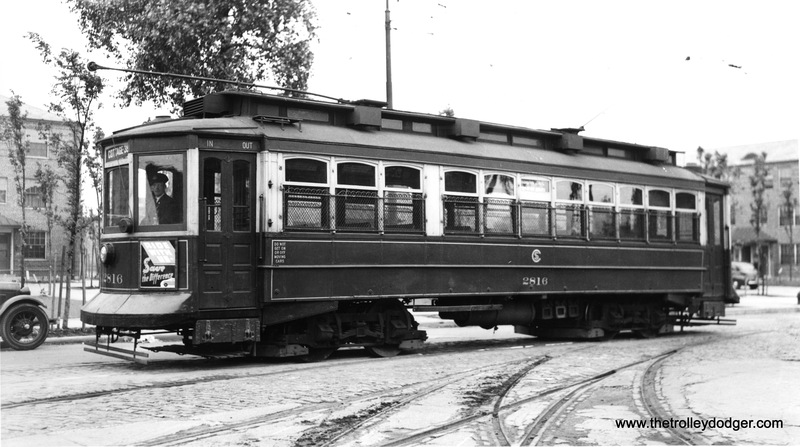 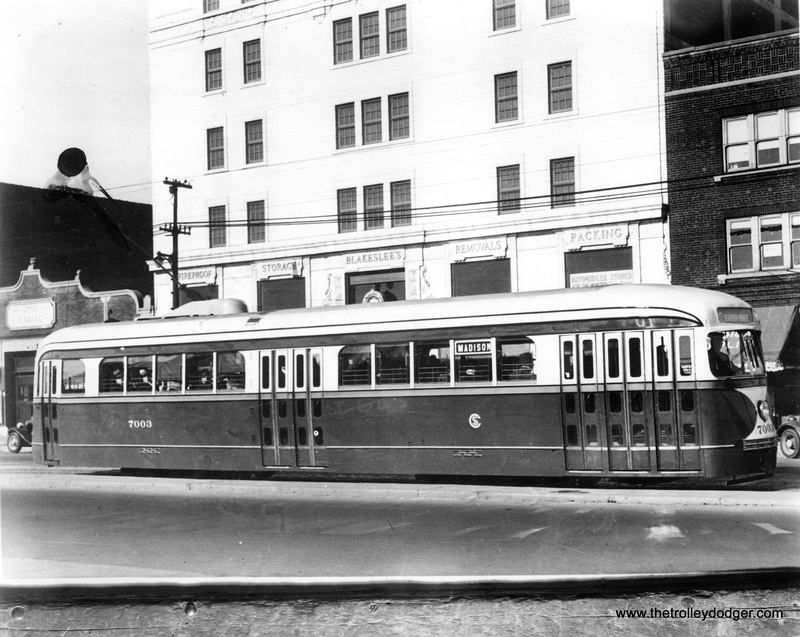 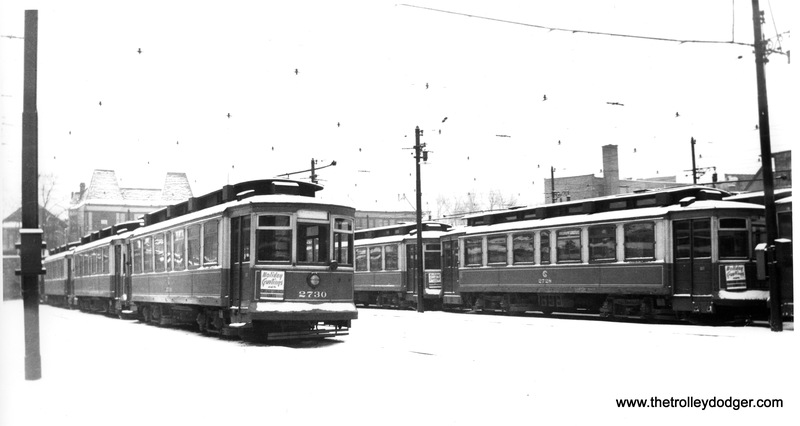 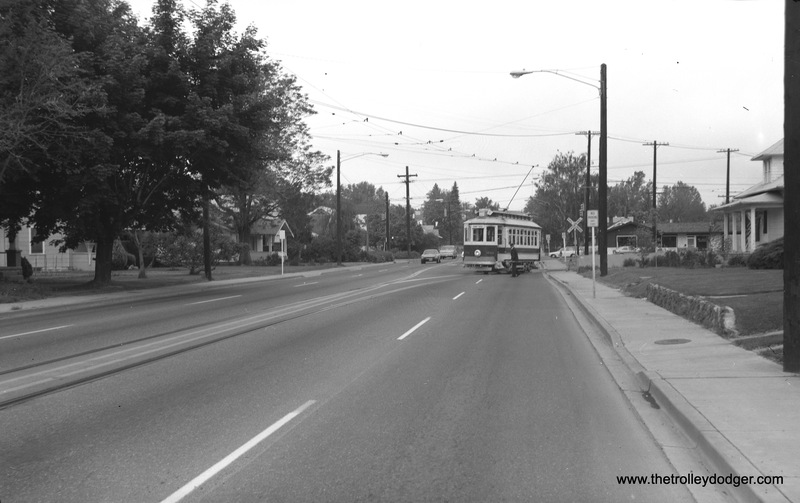 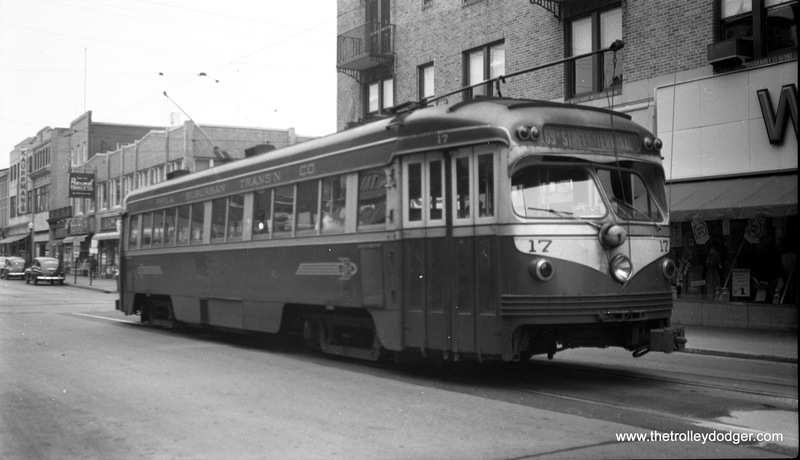 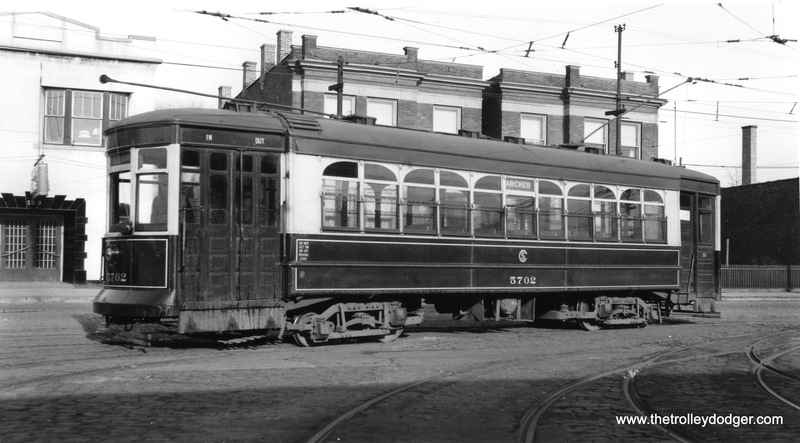 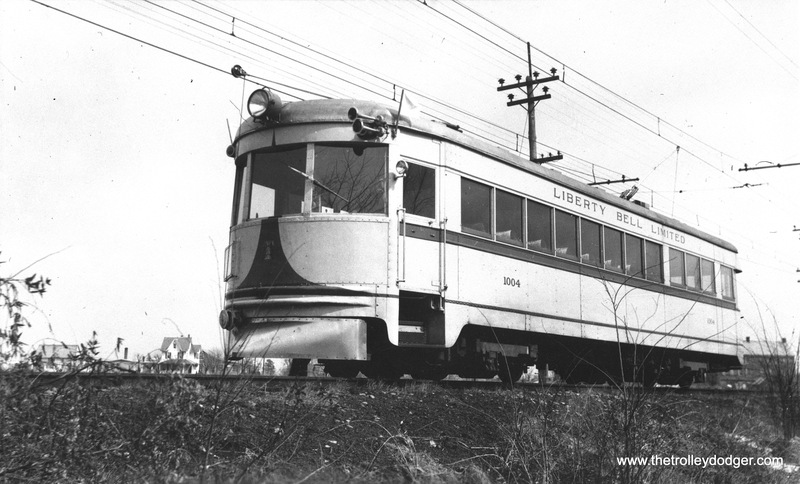 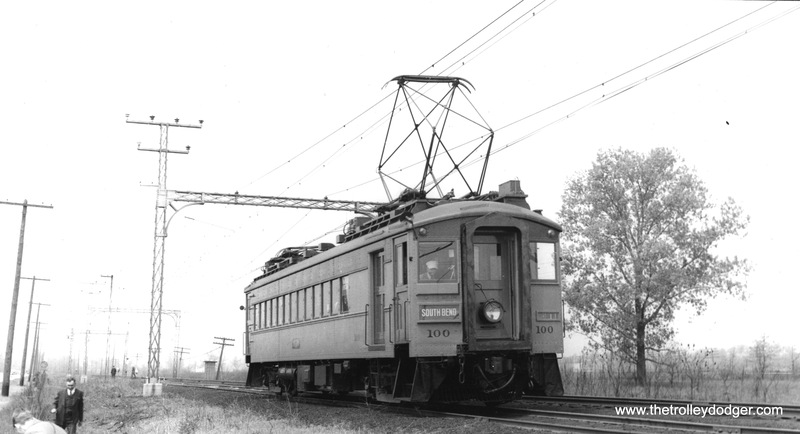 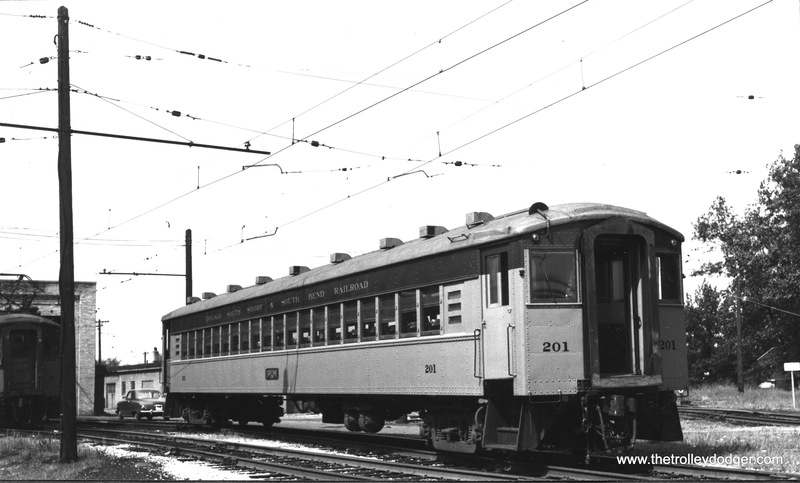 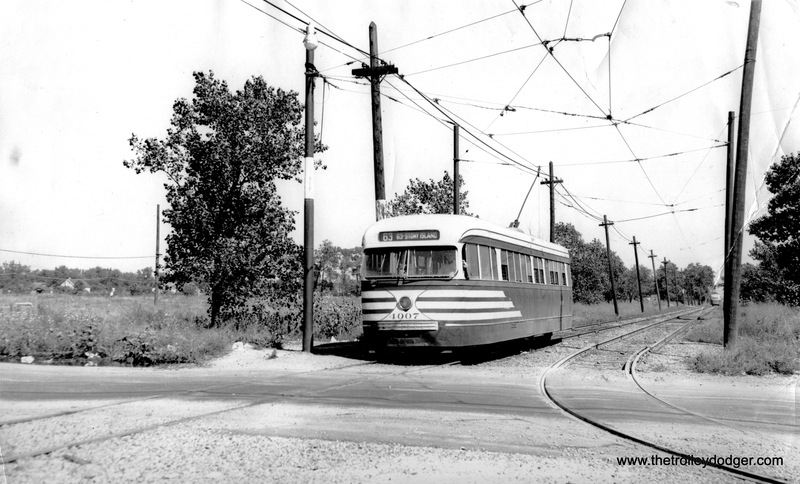 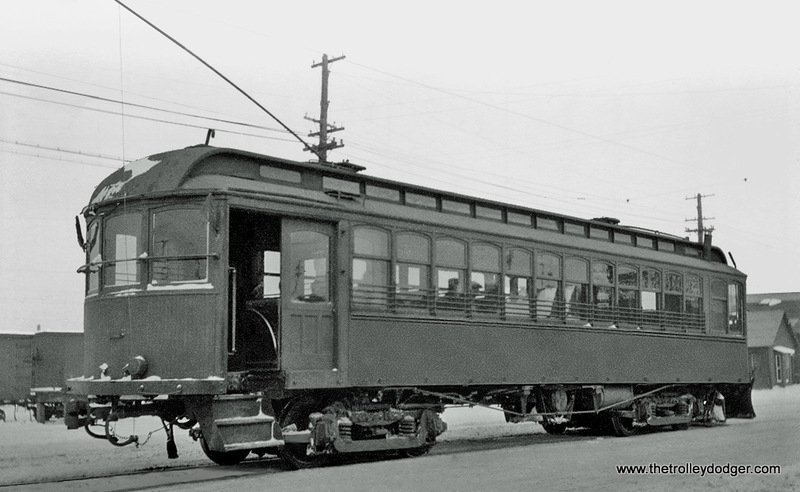 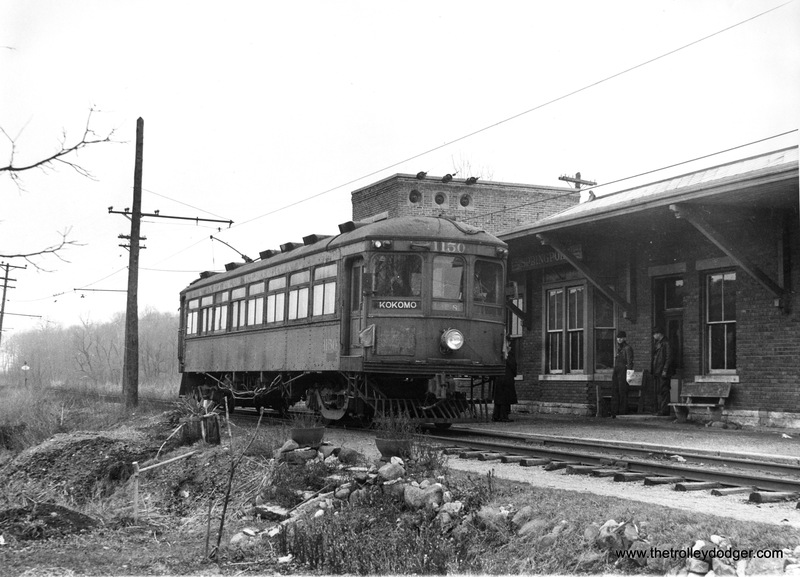 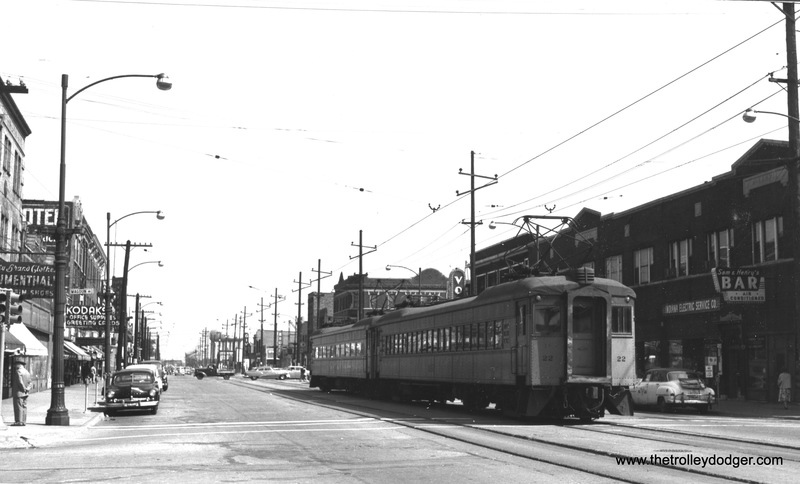 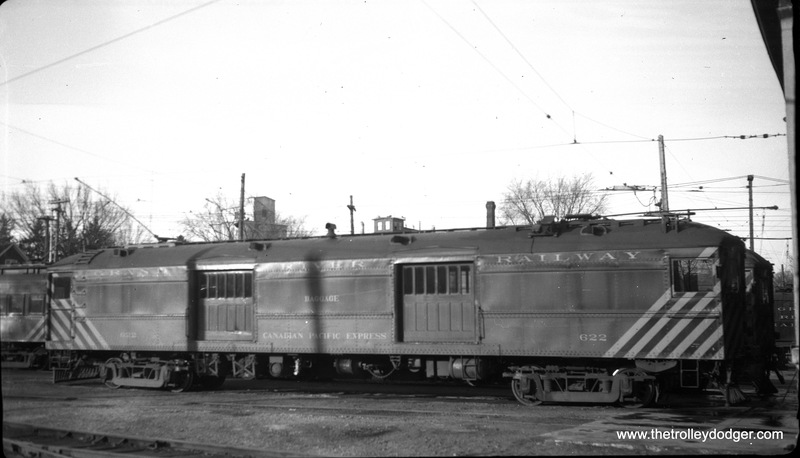 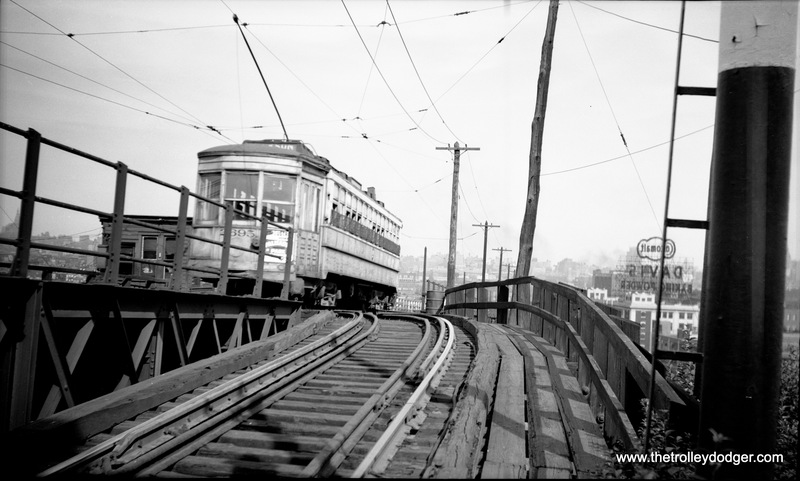 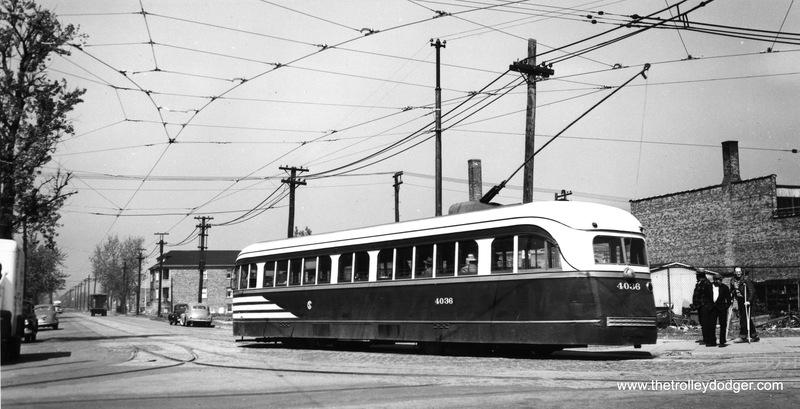 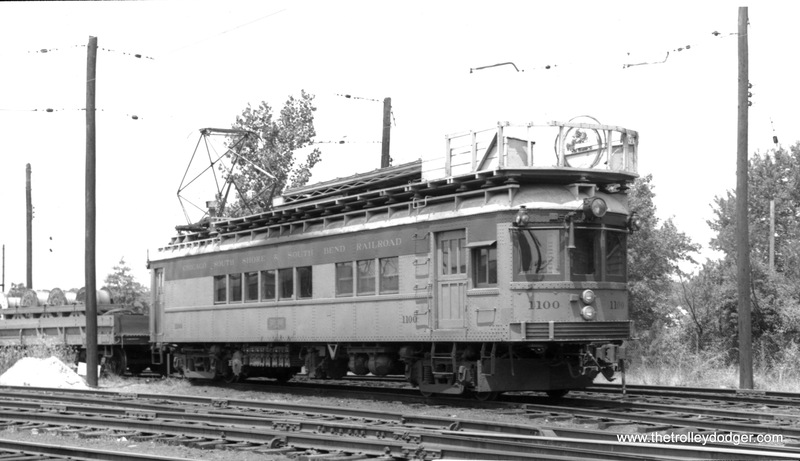 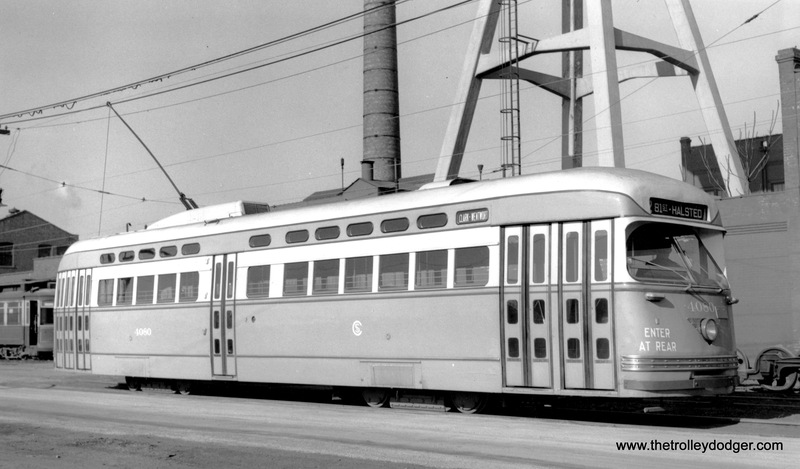 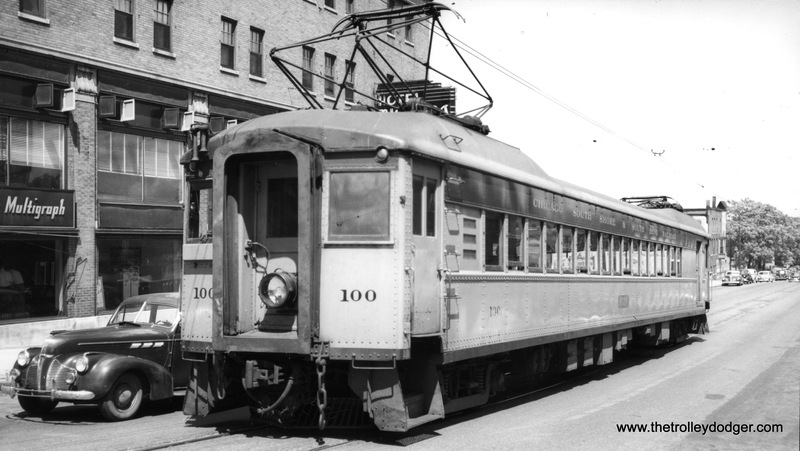 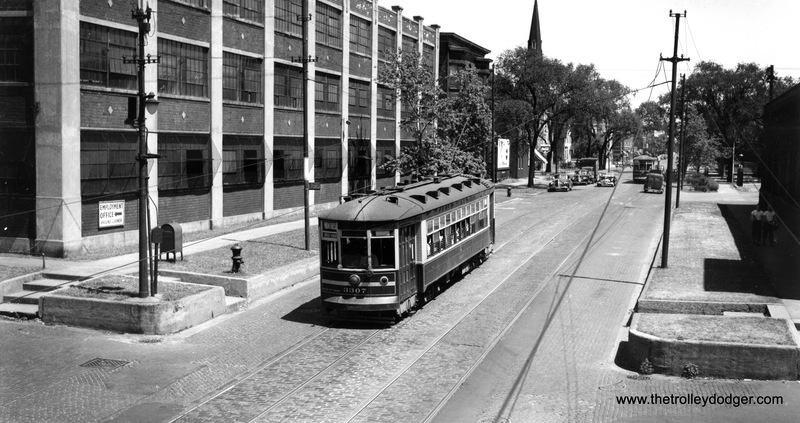 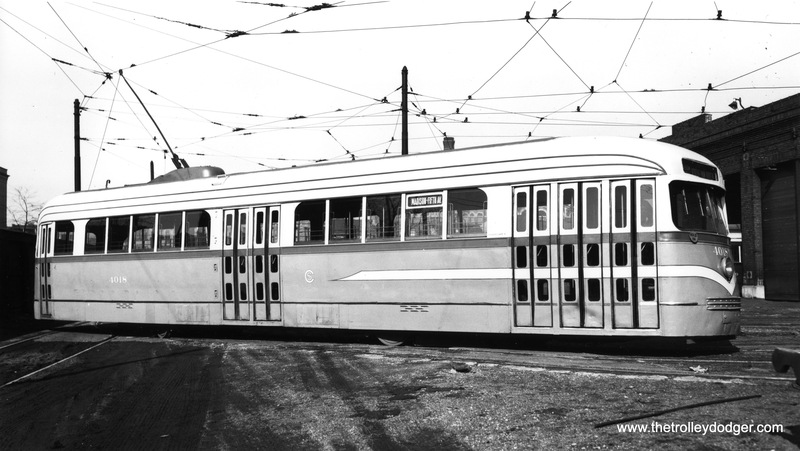 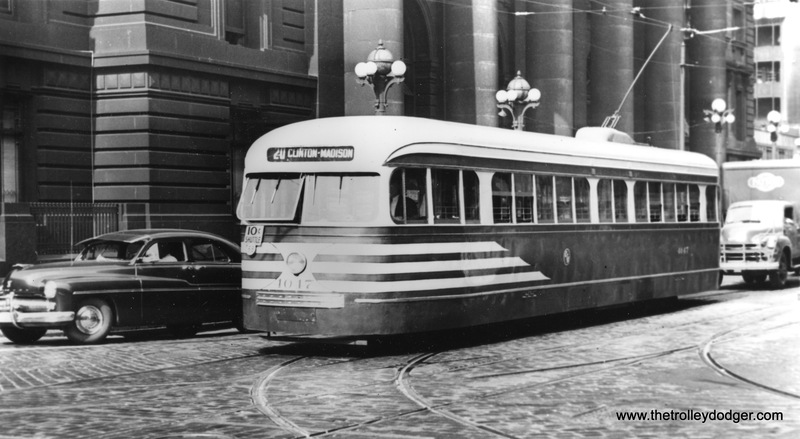 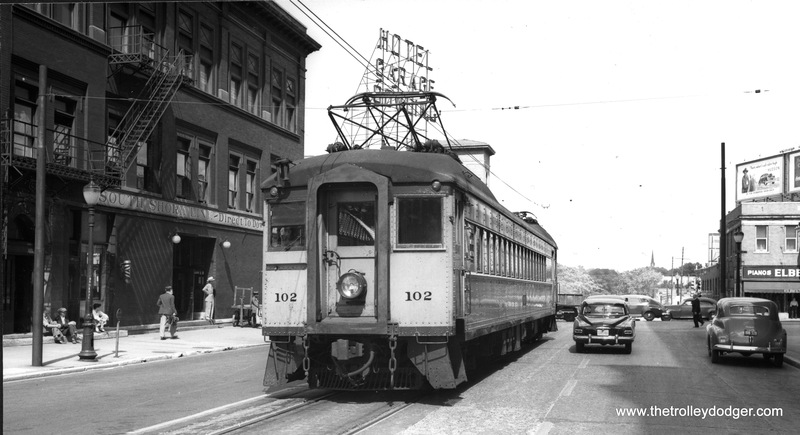 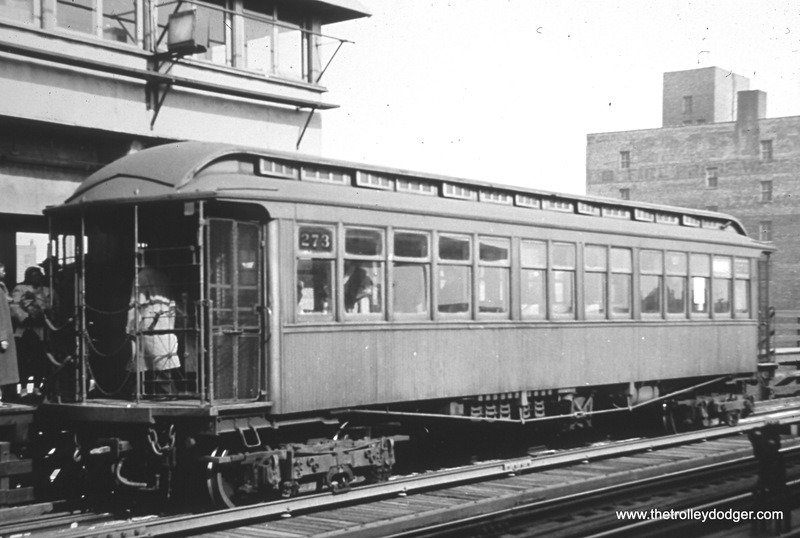 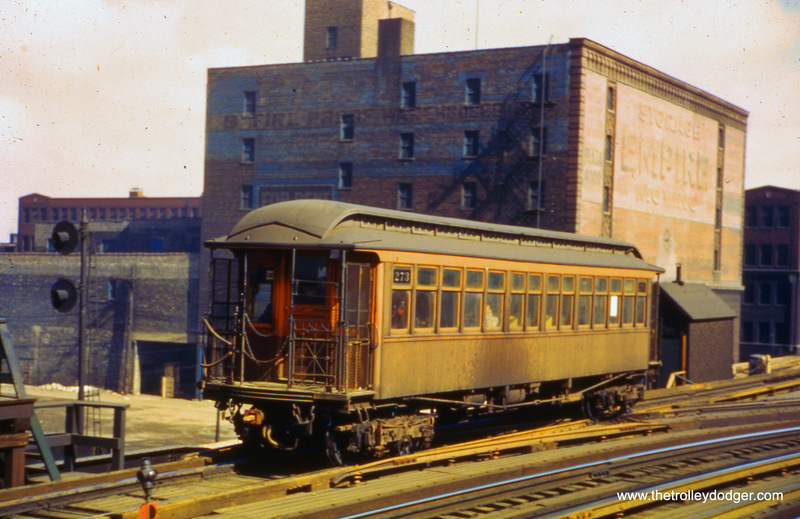 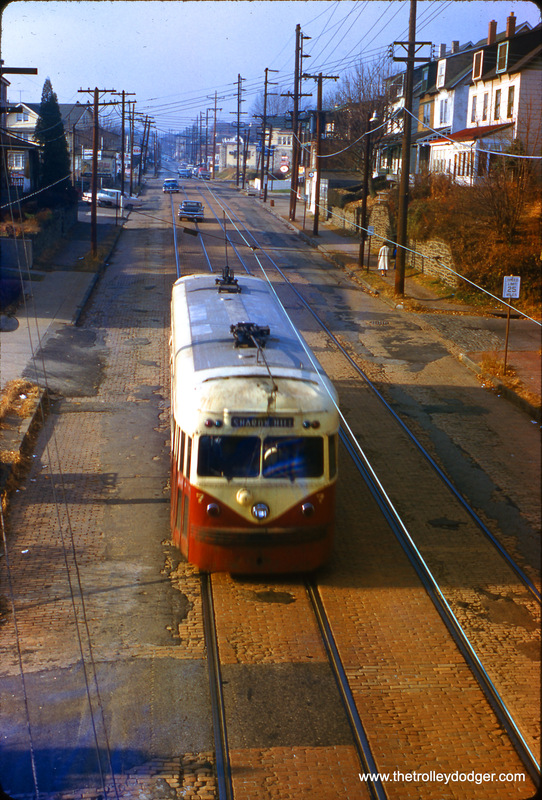 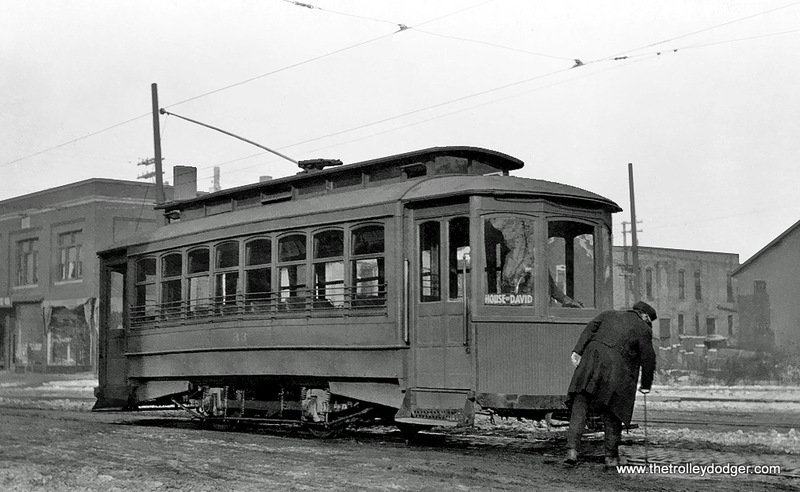 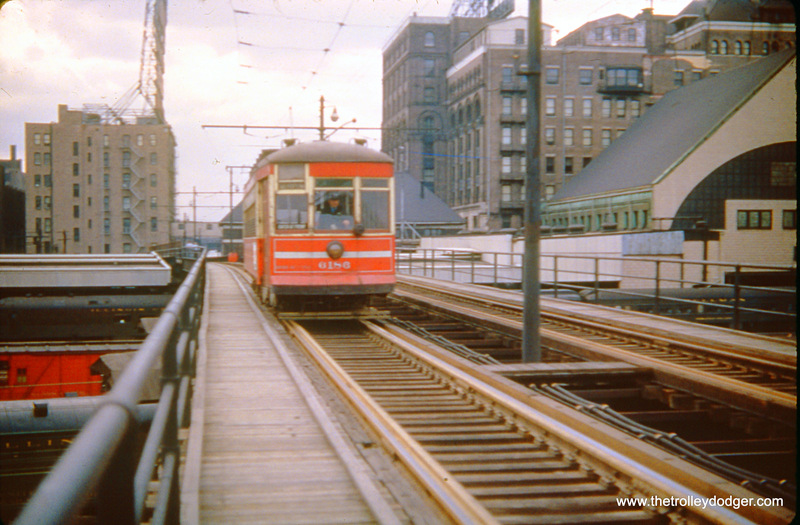 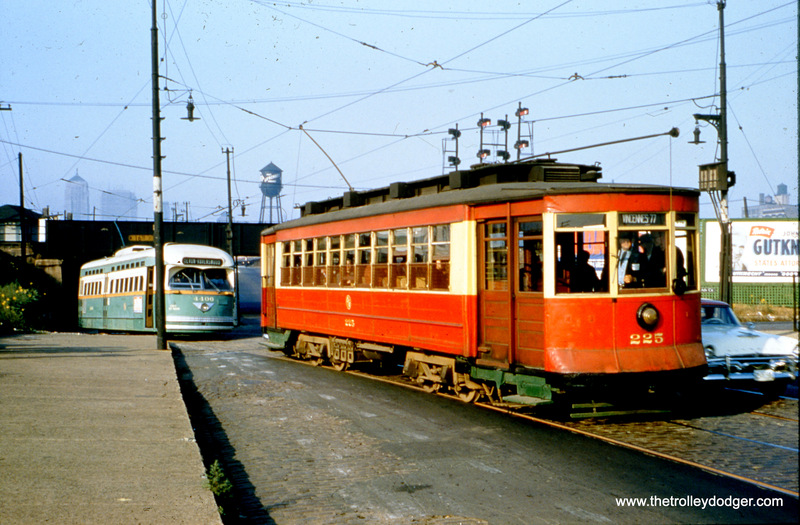 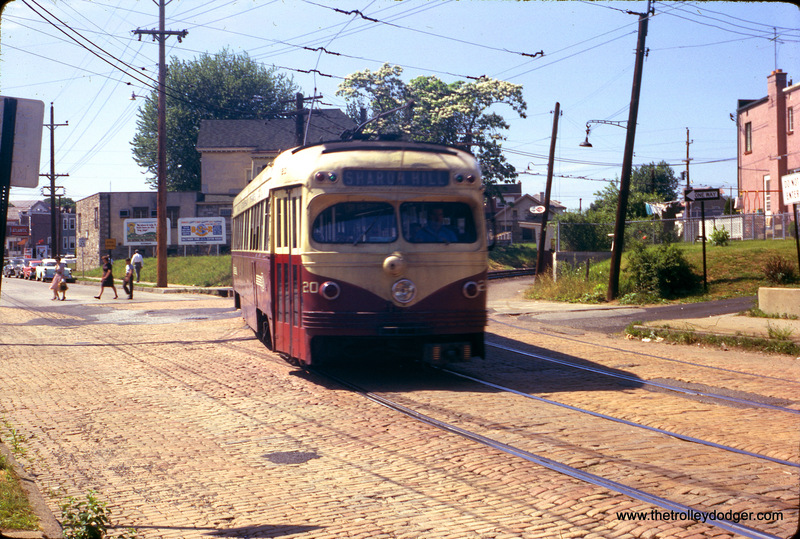 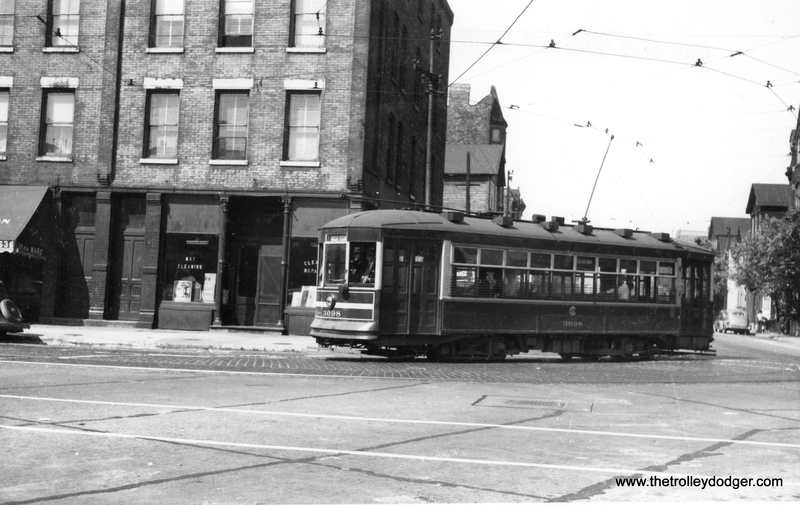 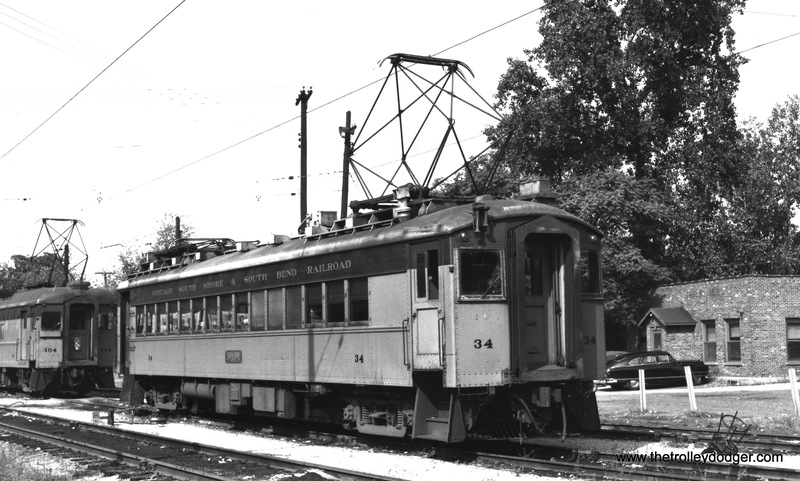 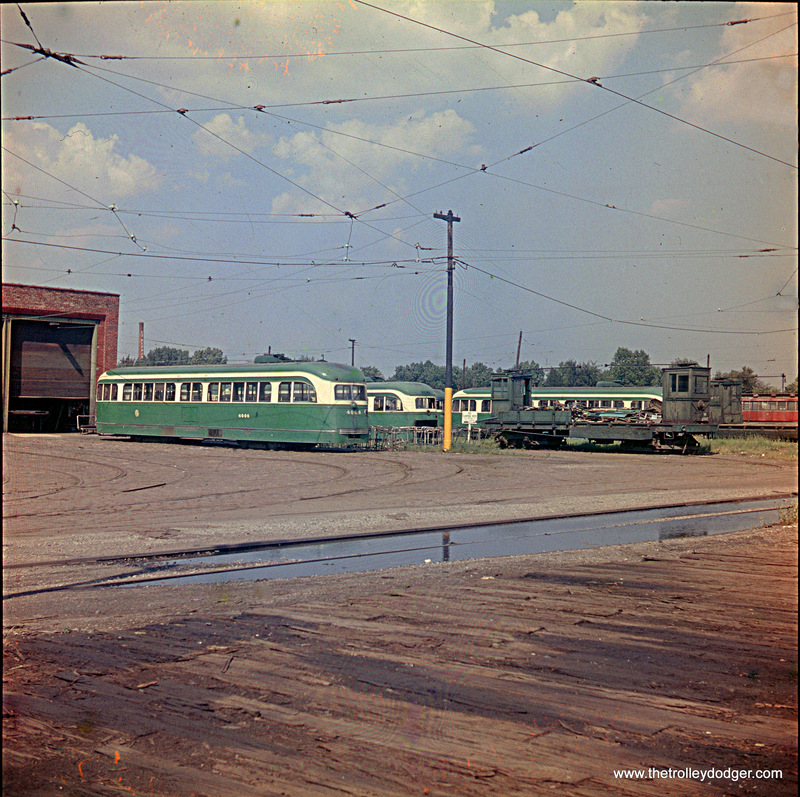 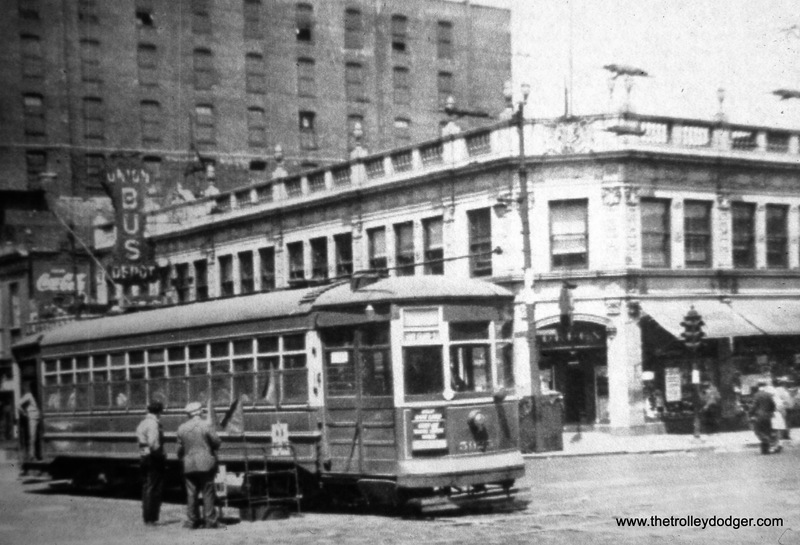 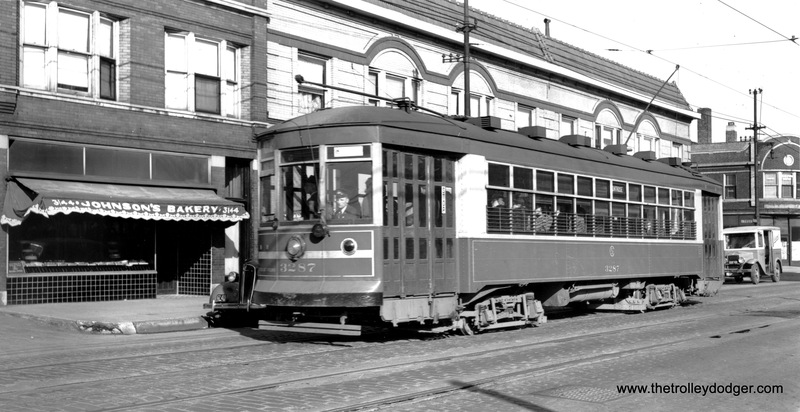 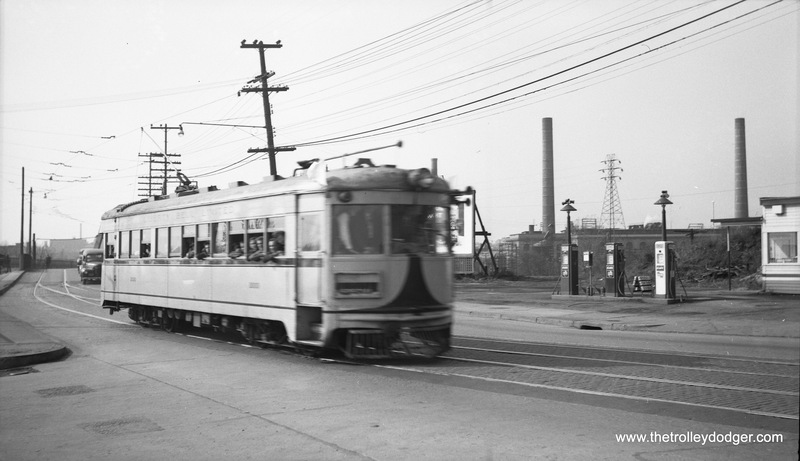 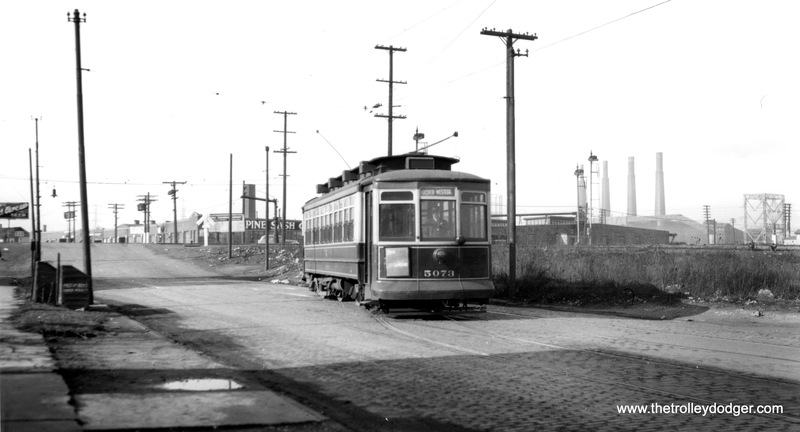 Perhaps the streetcar line that would offer a ride closest to what Chicagoans could once experience, however, is the SEPTA #15 Girard Avenue line in Philadelphia, which is operated with modernized PCC cars. 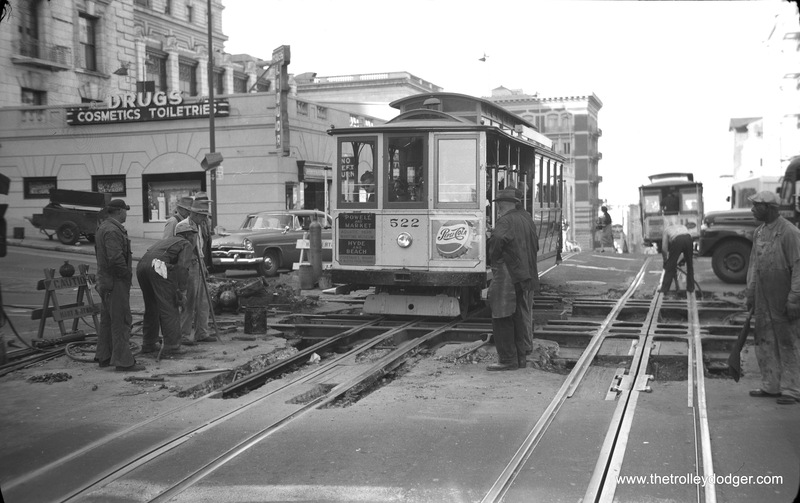 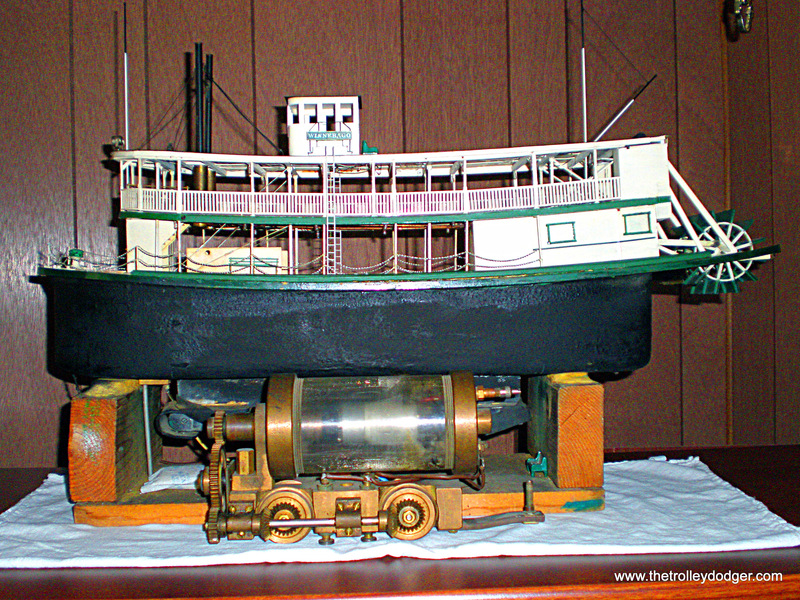 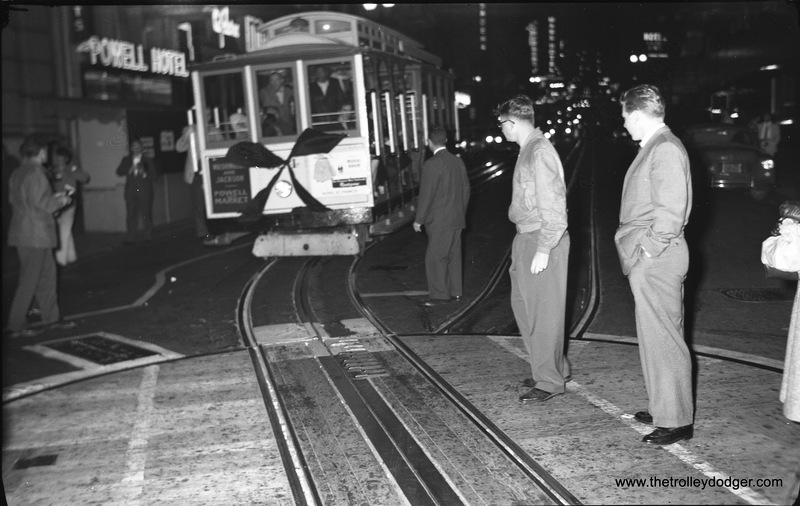 I can also recommend the Muni F-Market and Wharves line in San Francisco, which operates using a variety of historic equipment. 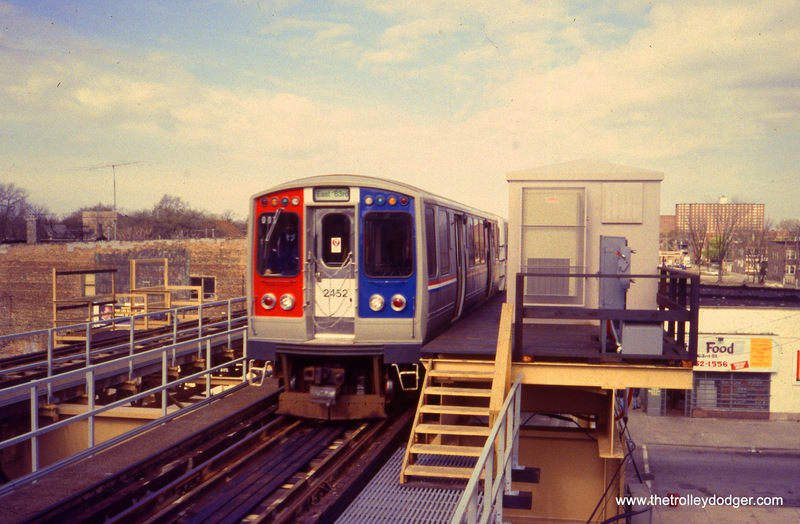 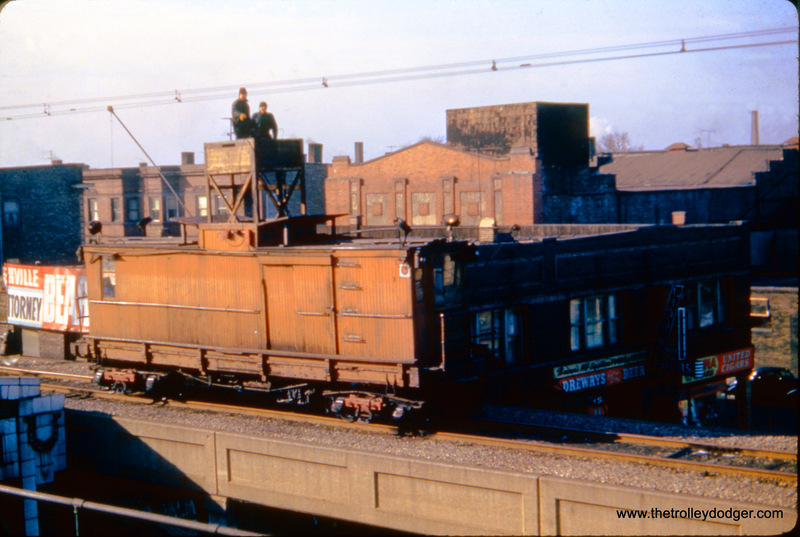 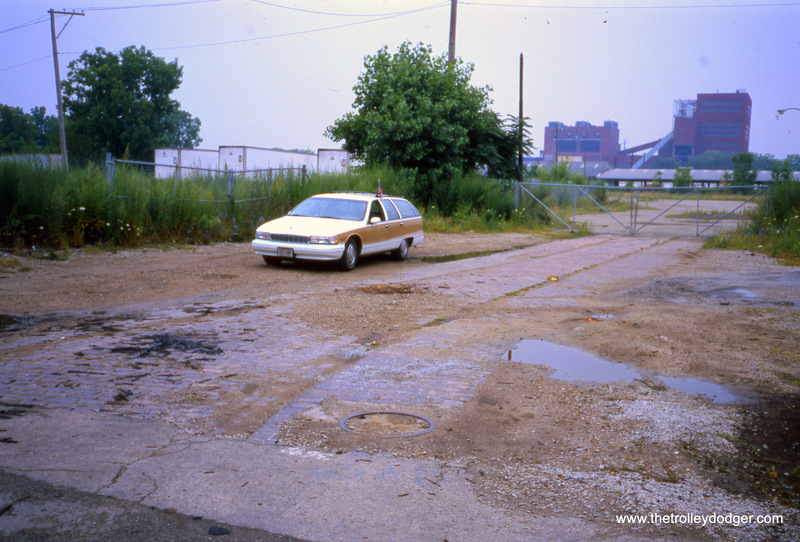 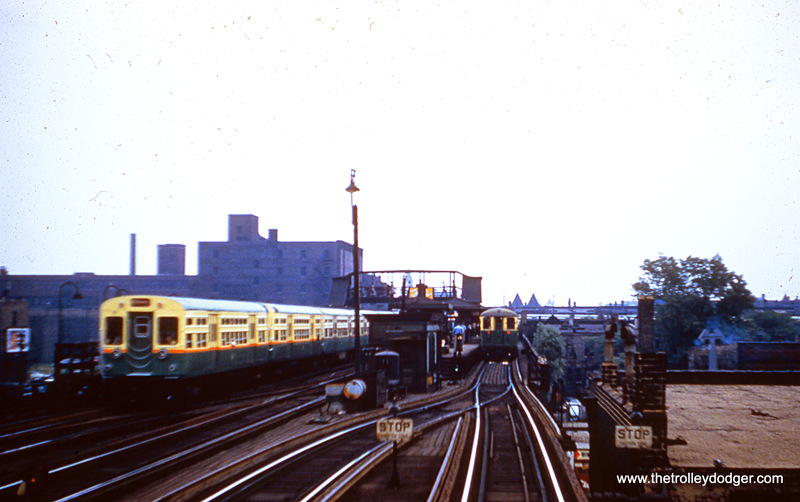 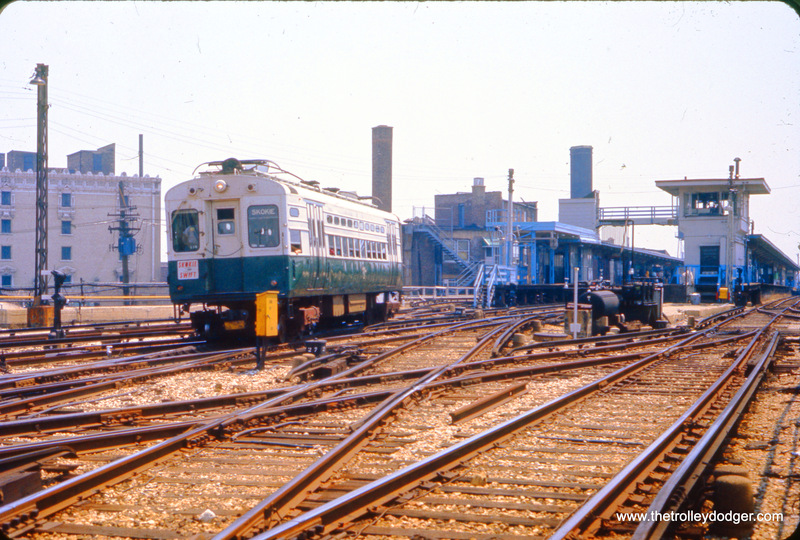 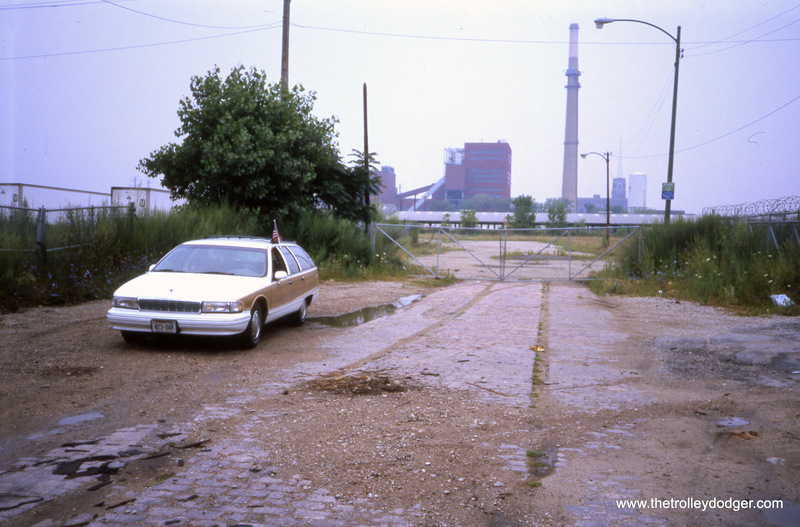 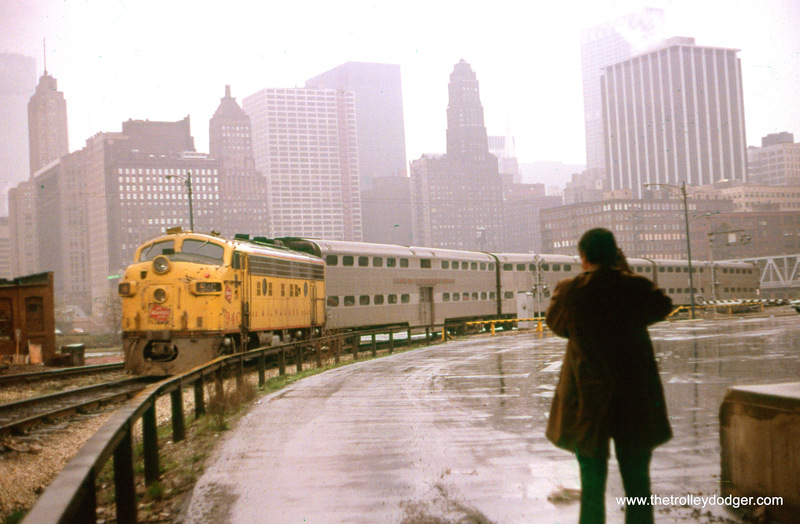 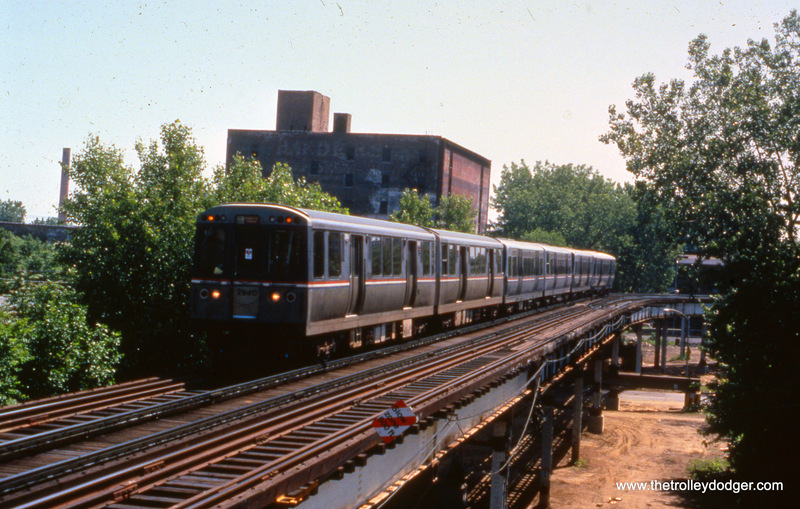 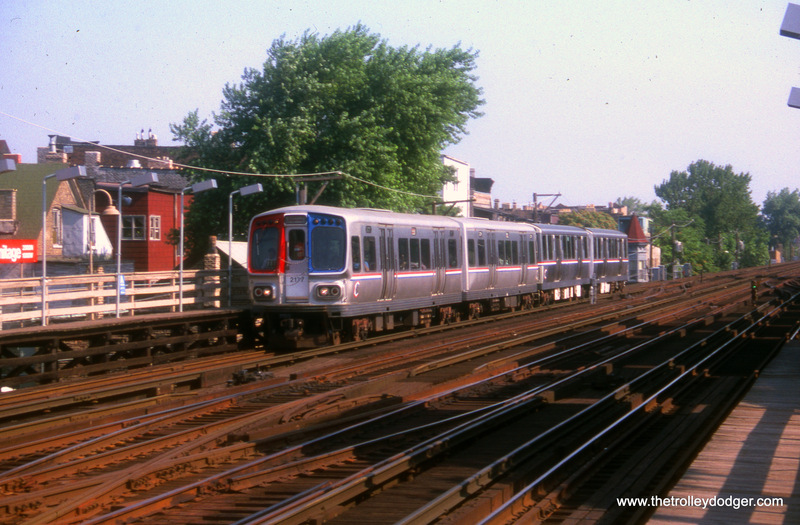 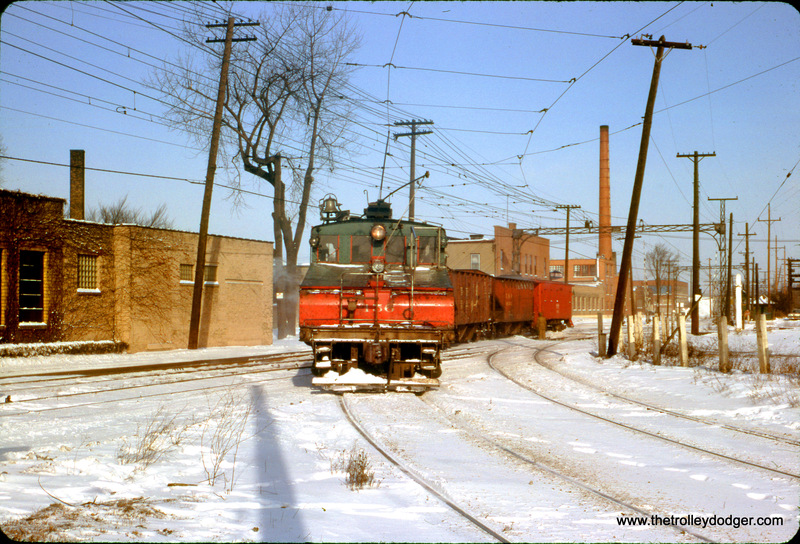 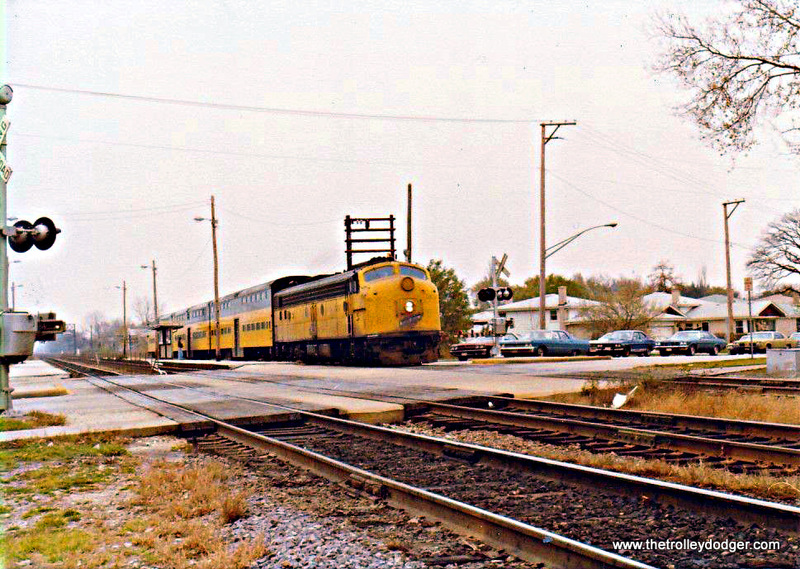 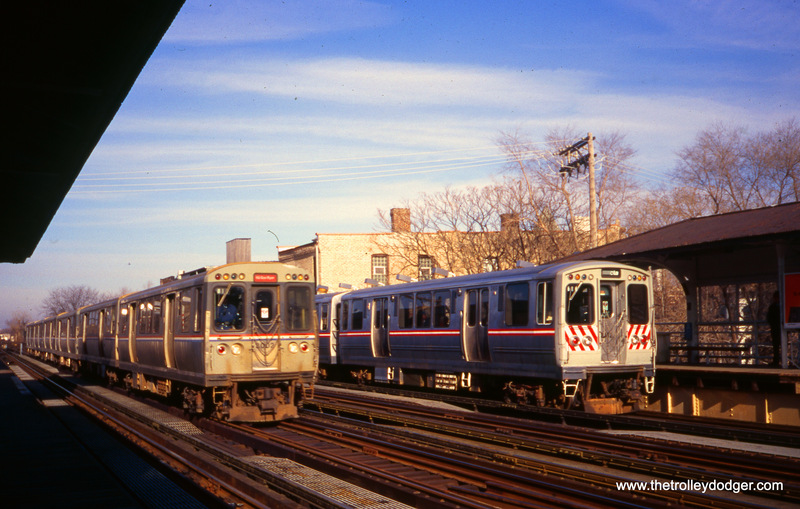 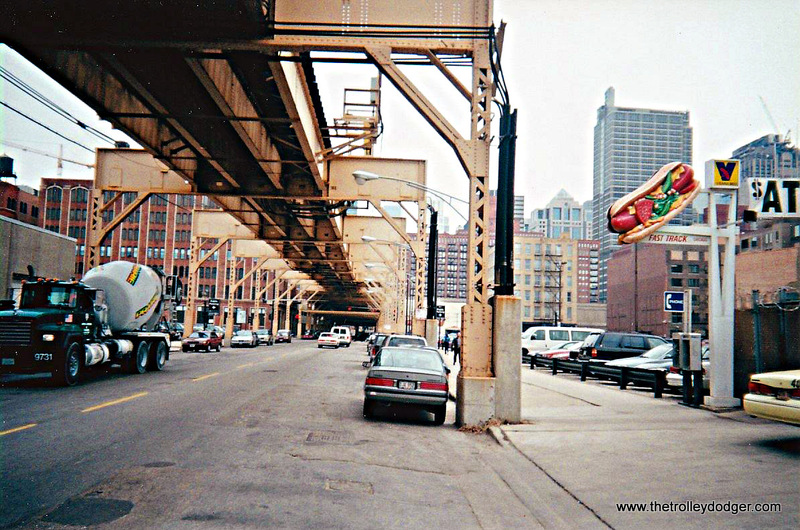 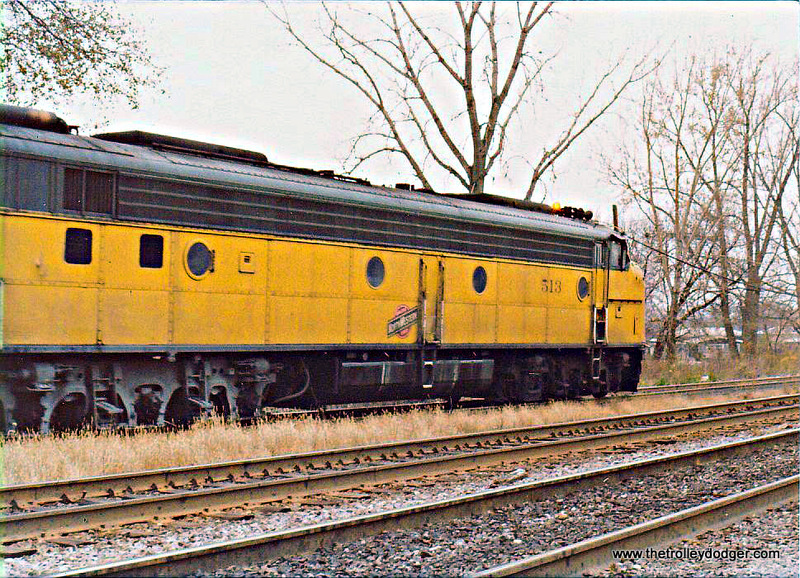 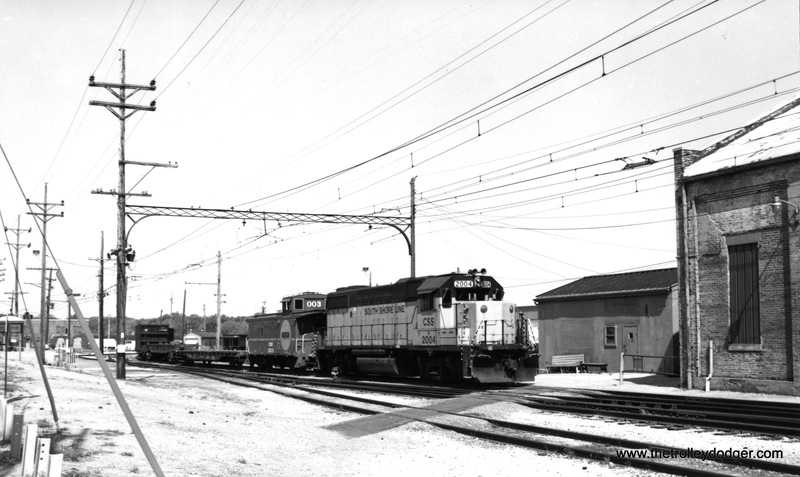 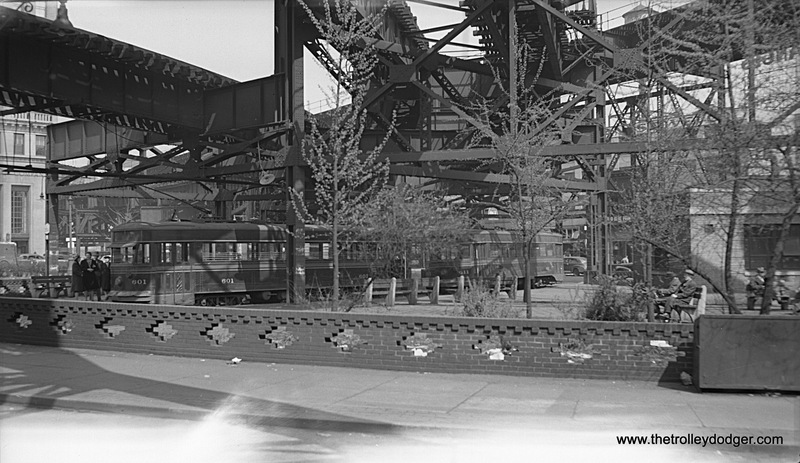 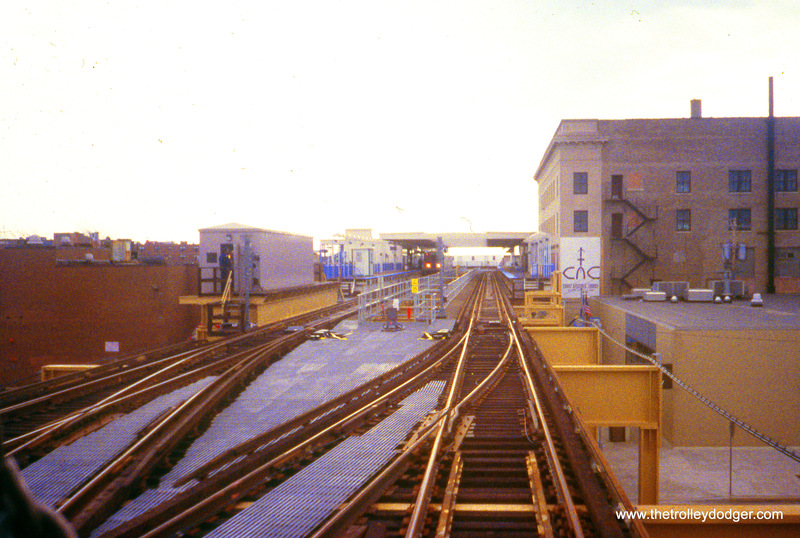 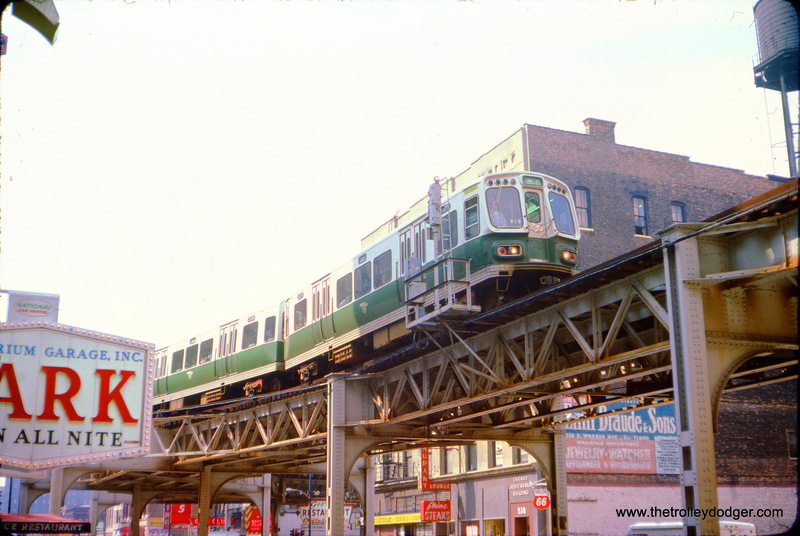 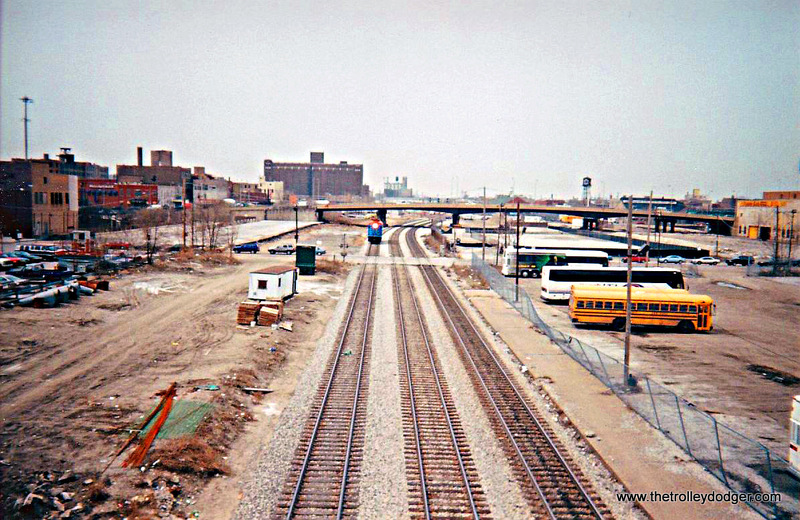 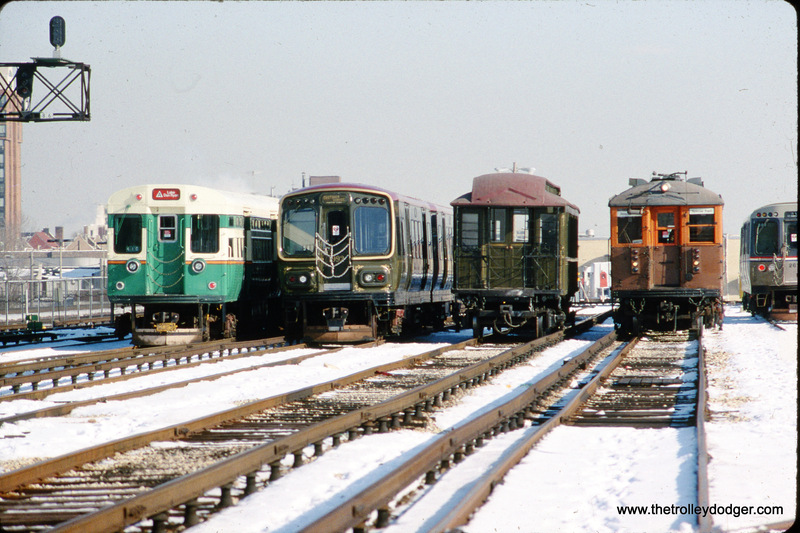 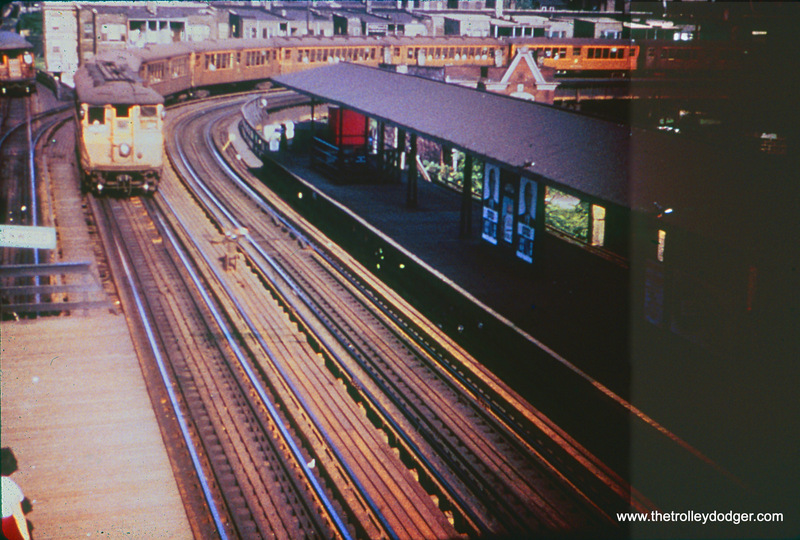 Anyway you look at it, this anniversary is a good excuse to feature some classic Chicago traction photos, which we hope you will enjoy. 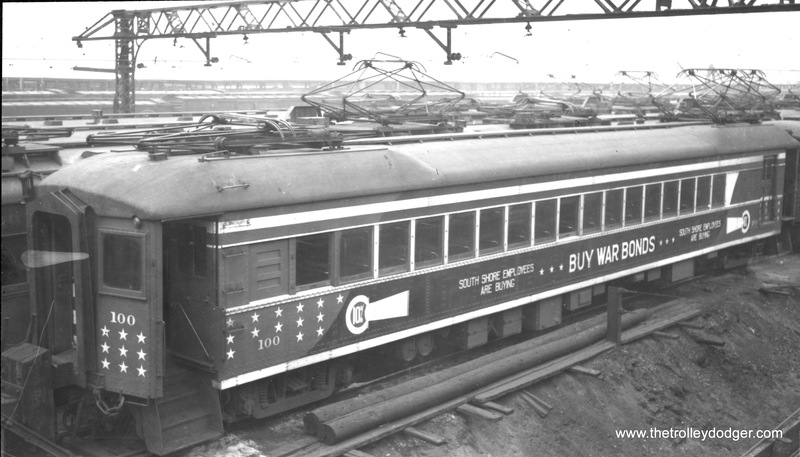 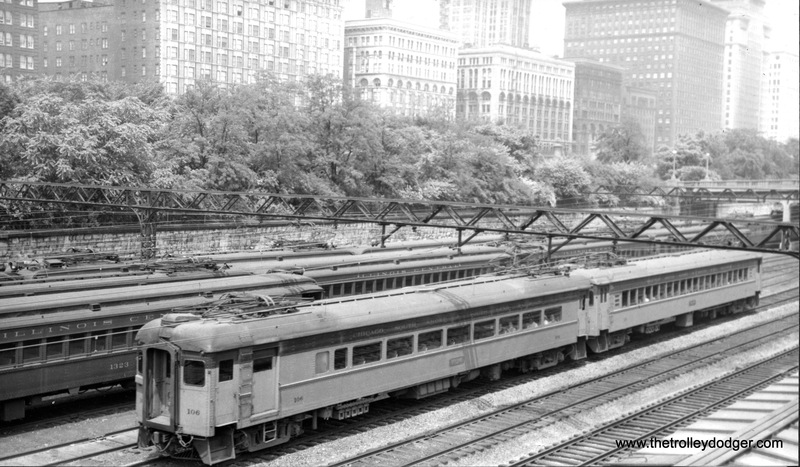 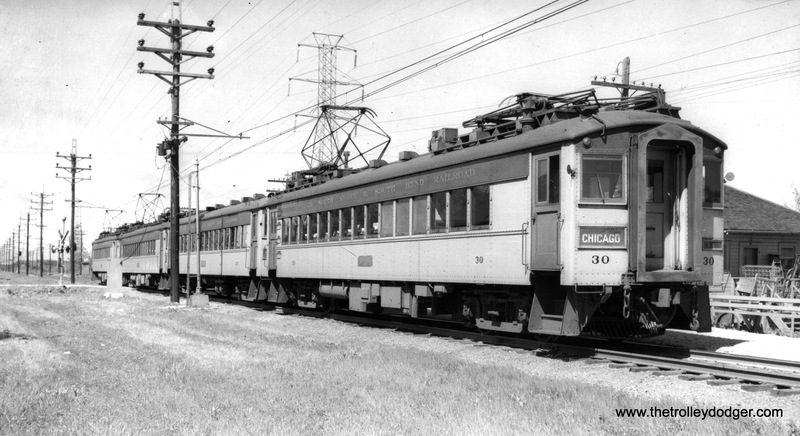 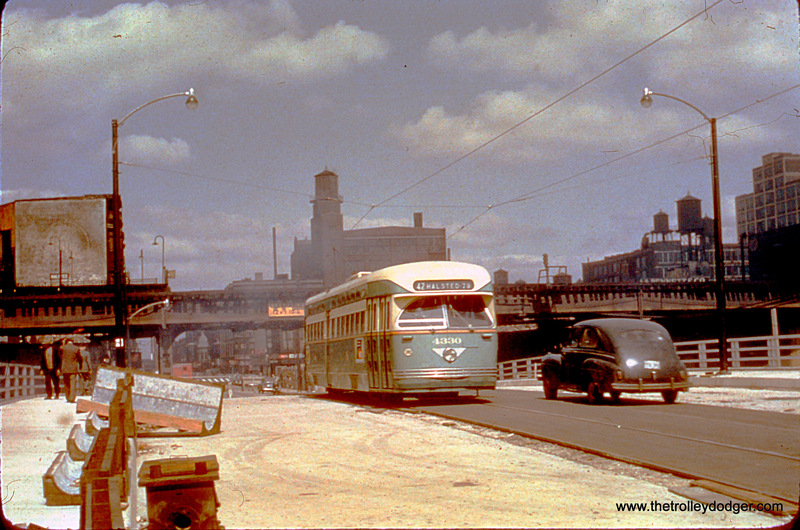 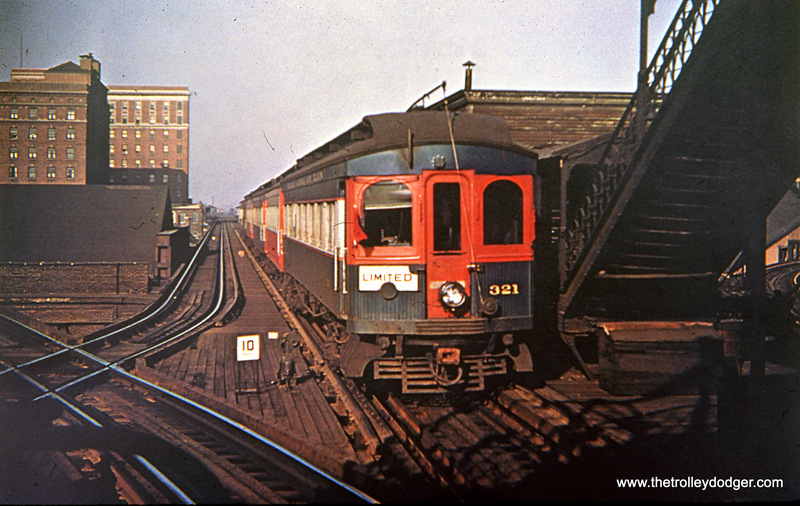 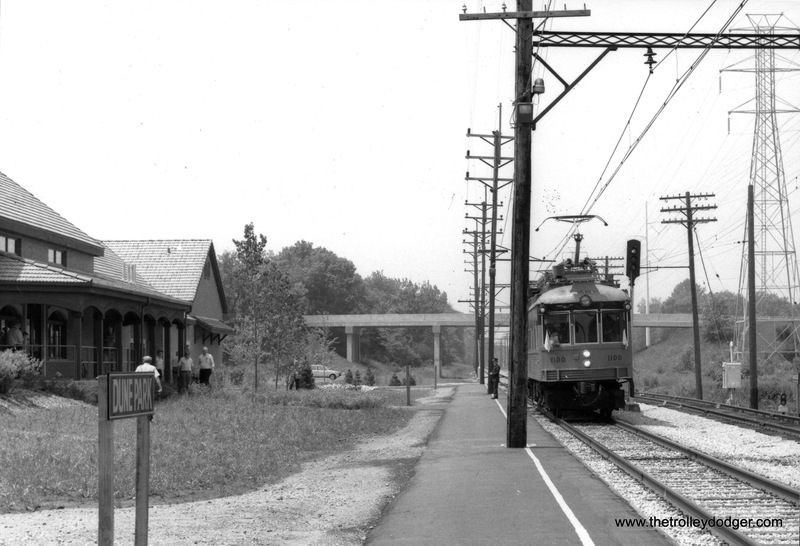 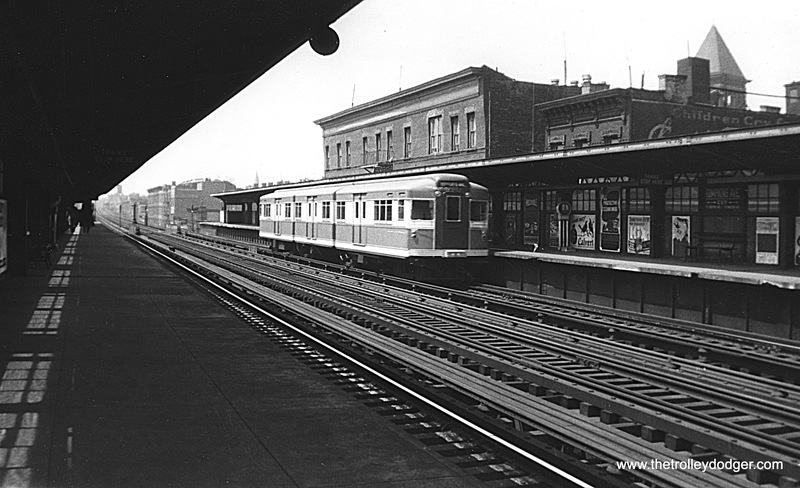 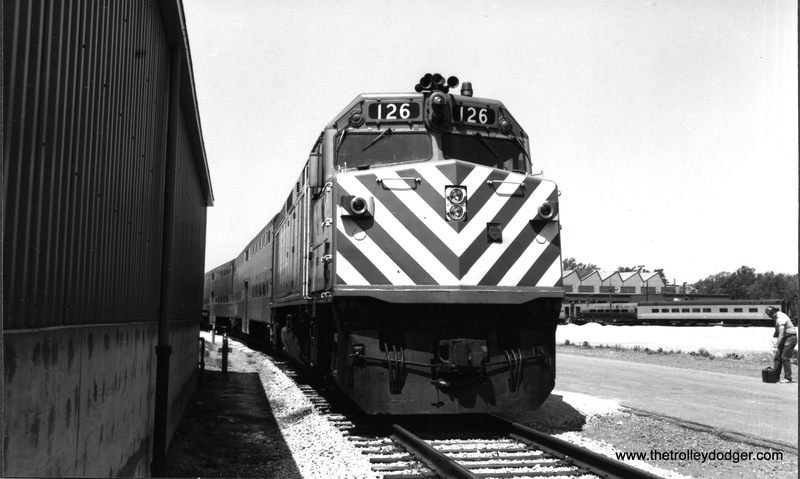 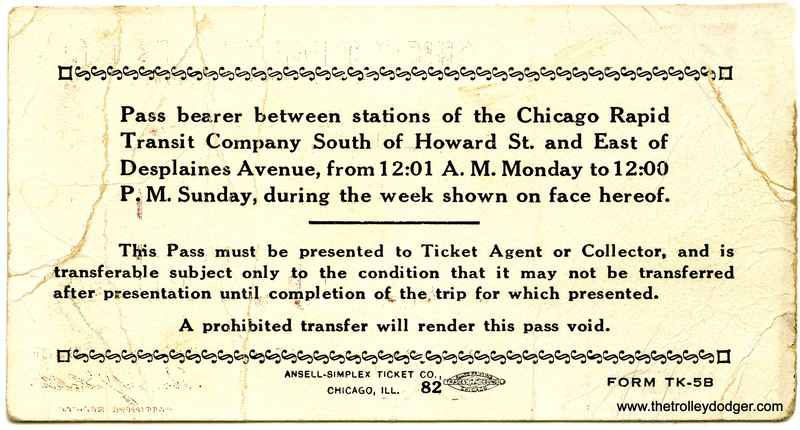 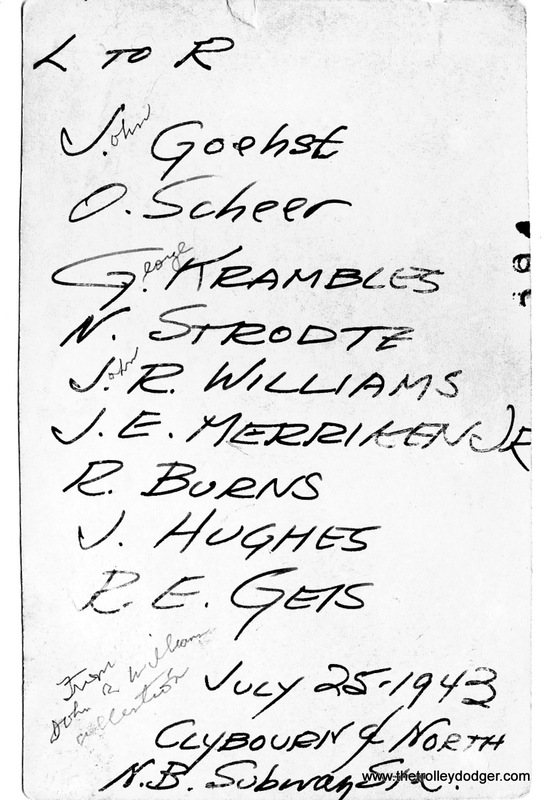 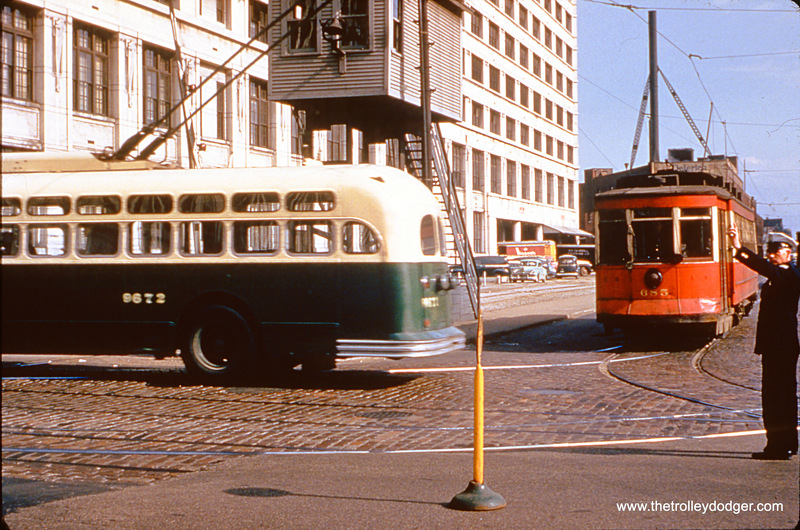 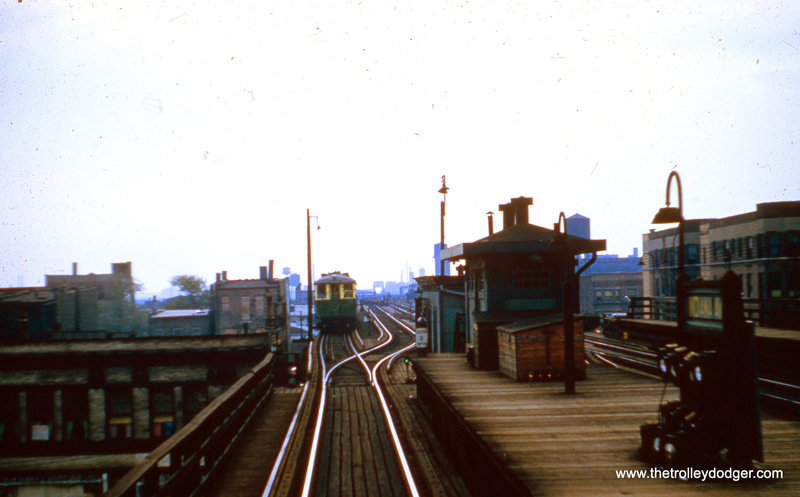 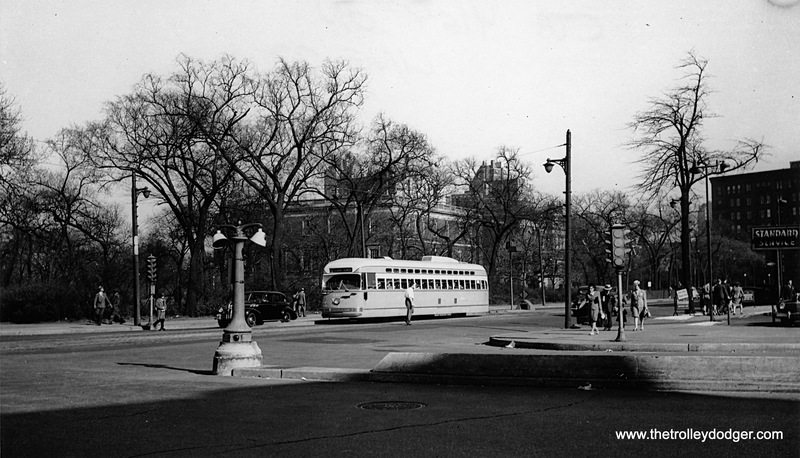 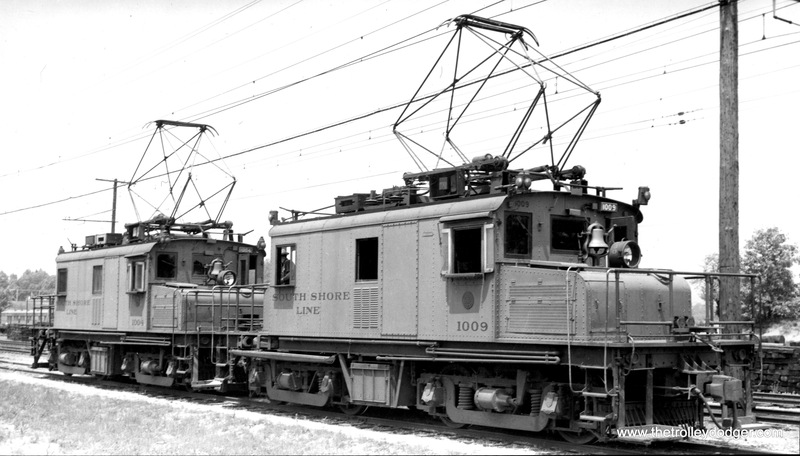 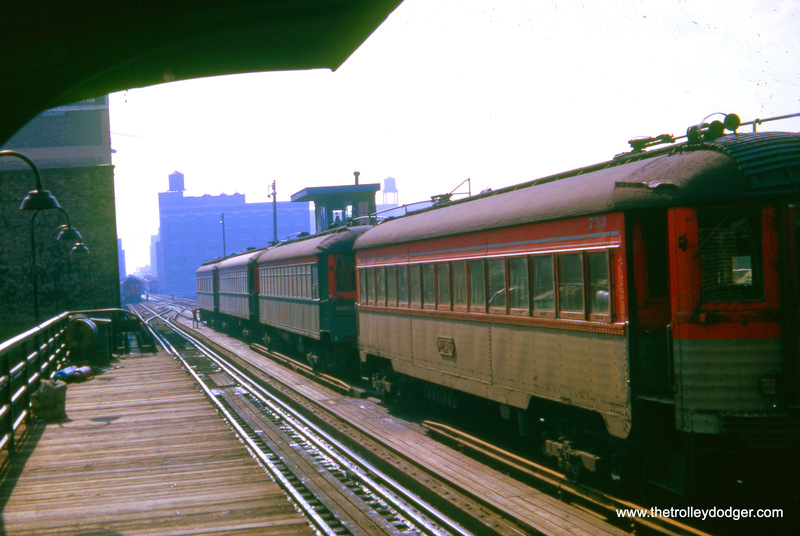 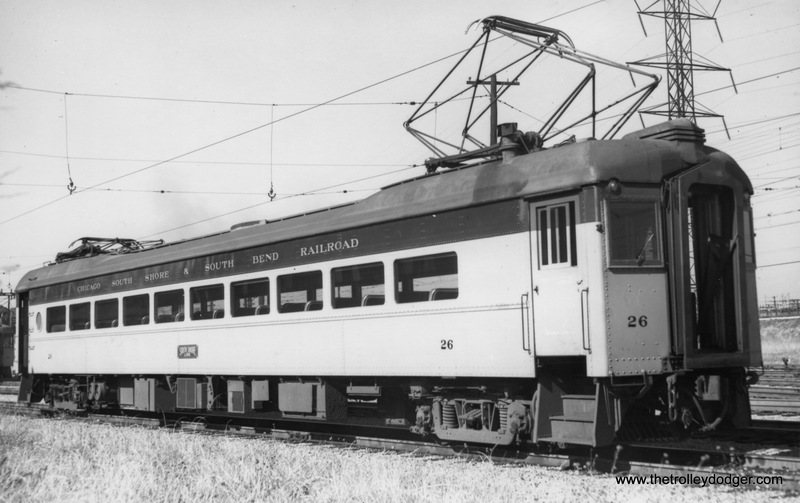 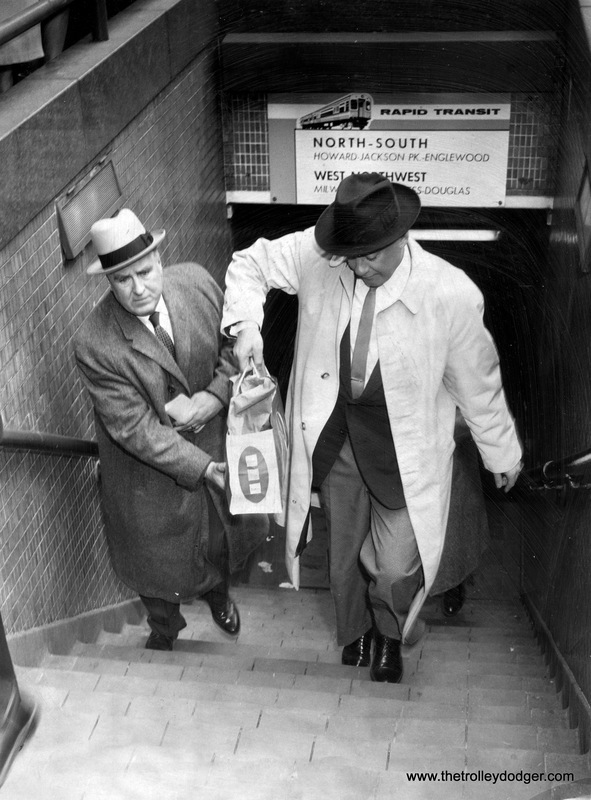 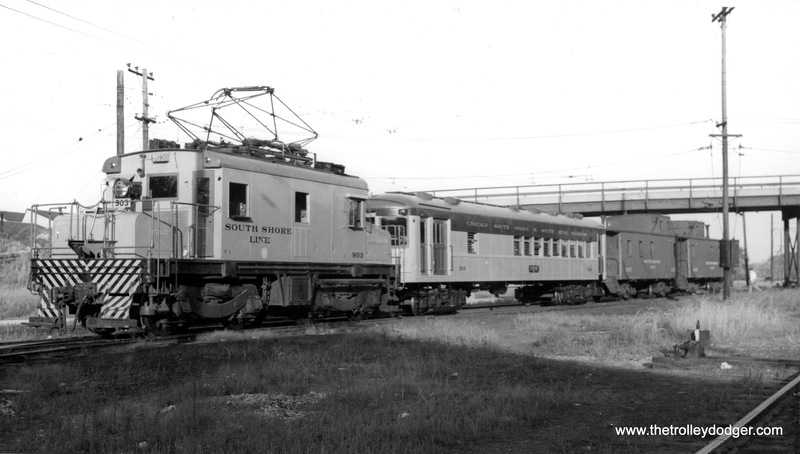 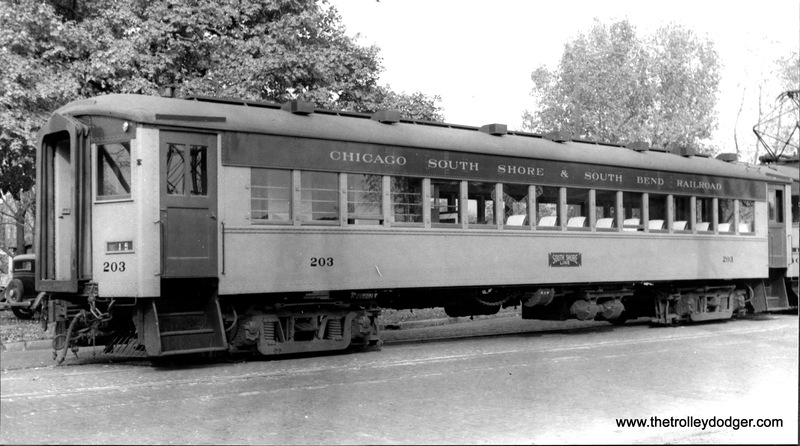 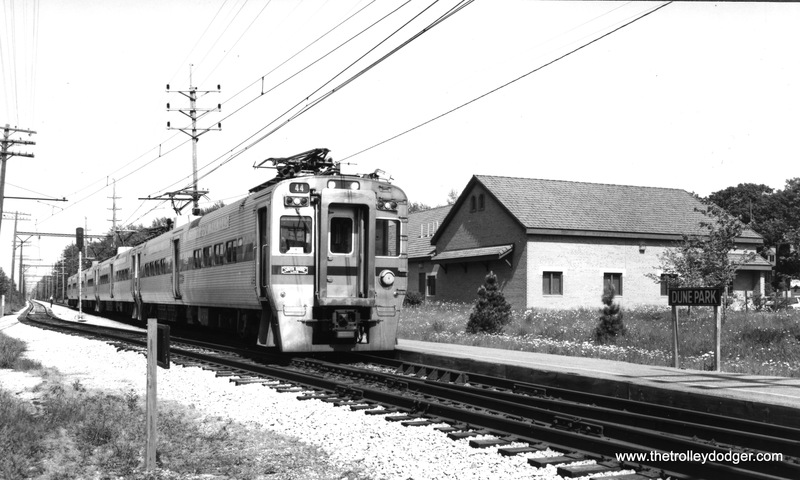 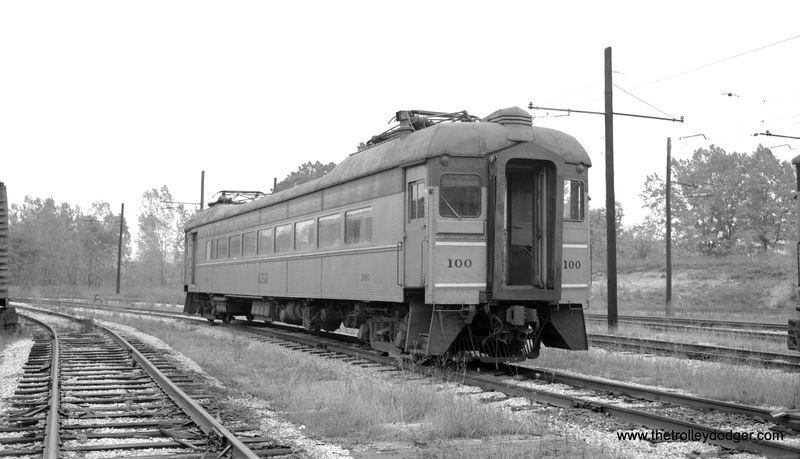 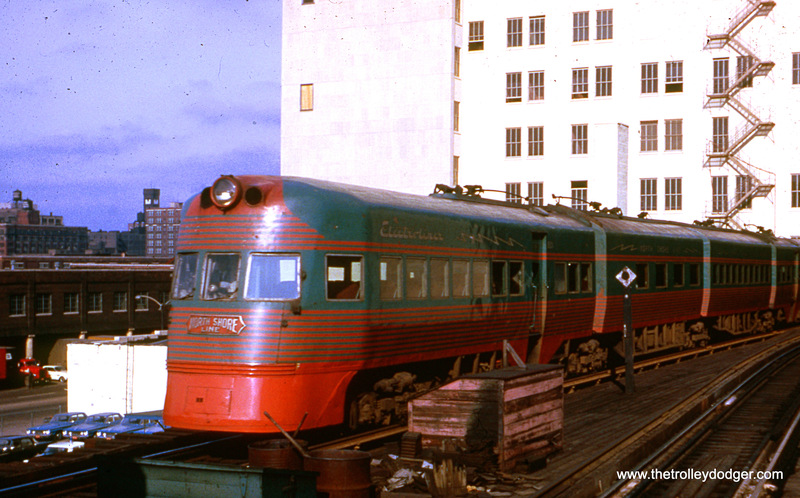 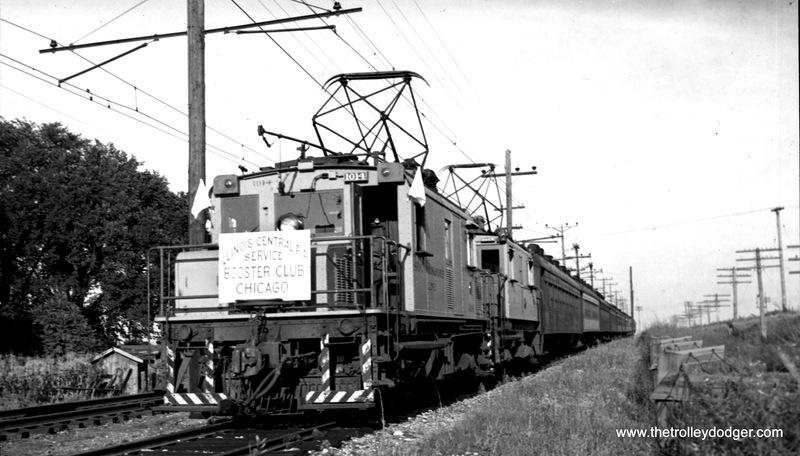 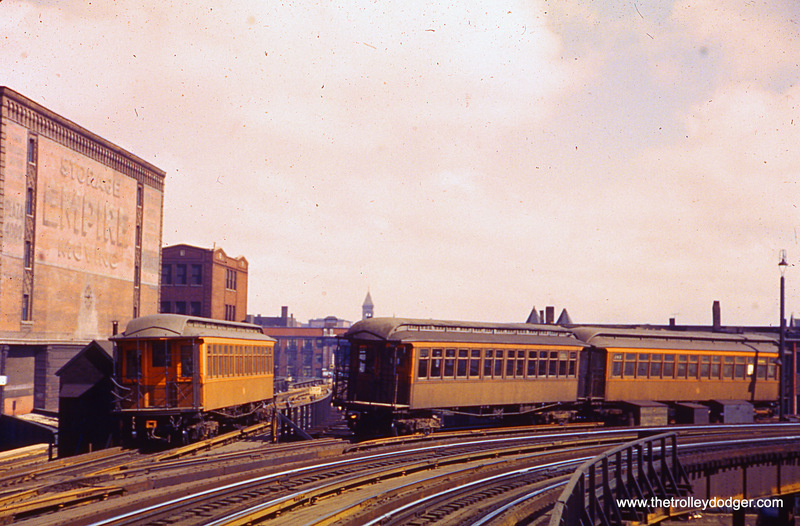 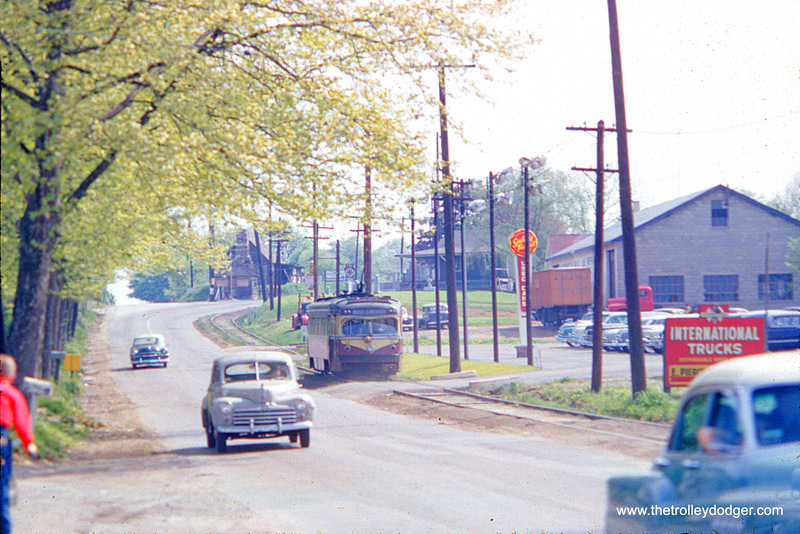 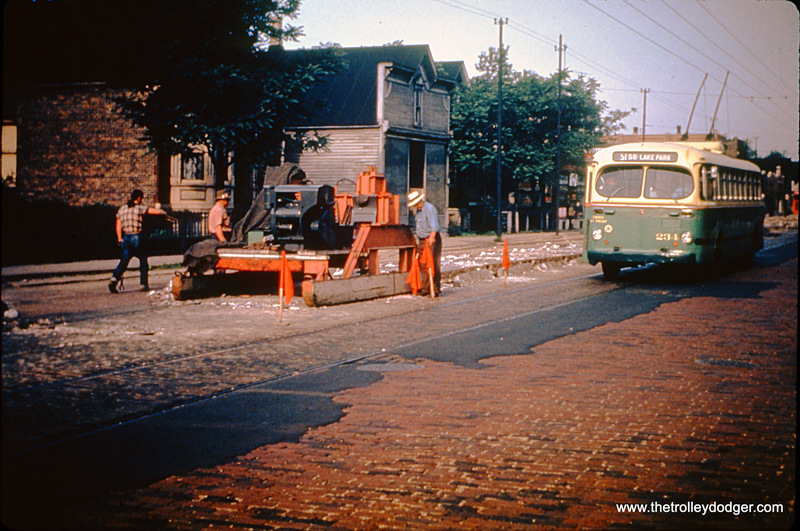 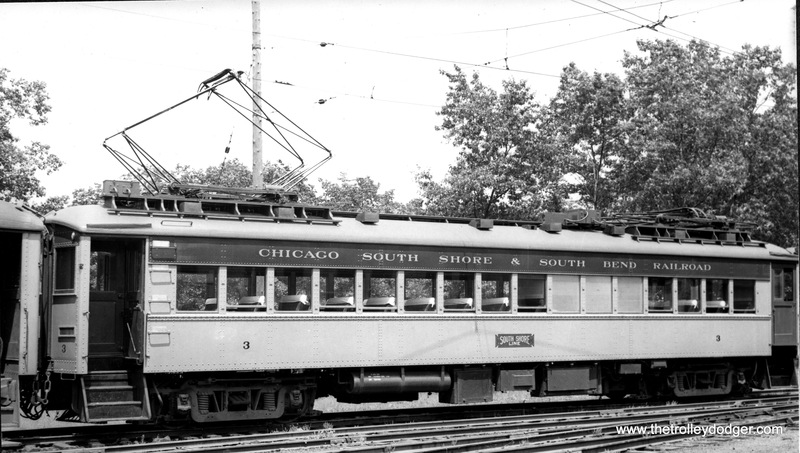 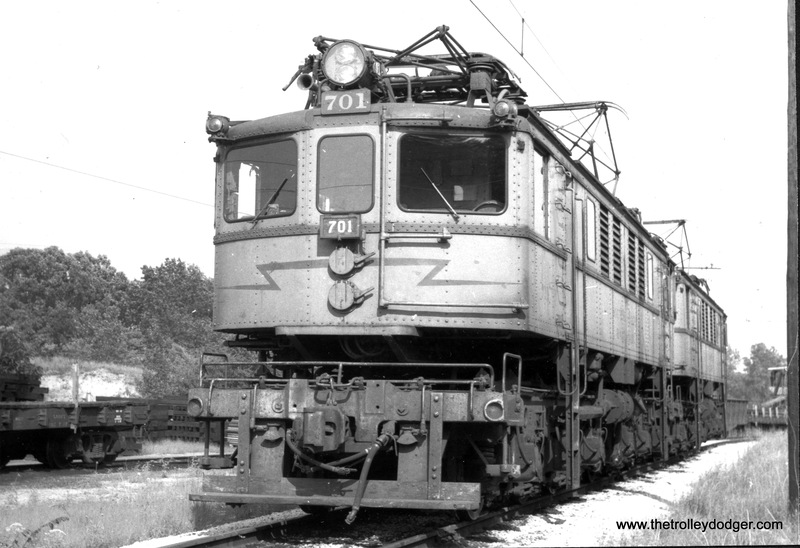 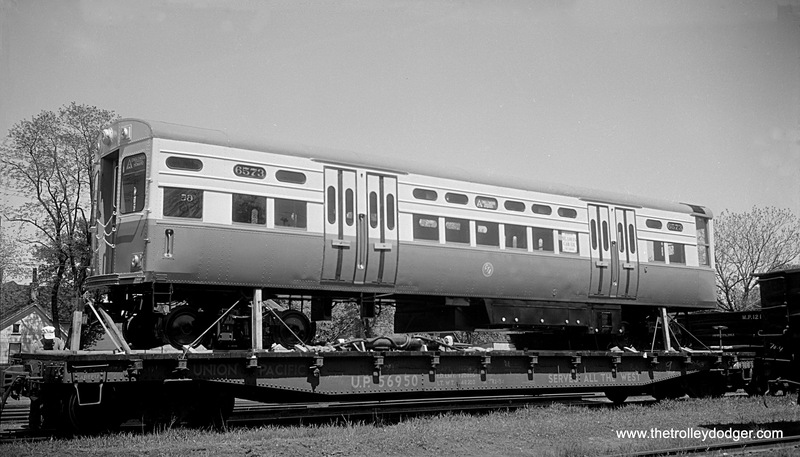 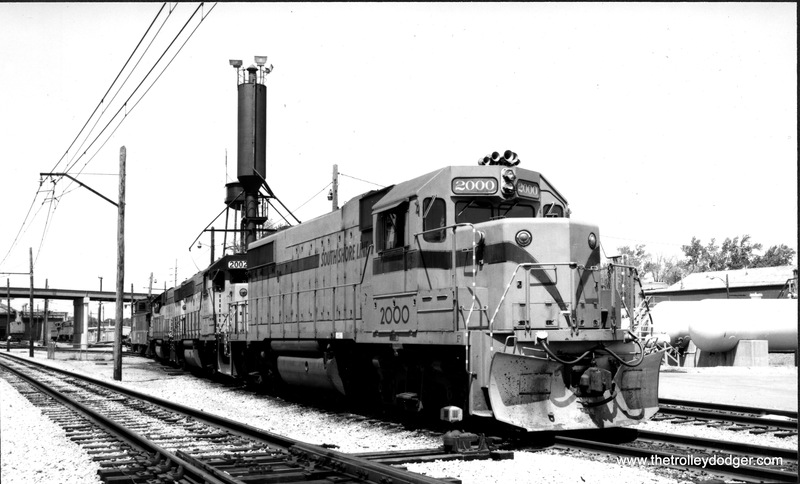 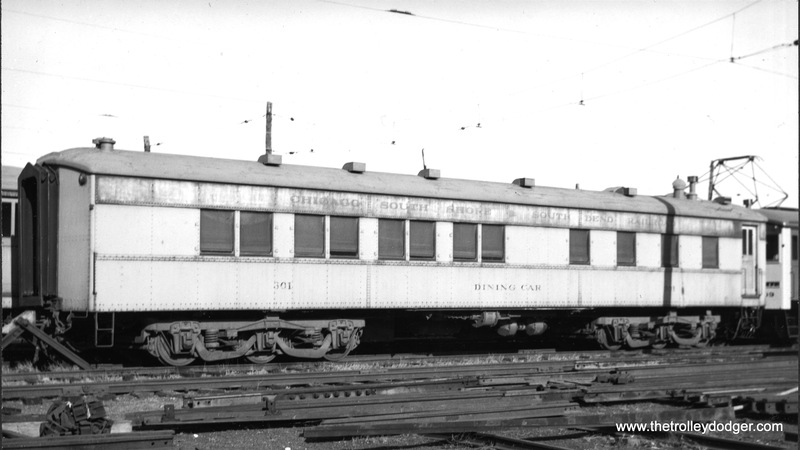 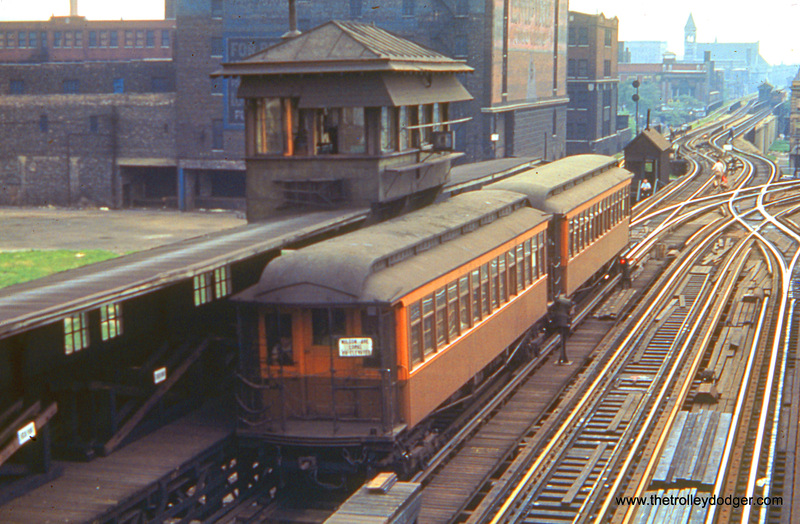 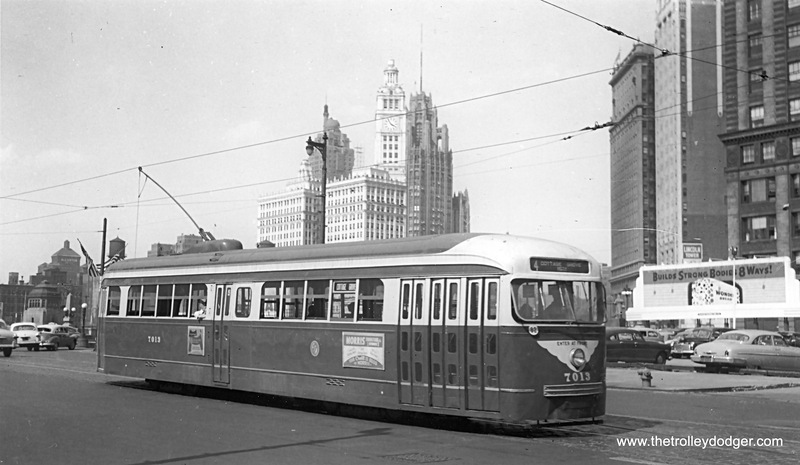 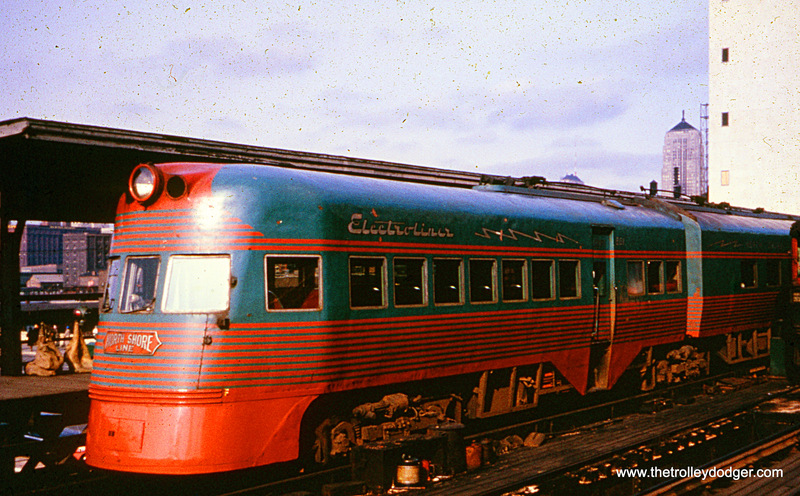 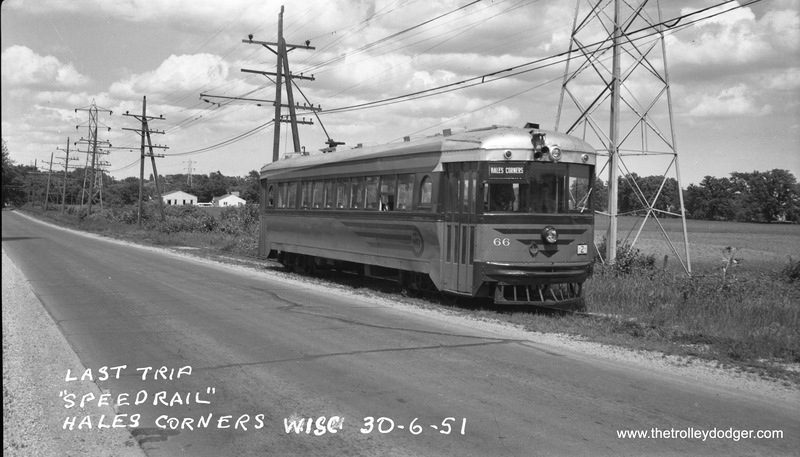 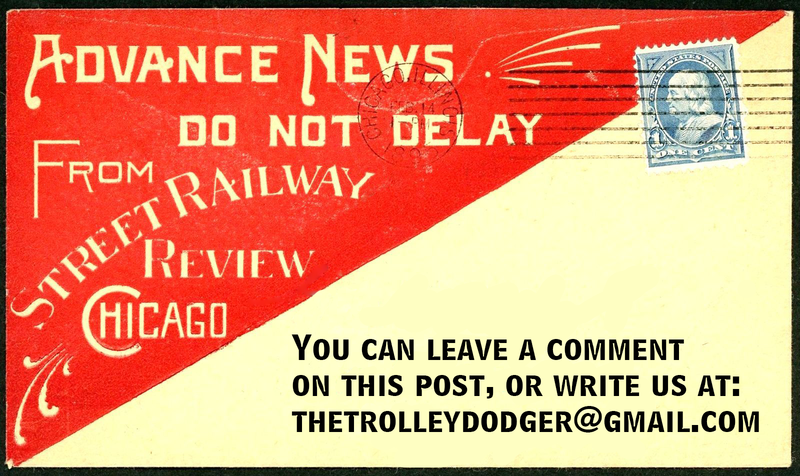 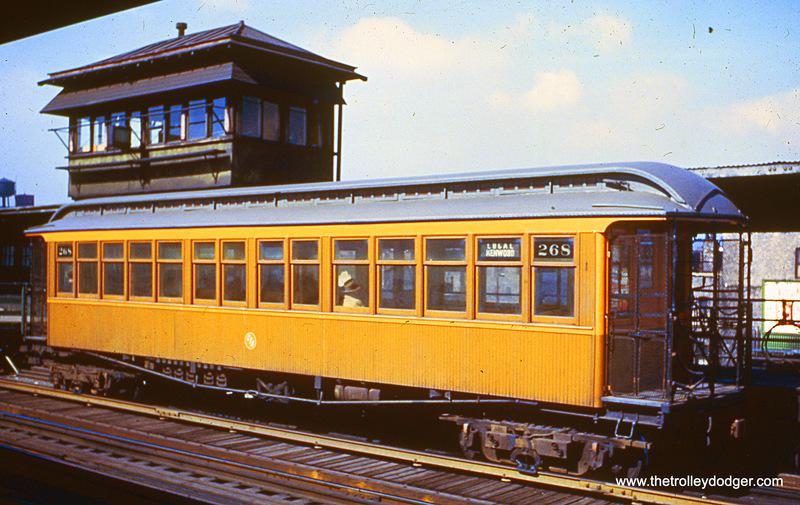 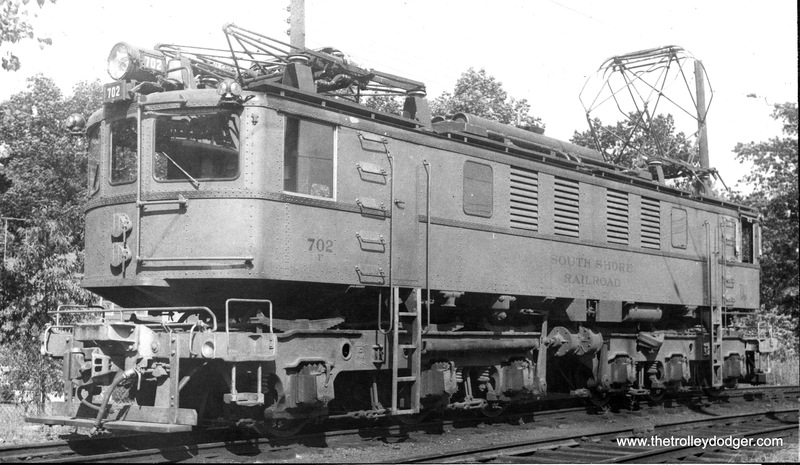 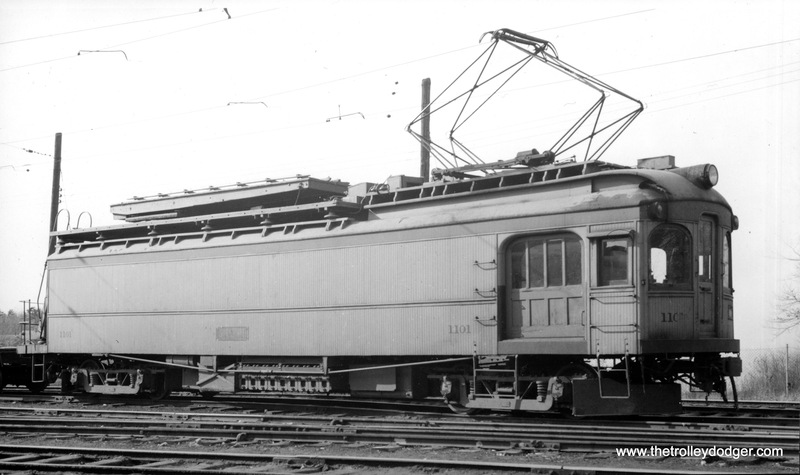 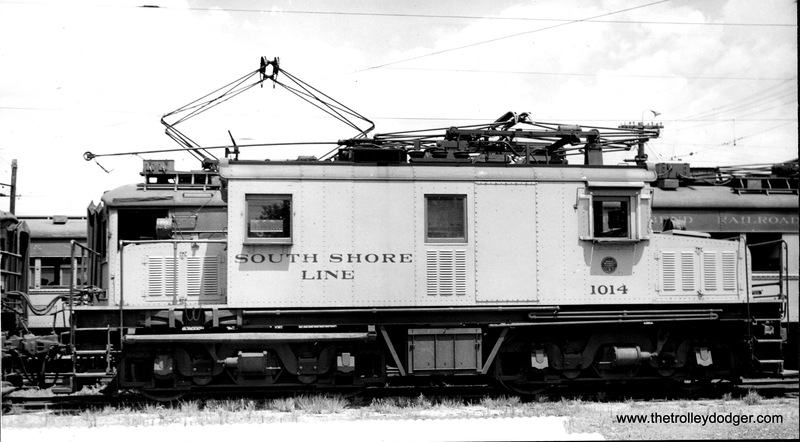 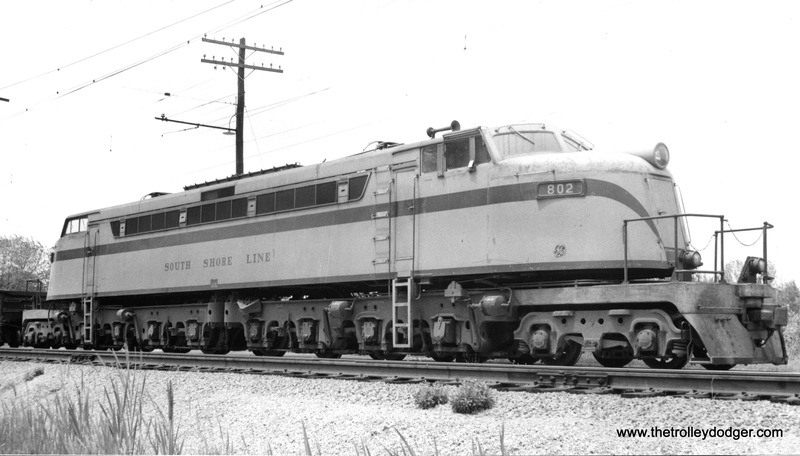 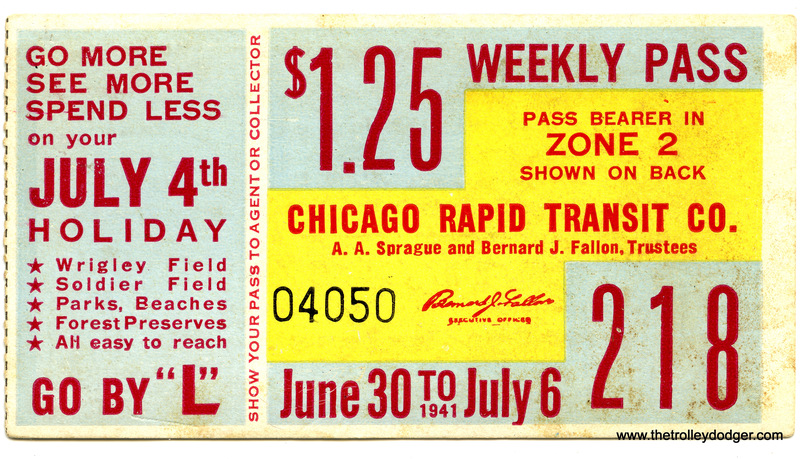 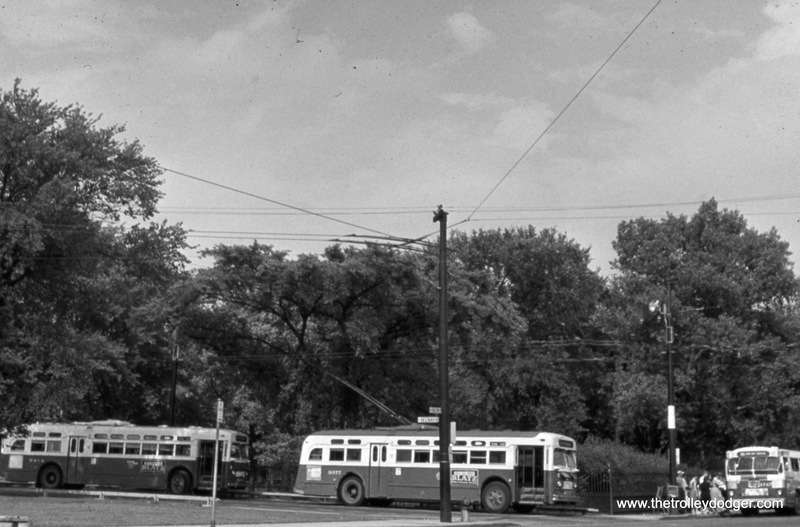 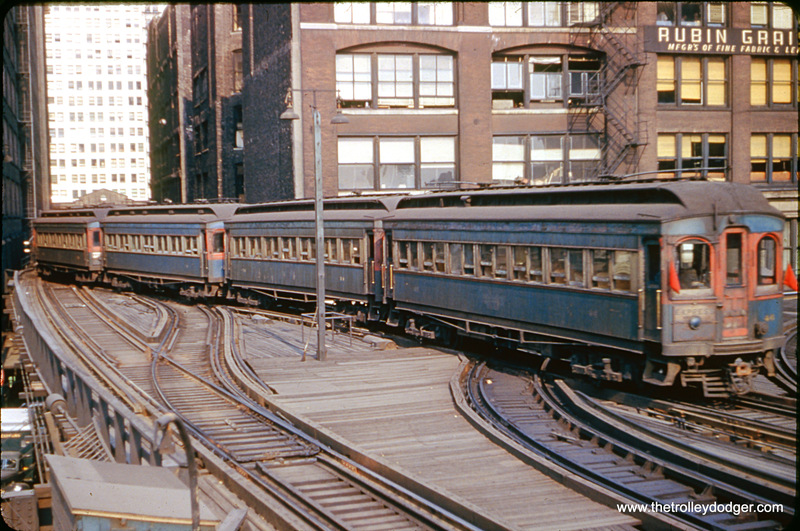 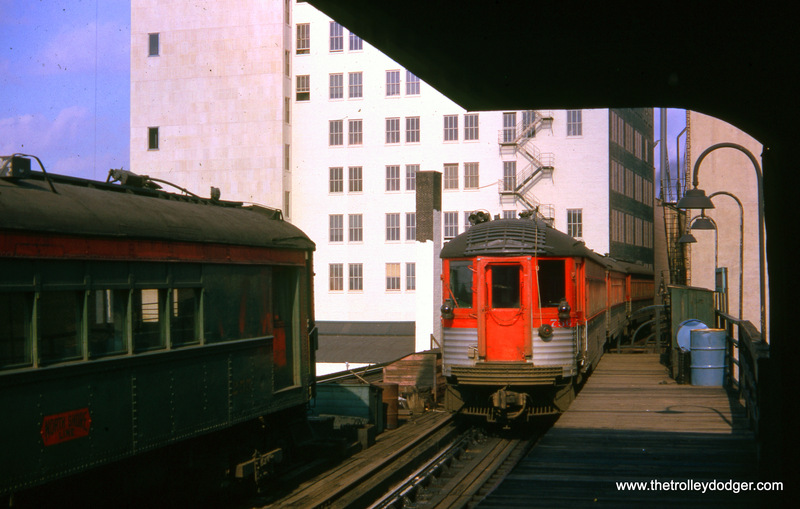 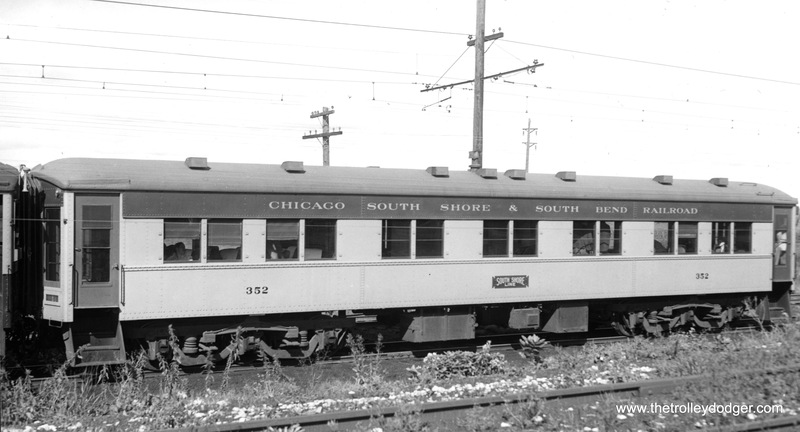 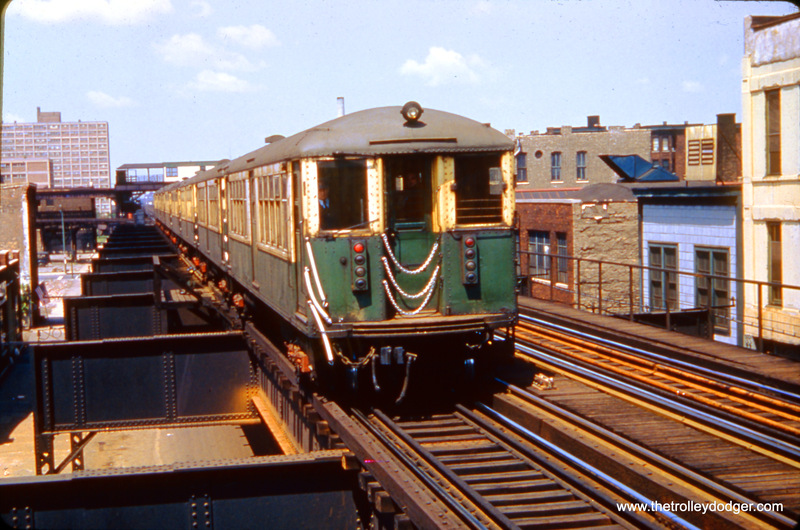 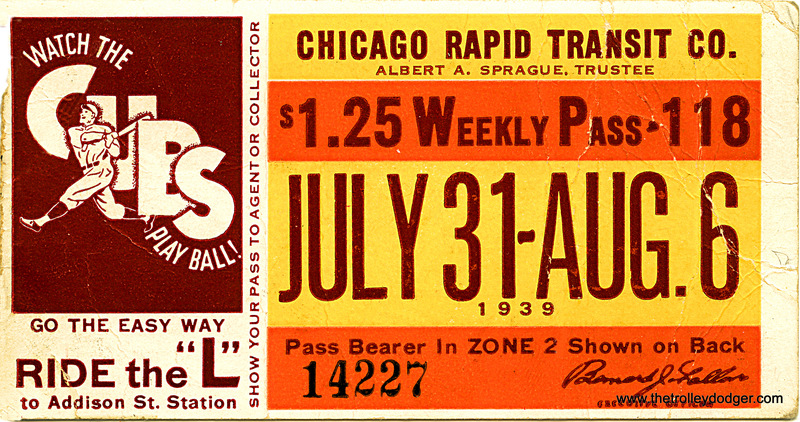 June 22, 1958 is another important date in Chicago transit history. 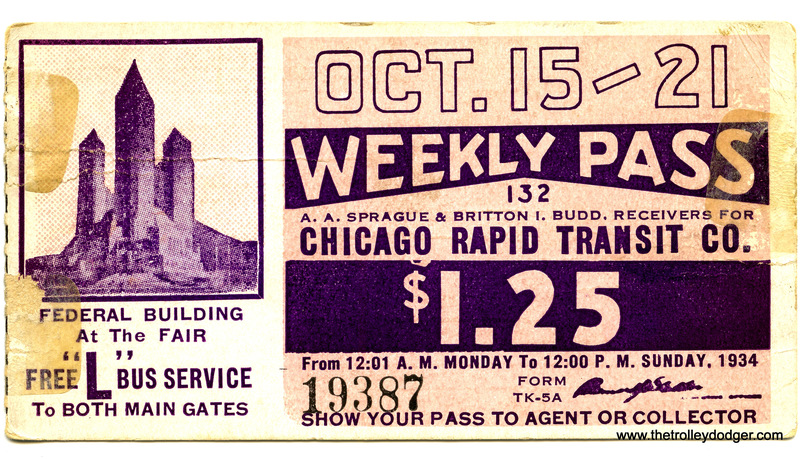 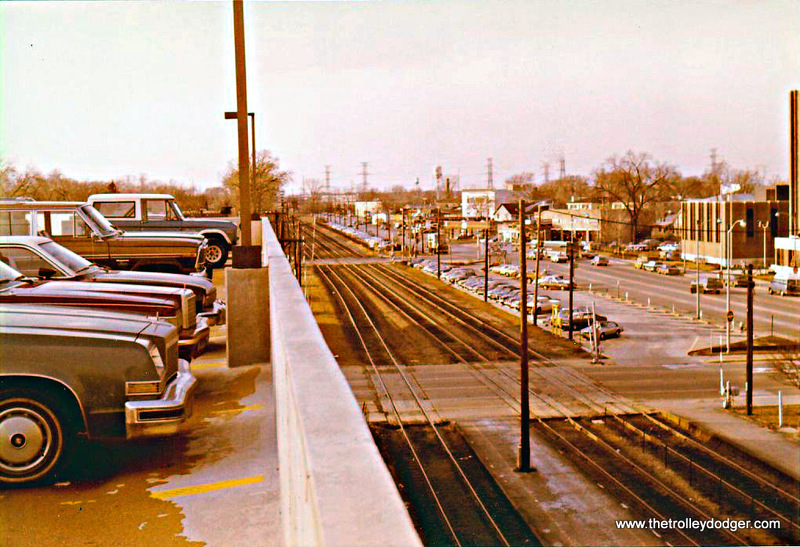 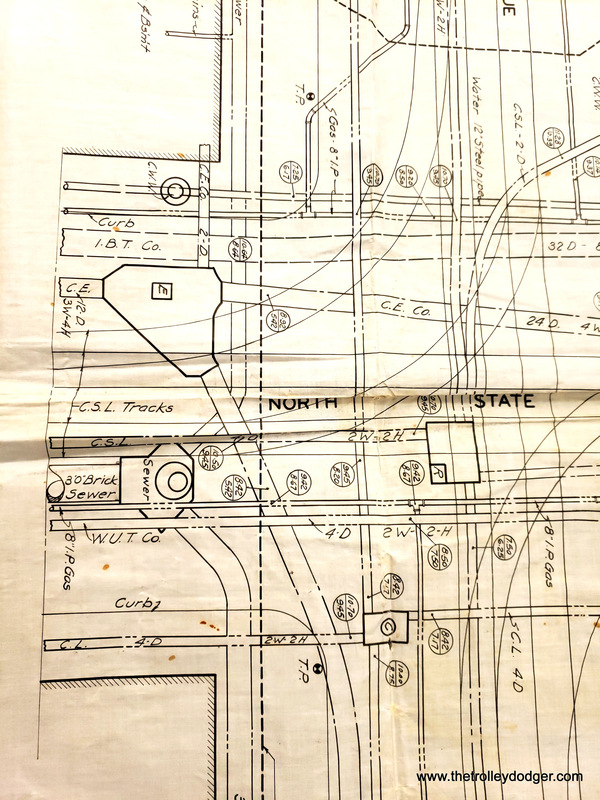 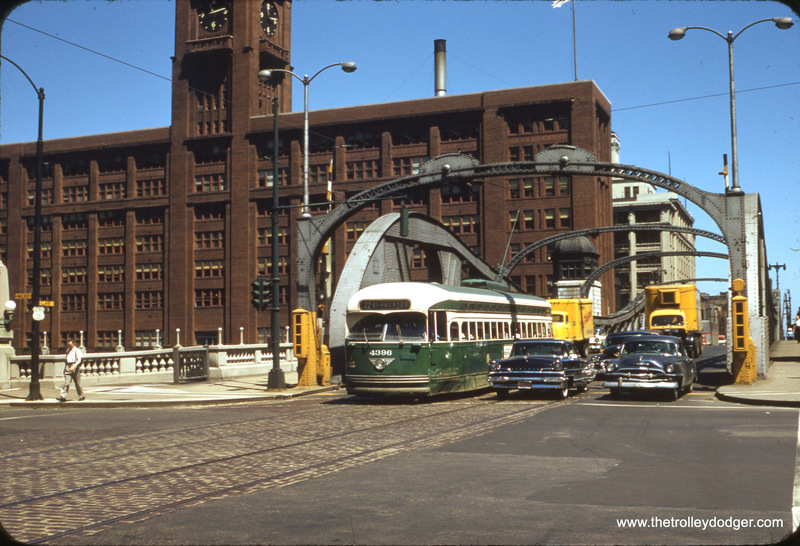 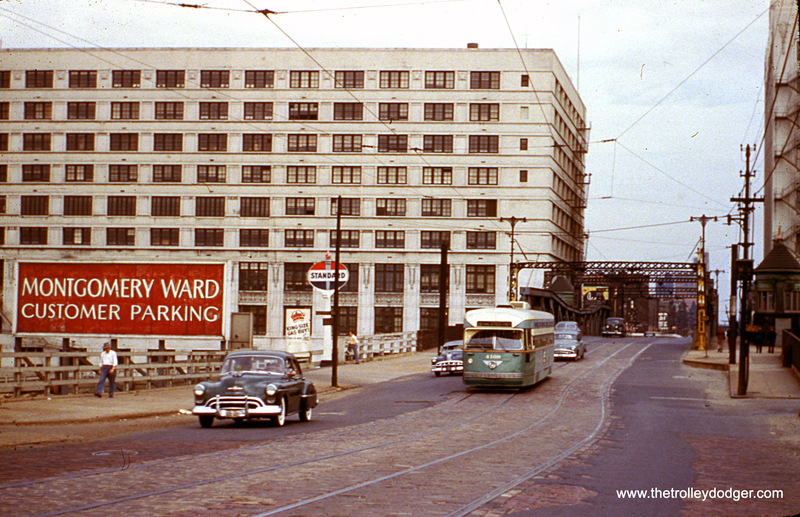 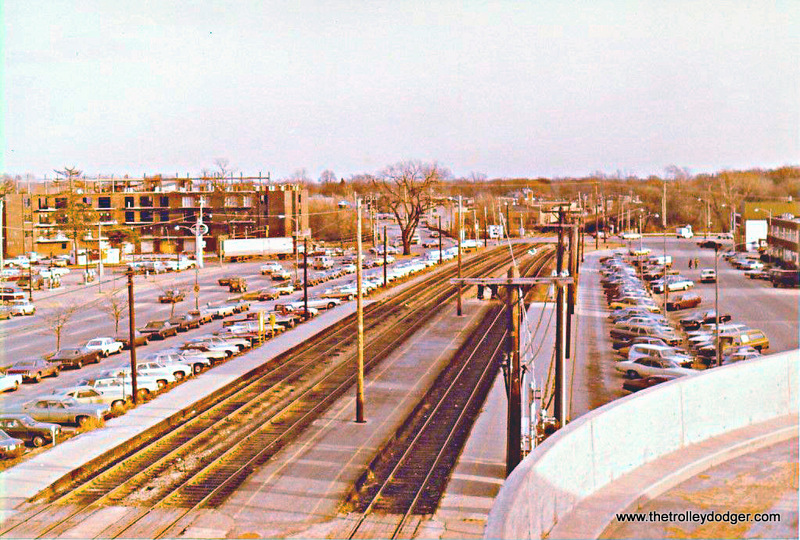 60 years ago, a new CTA rapid transit line opened in the median of the Congress (now Eisenhower) expressway. 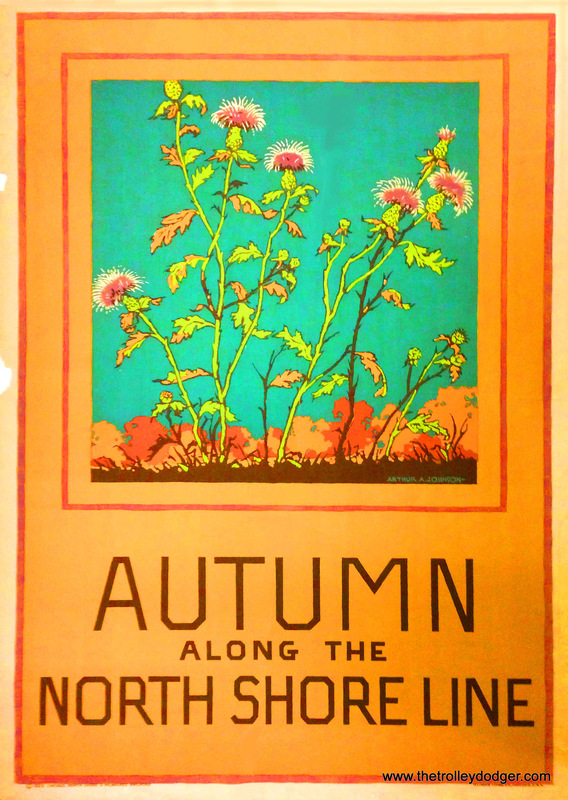 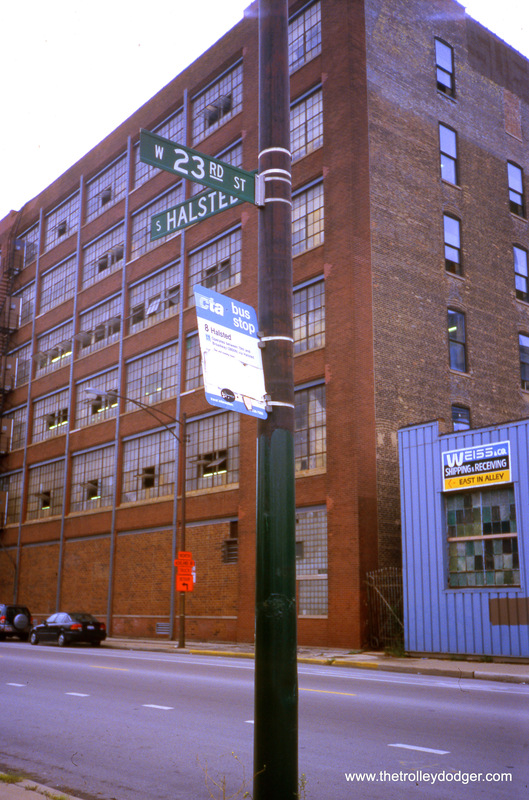 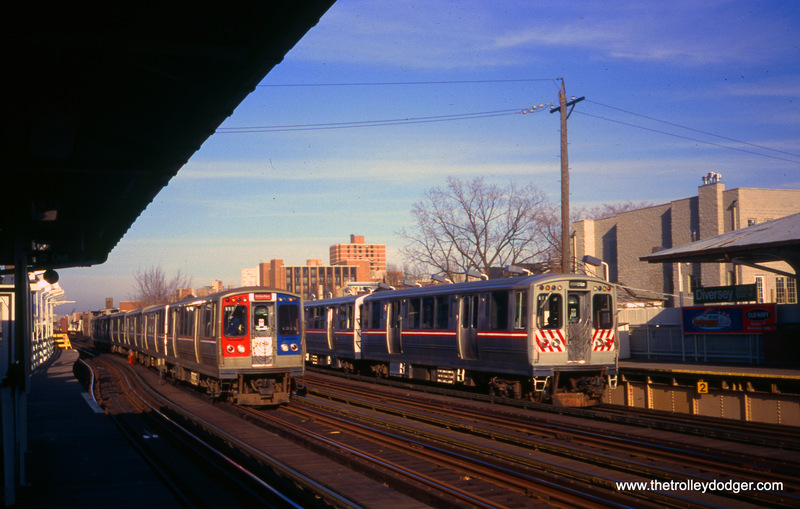 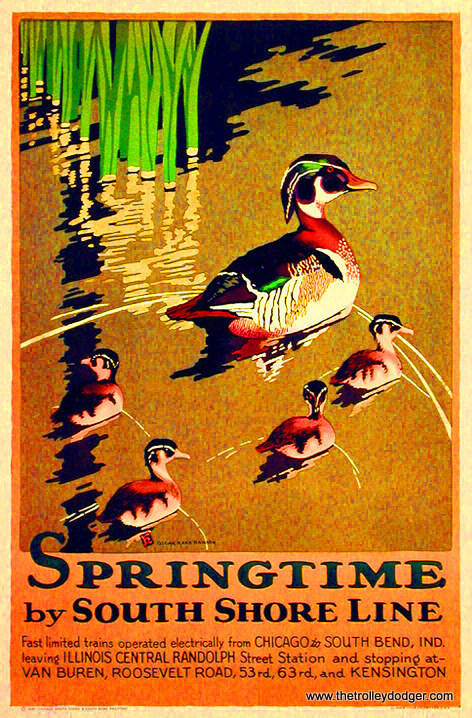 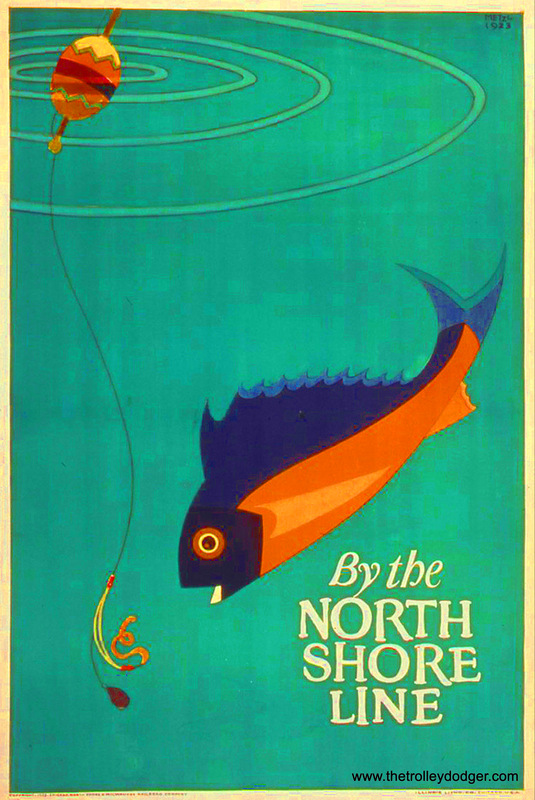 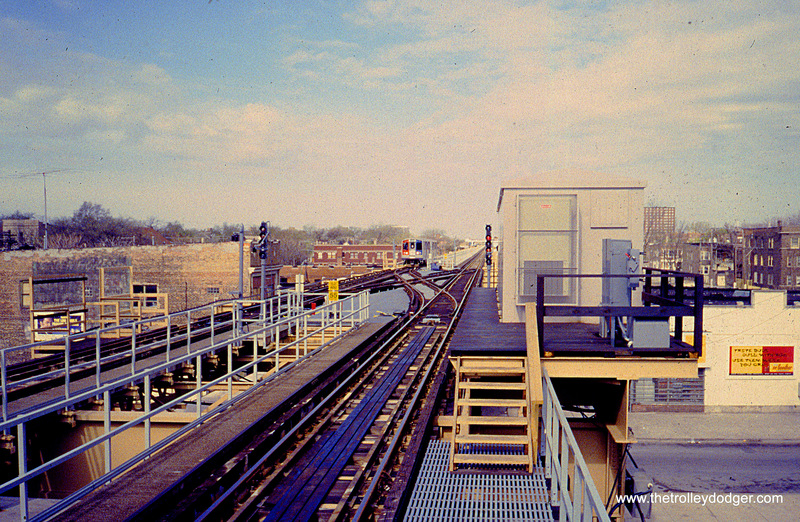 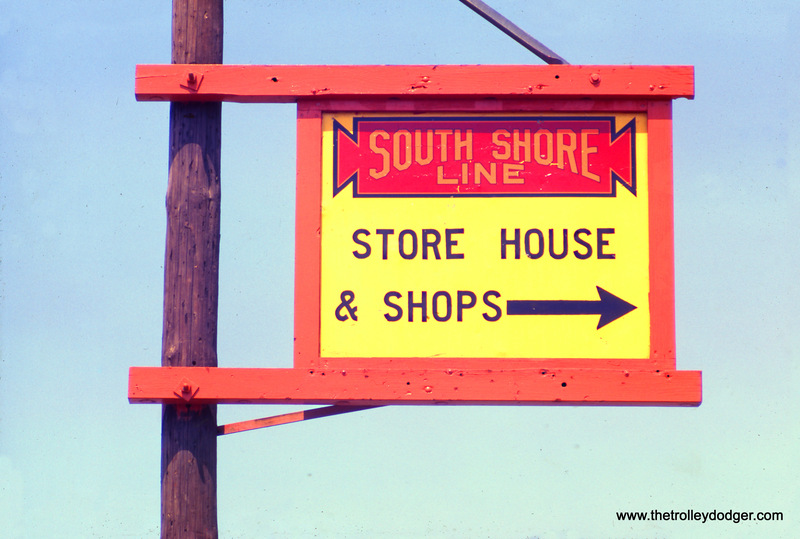 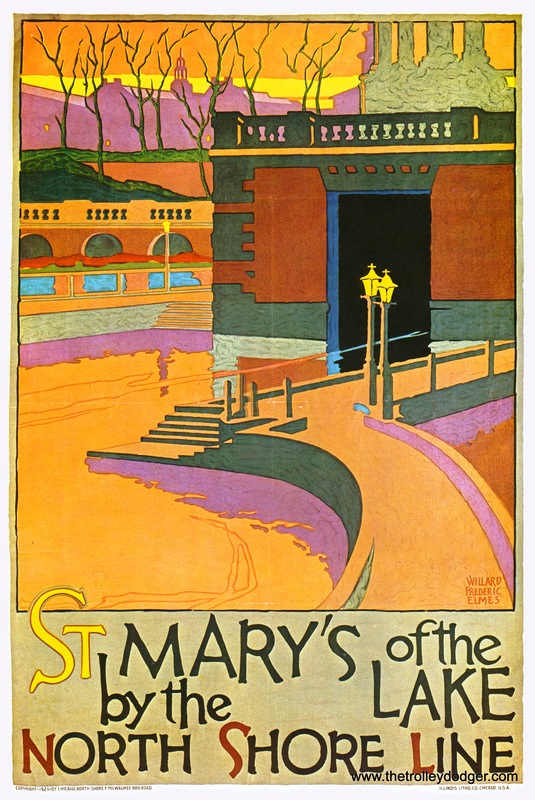 This line, also known as the “West Side Subway,” replaced the Garfield Park “L” and was the culmination of plans made 20 years before. 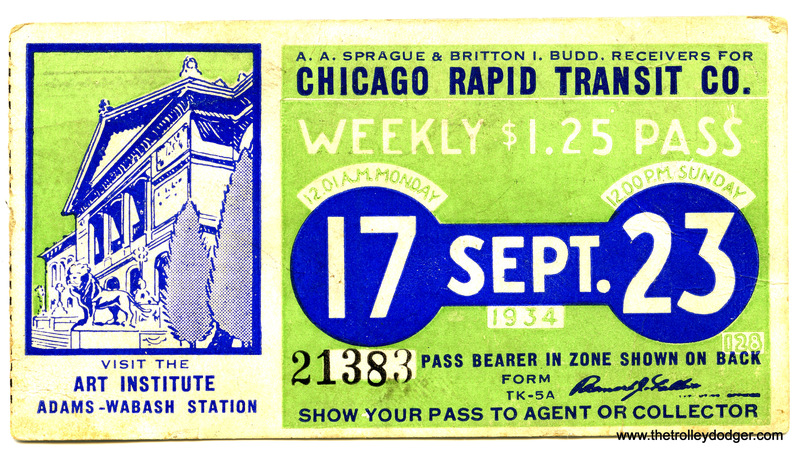 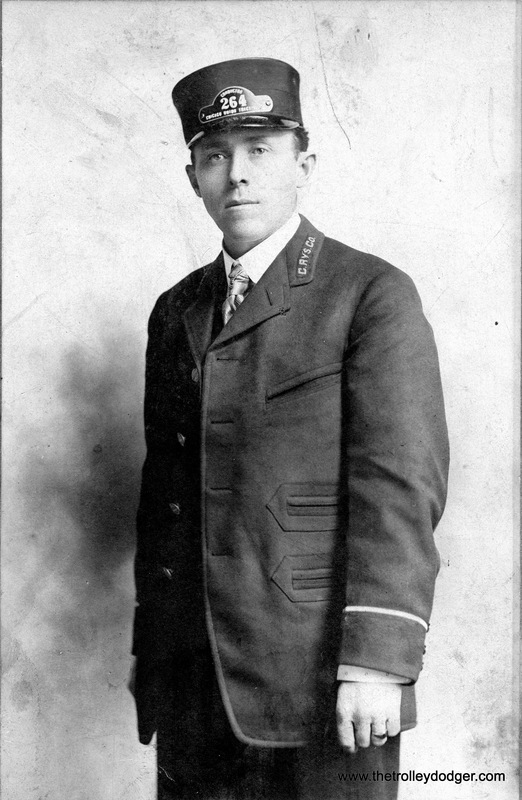 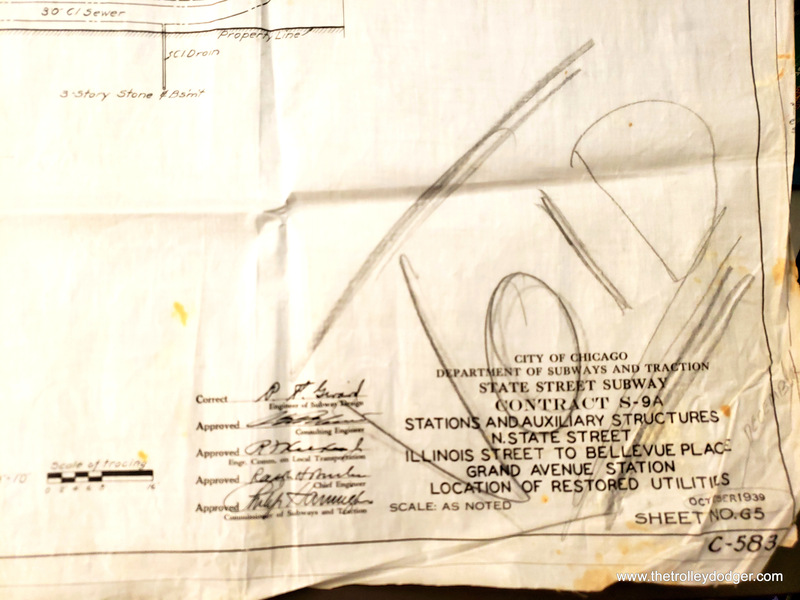 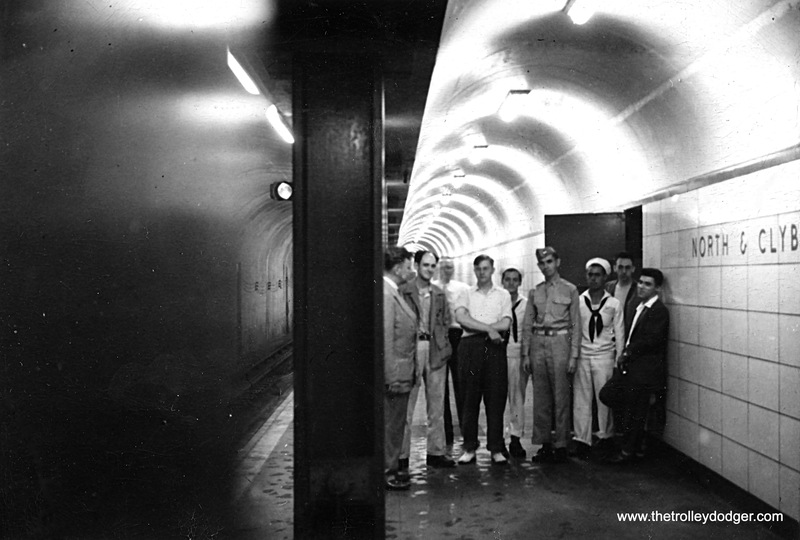 Another important anniversary is approaching on October 17th– the 75th anniversary of the opening of Chicago’s first subway. 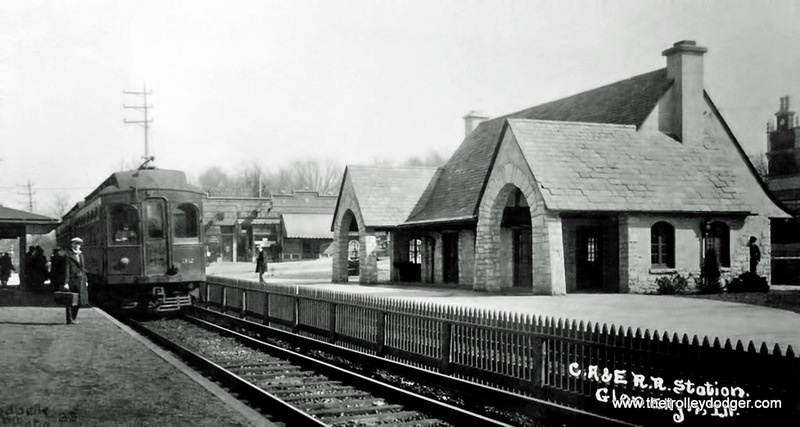 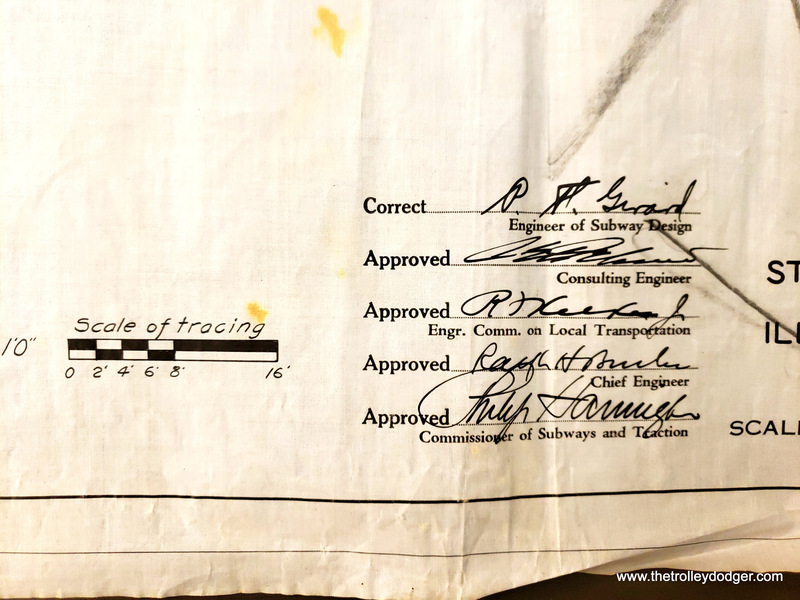 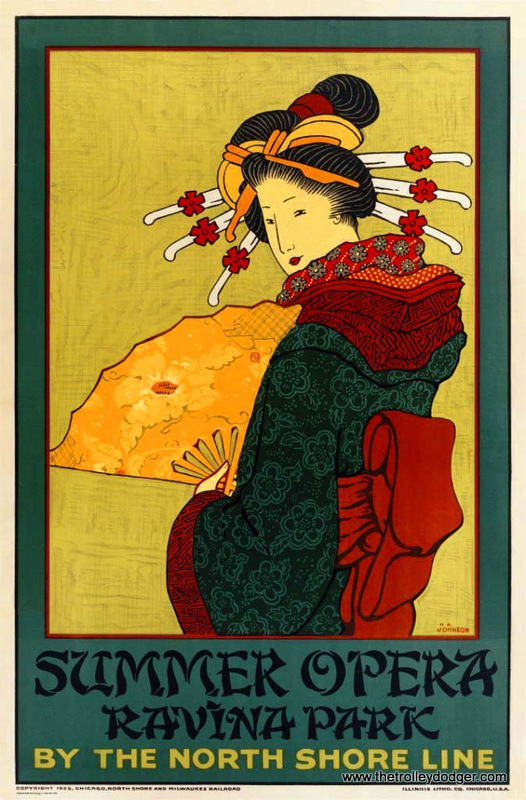 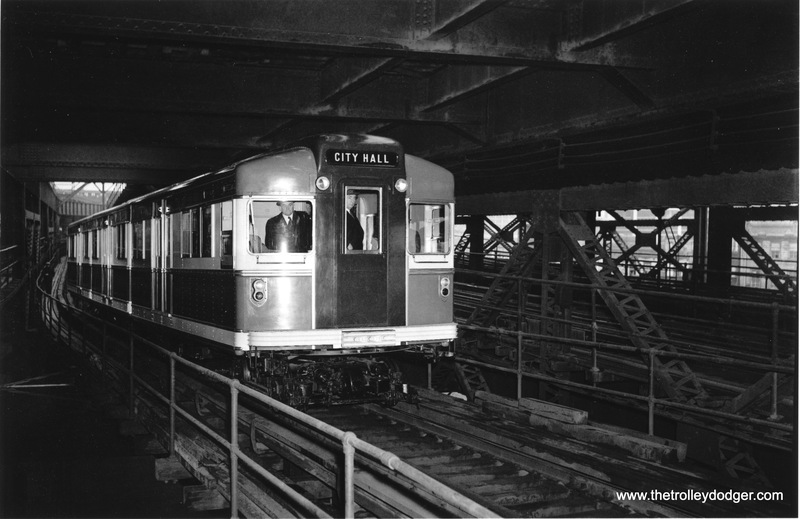 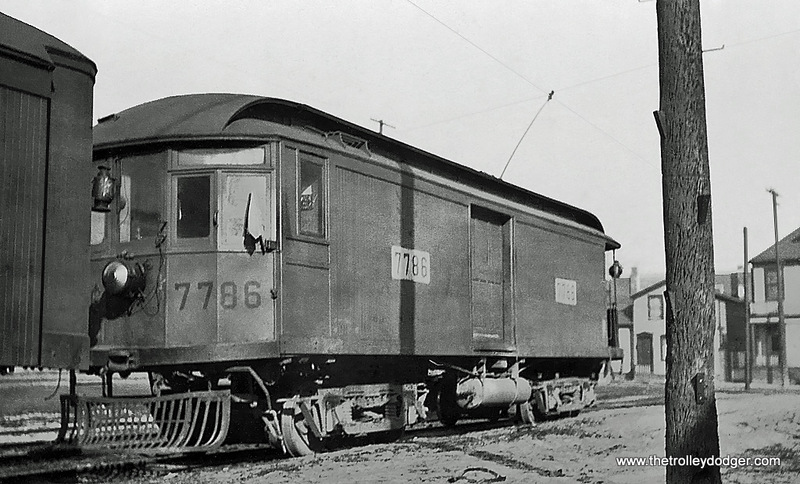 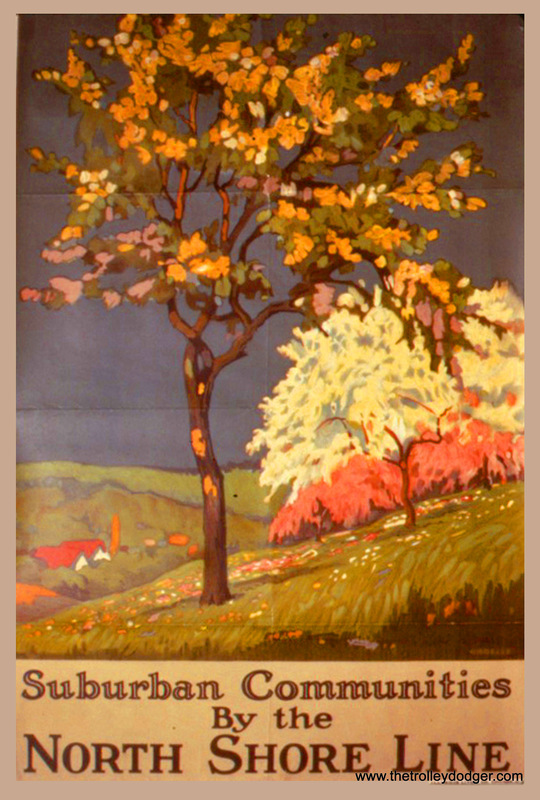 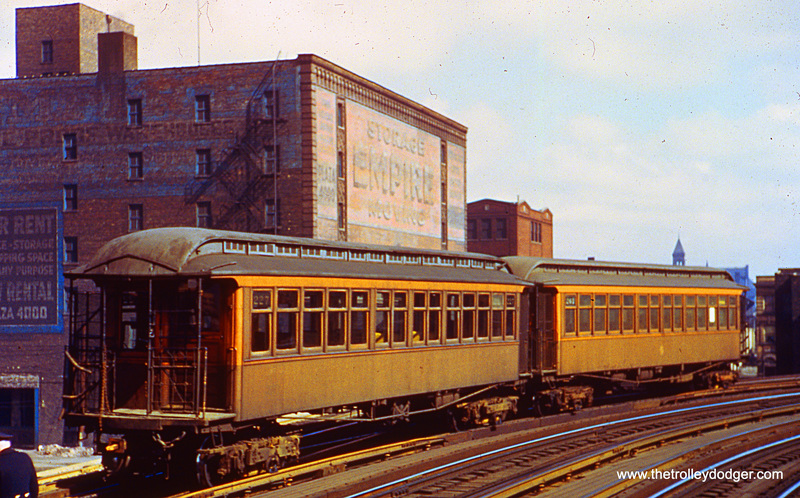 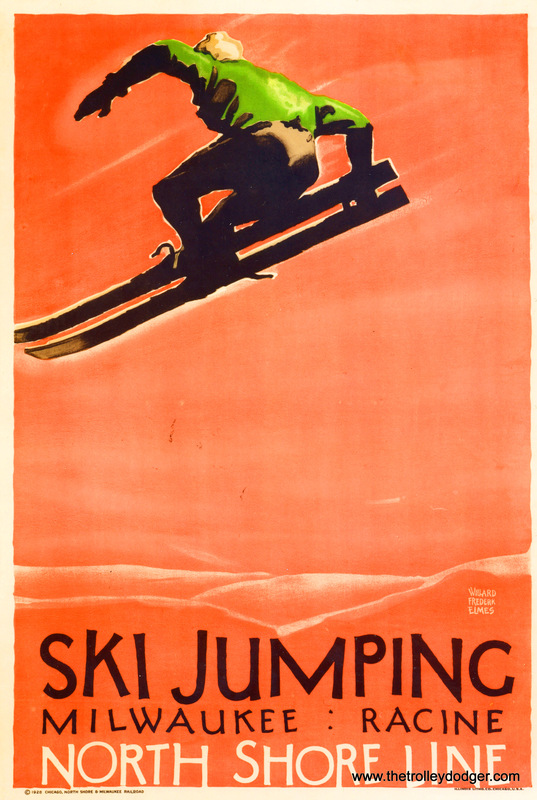 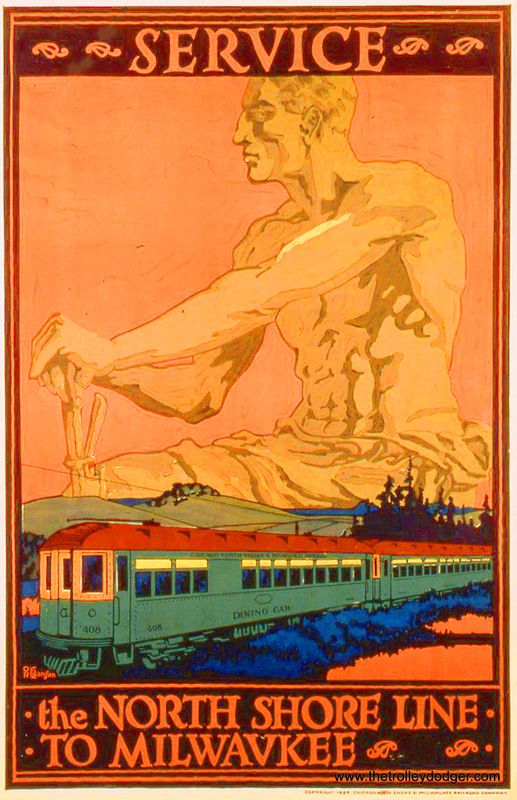 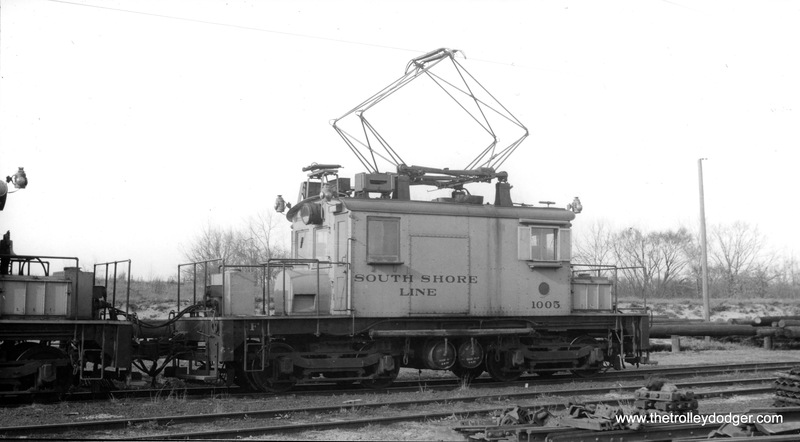 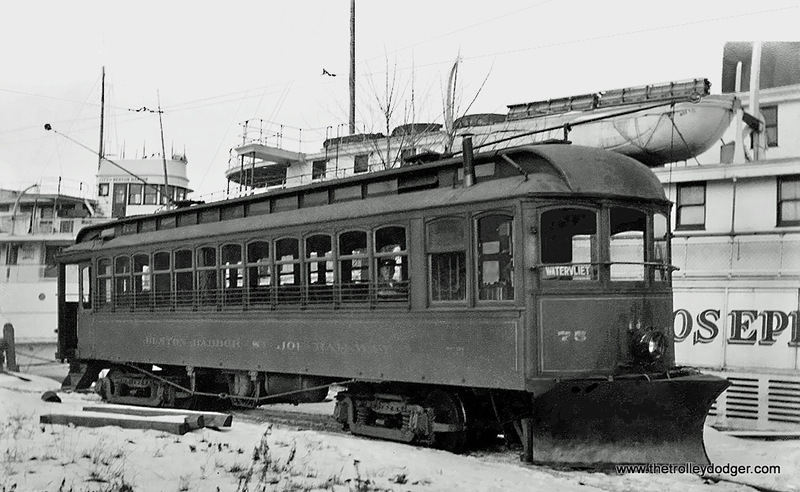 In December, it will be 80 years since subway construction began. 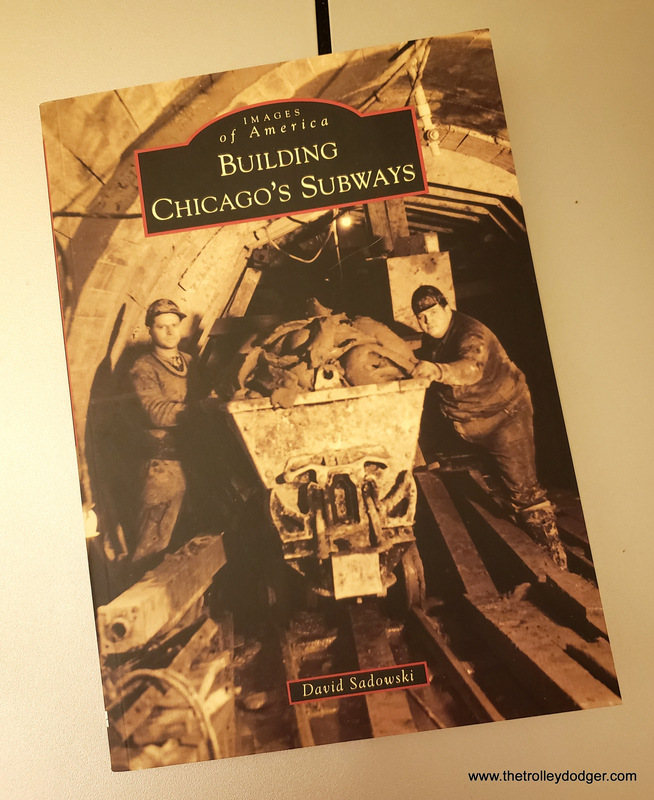 For these reasons, and more, we have written a new book called Building Chicago’s Subways, to be released by Arcadia Publishing this October 1st. 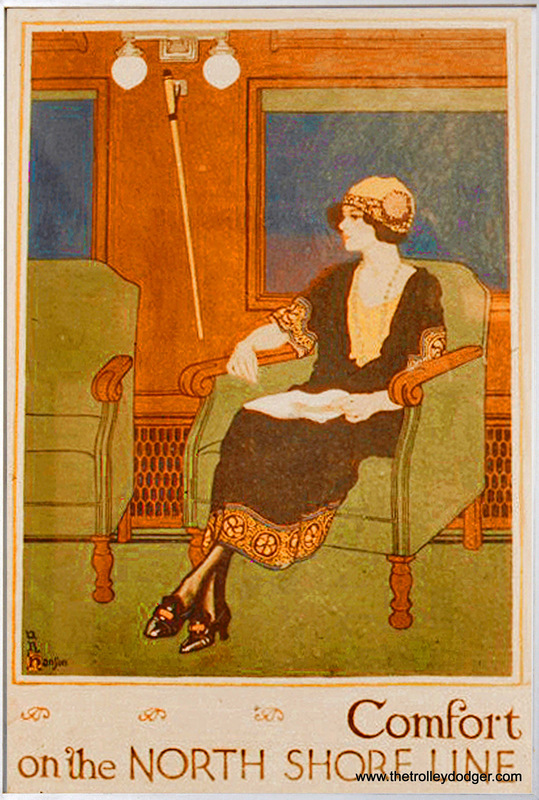 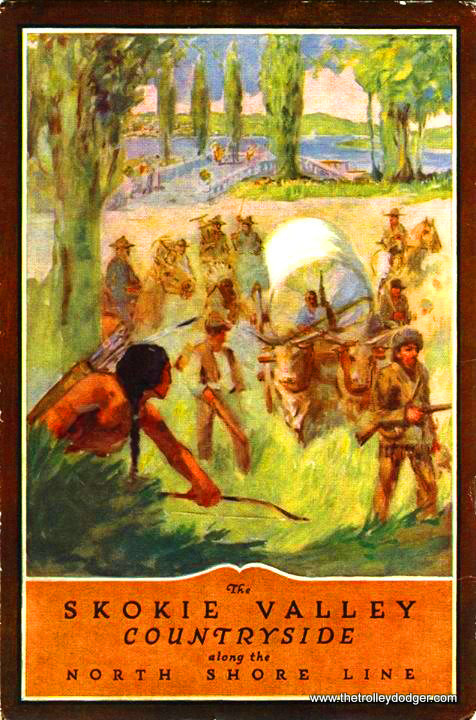 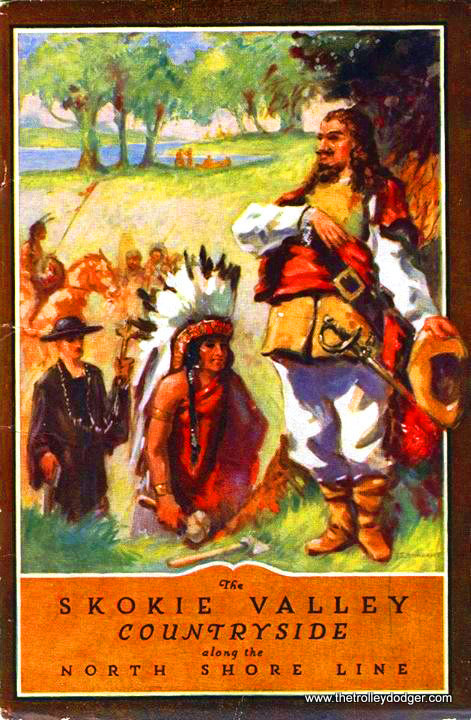 Information about how to pre-order this book appears further down in this post. 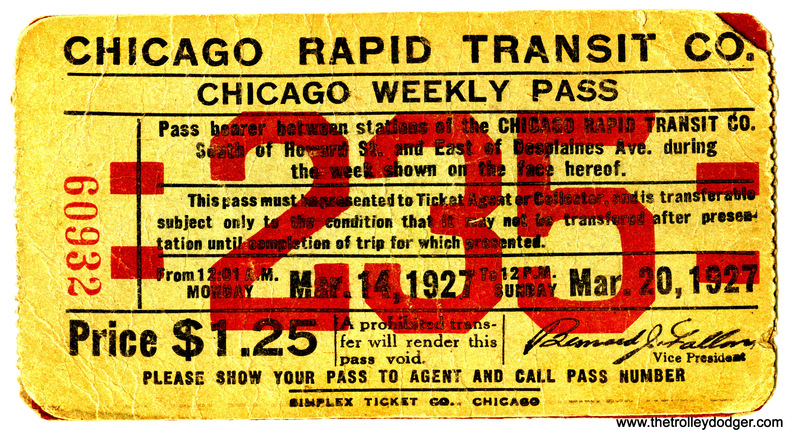 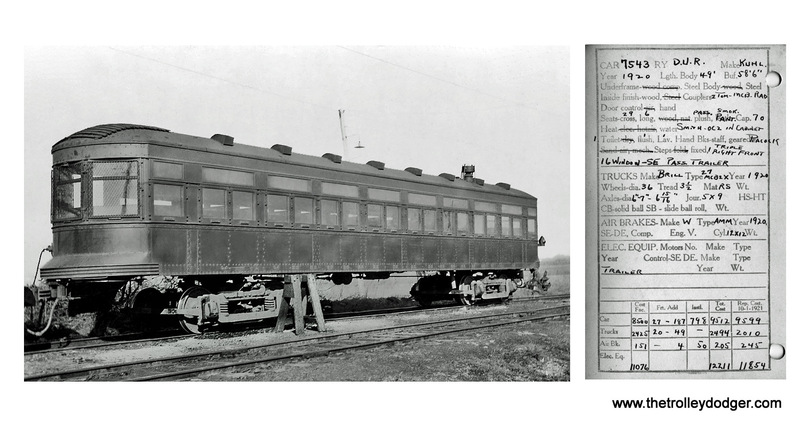 The idea for Building Chicago’s Subways first came to me a few years ago, when I realized these important anniversaries were approaching. 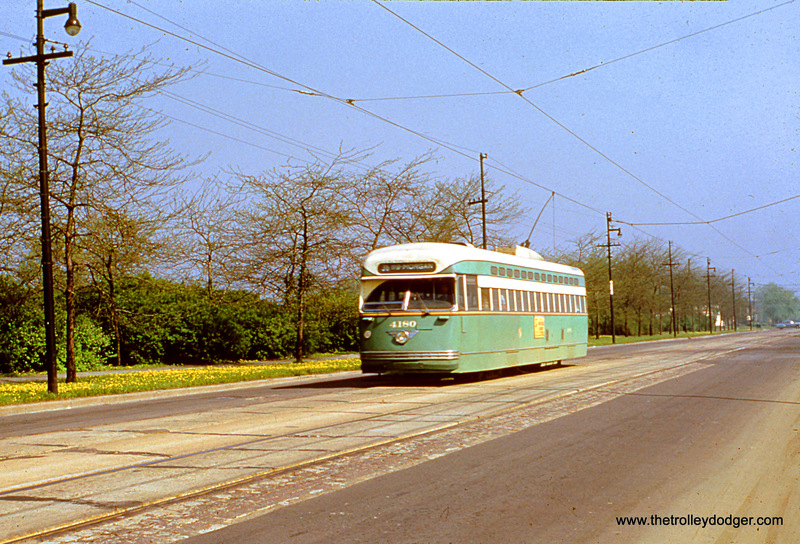 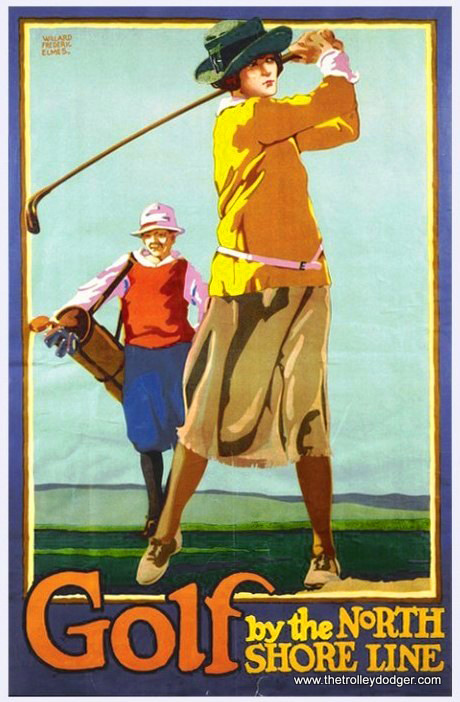 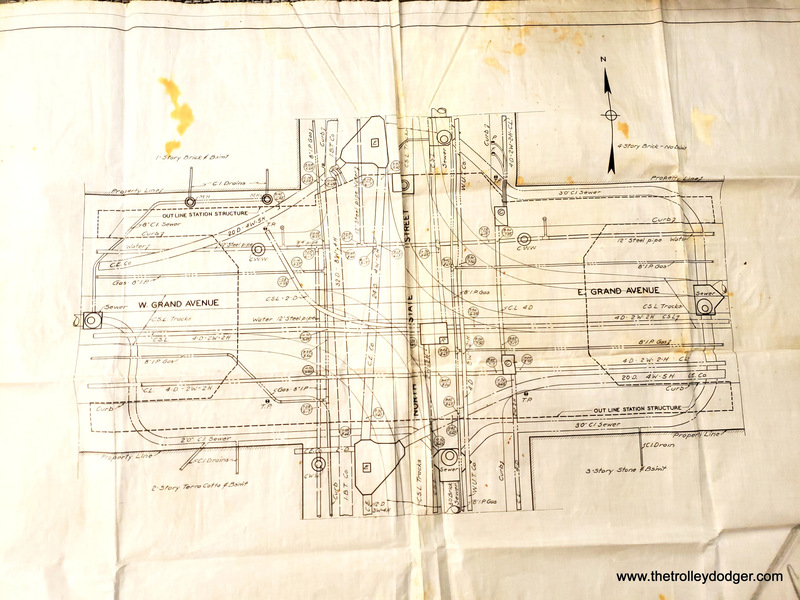 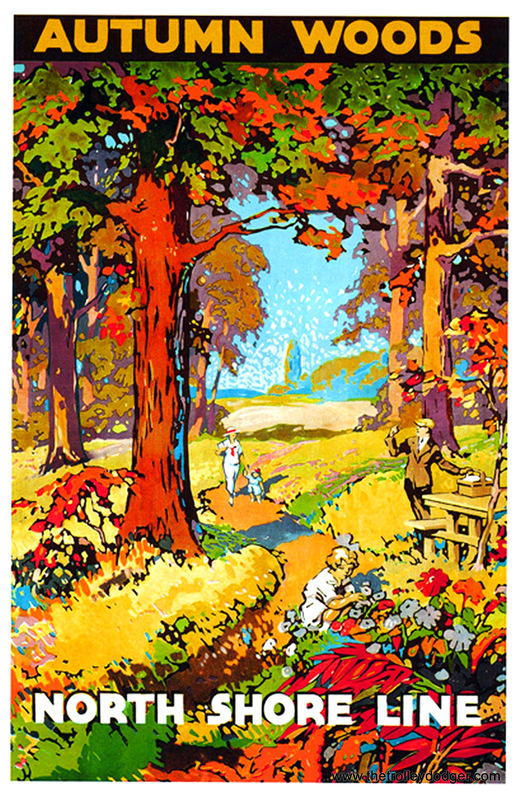 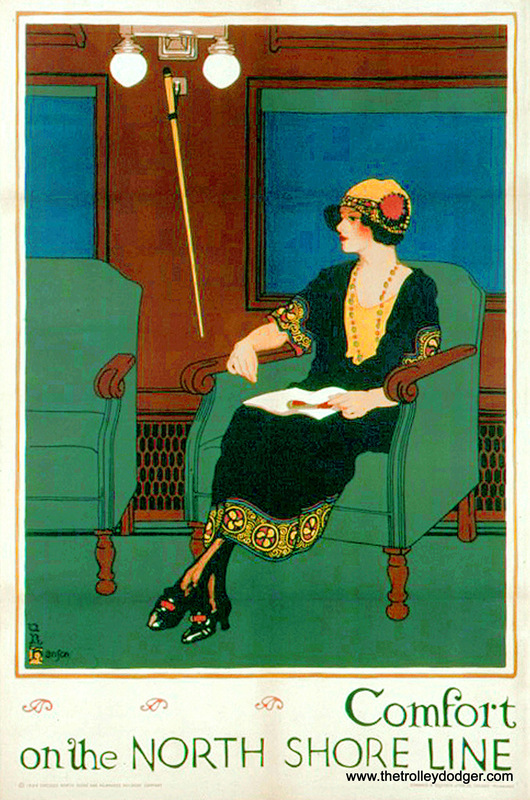 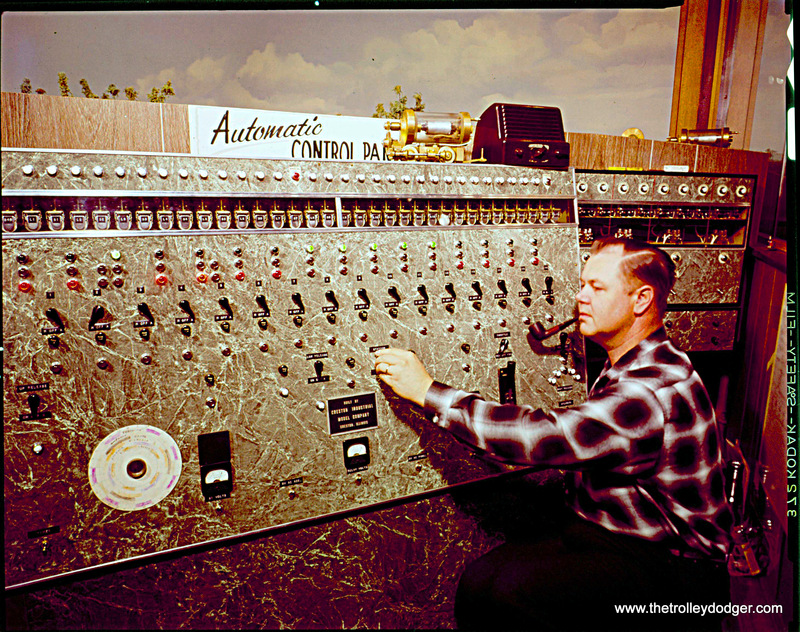 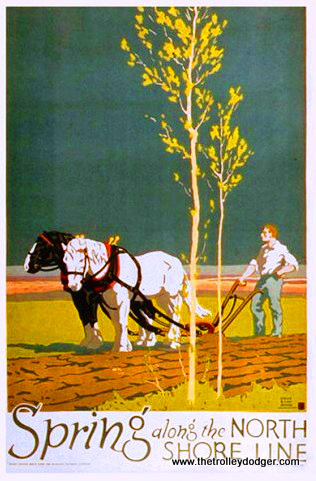 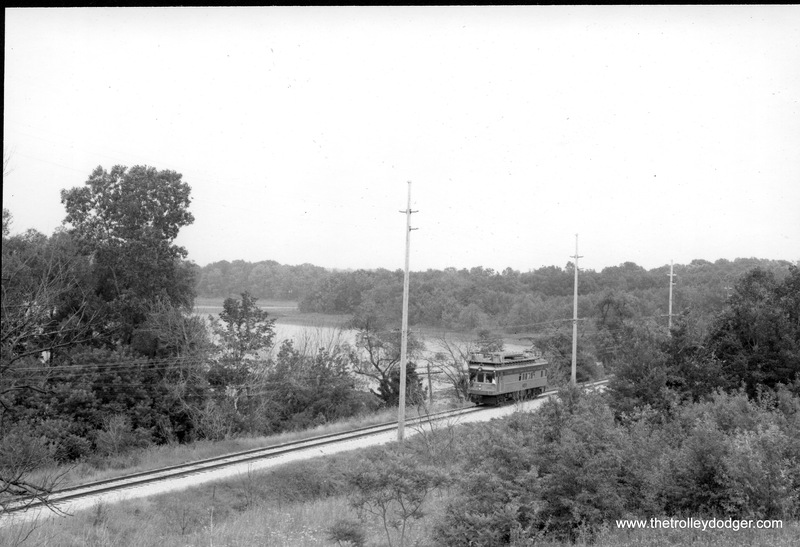 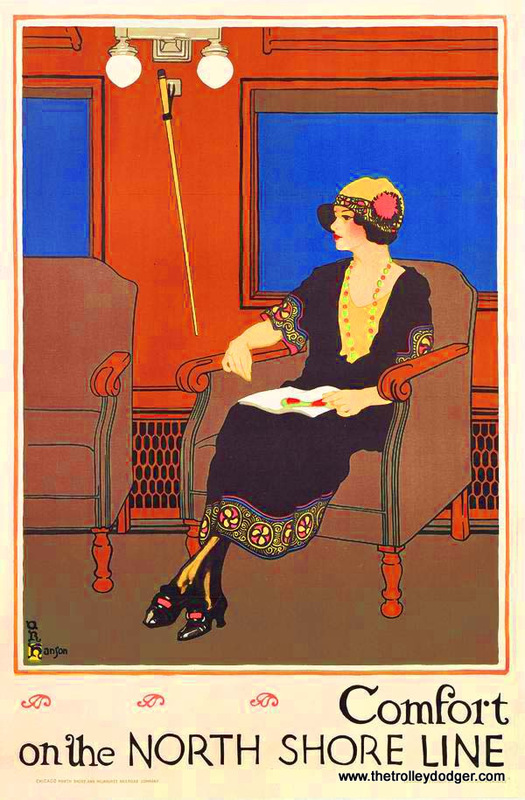 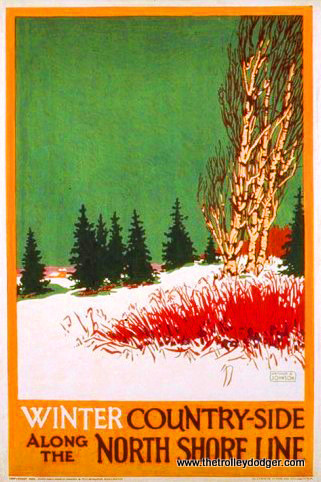 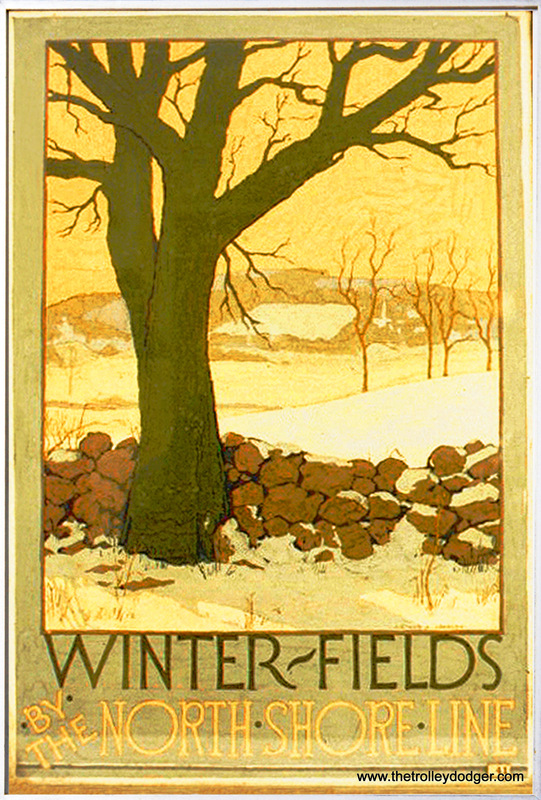 A few months after the publication of Chicago Trolleys last fall, I pitched the idea to Arcadia, and that is when the real work began. 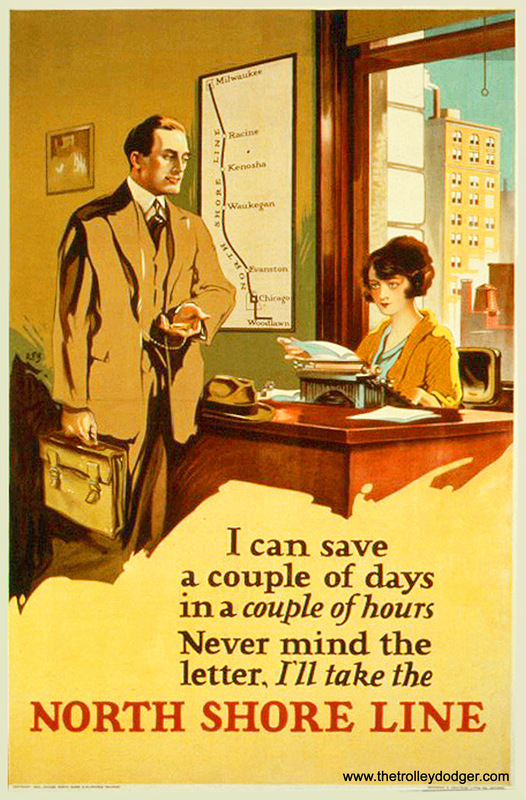 Much additional research had to be done. 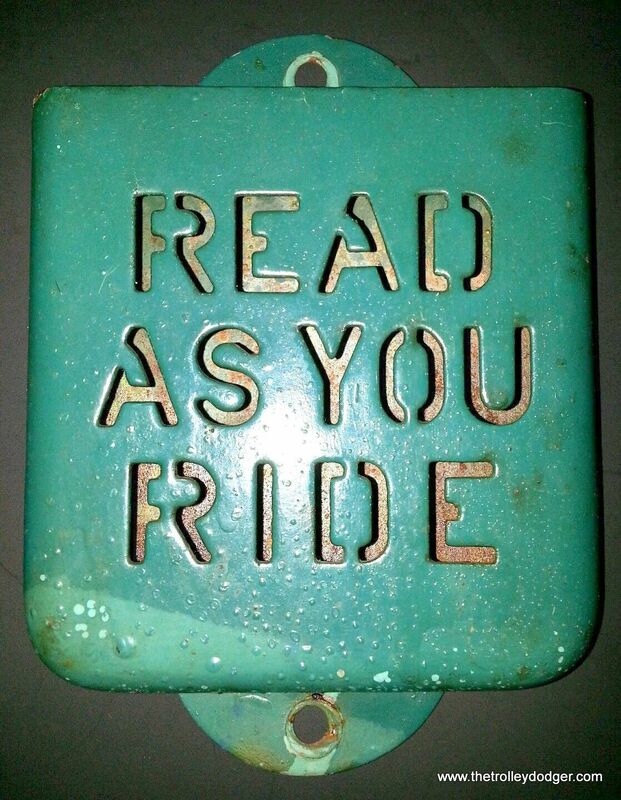 I read everything I could find on the subject. 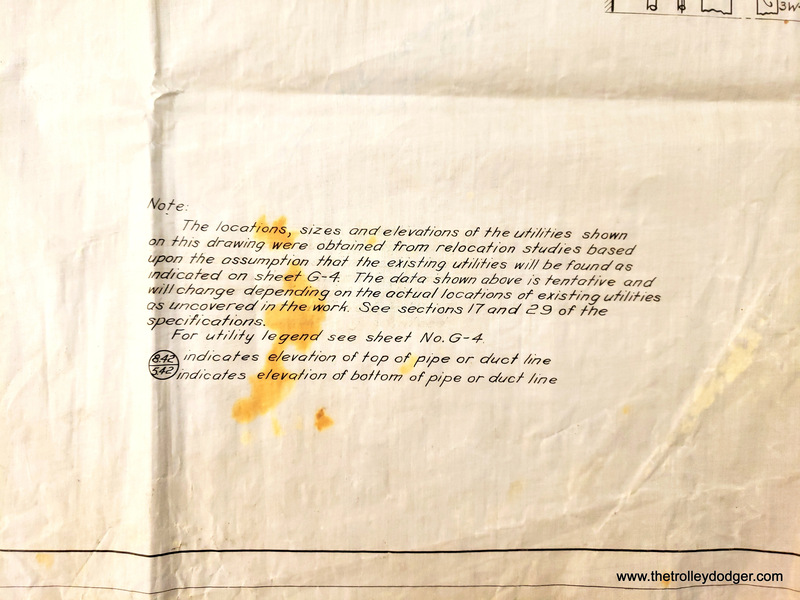 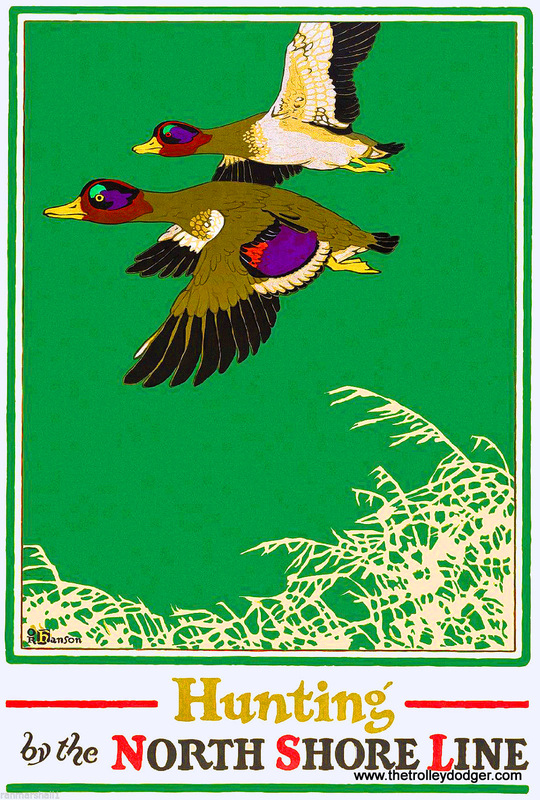 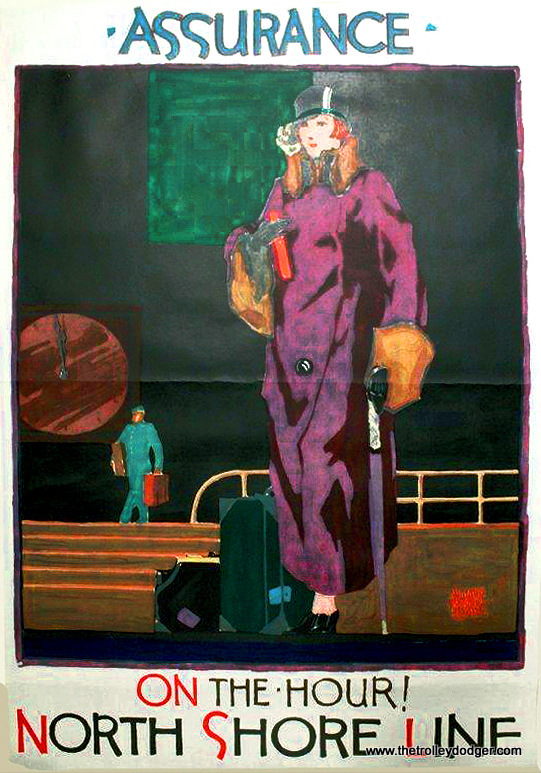 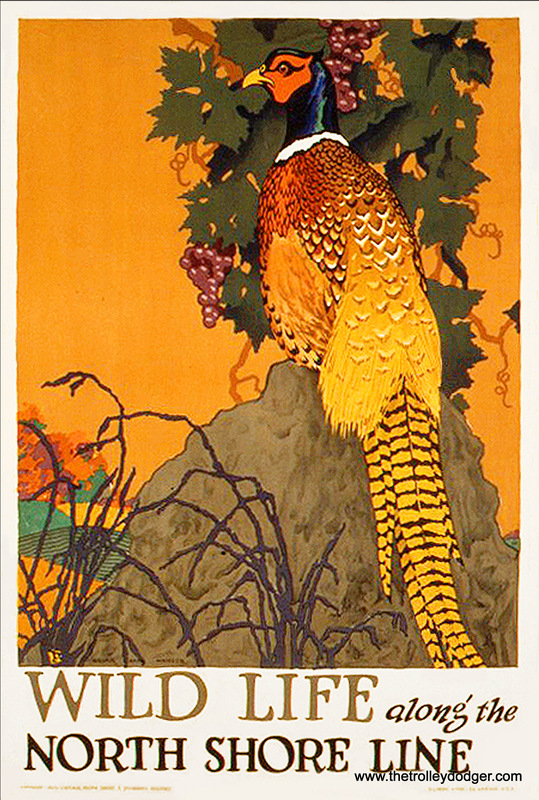 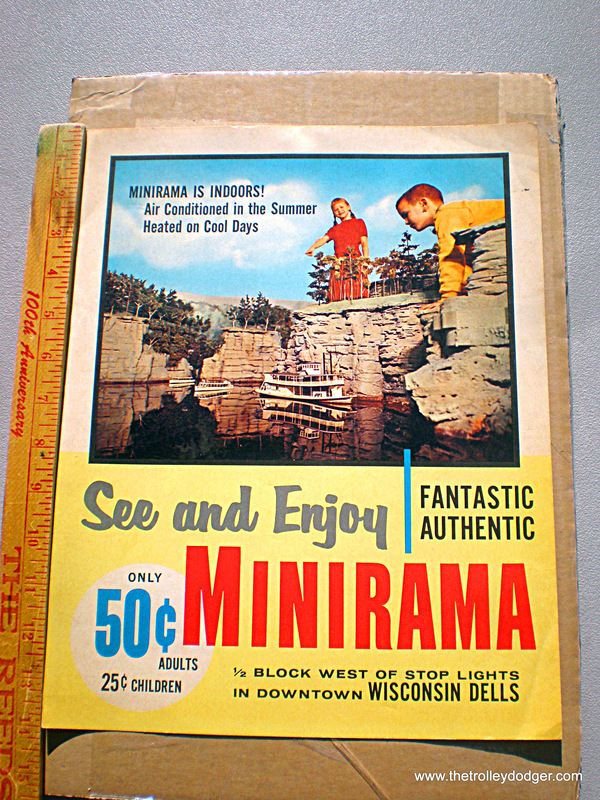 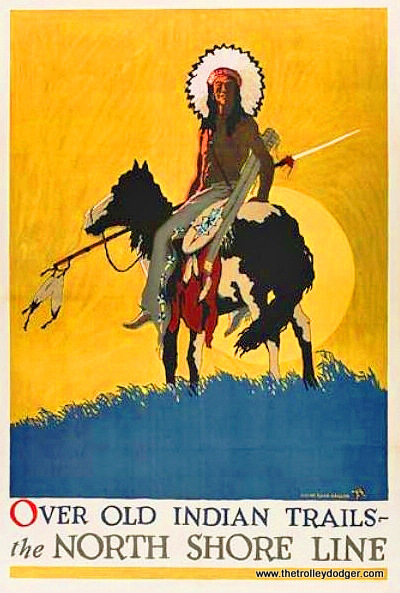 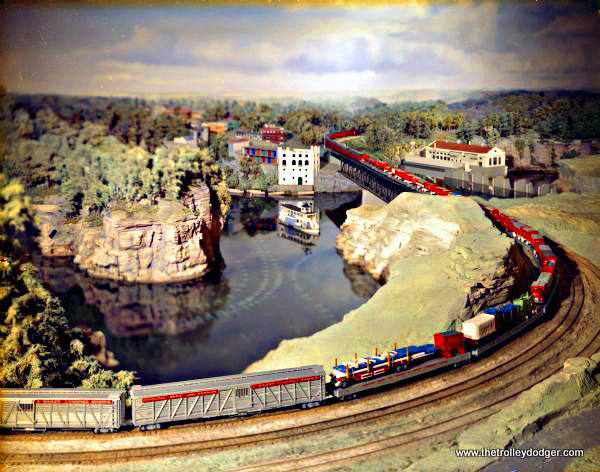 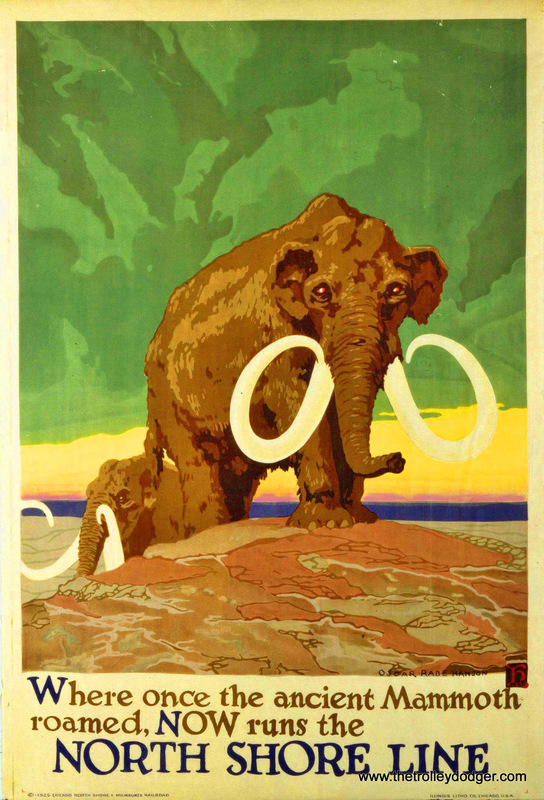 Photos came from my own collections and those of other collectors, who have graciously permitted their use in this project. 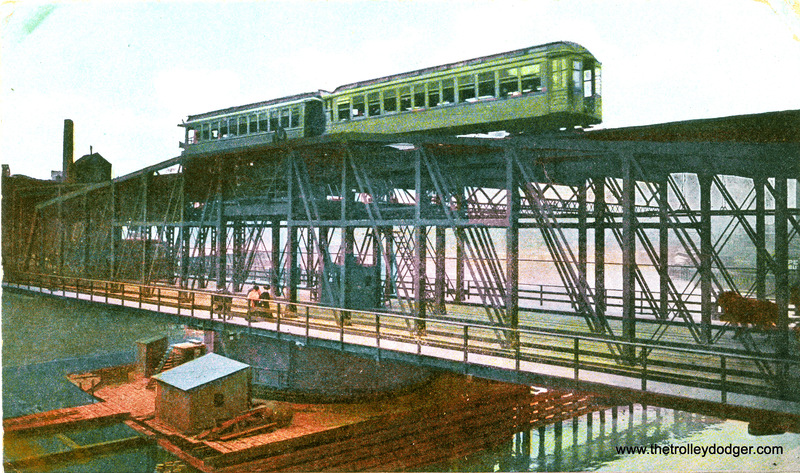 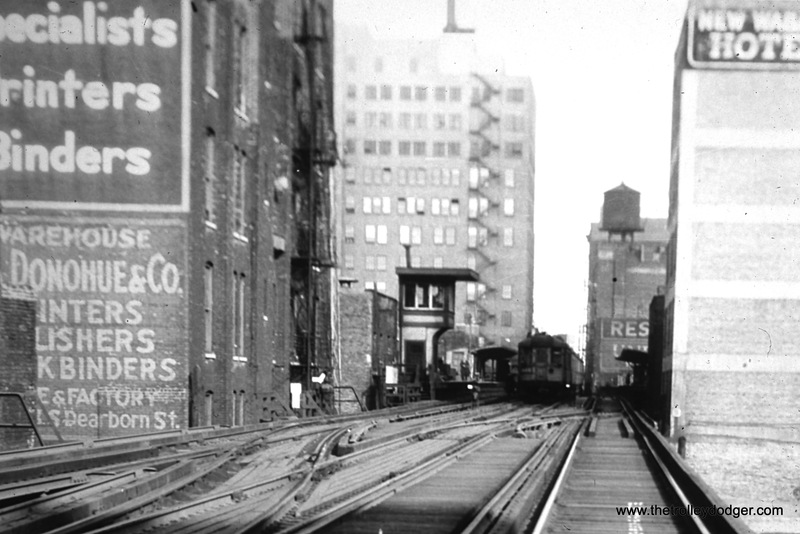 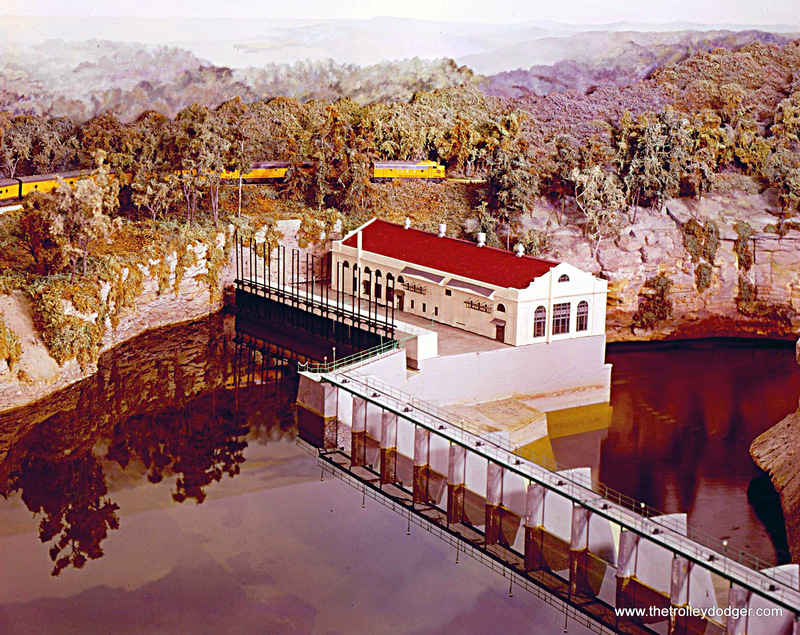 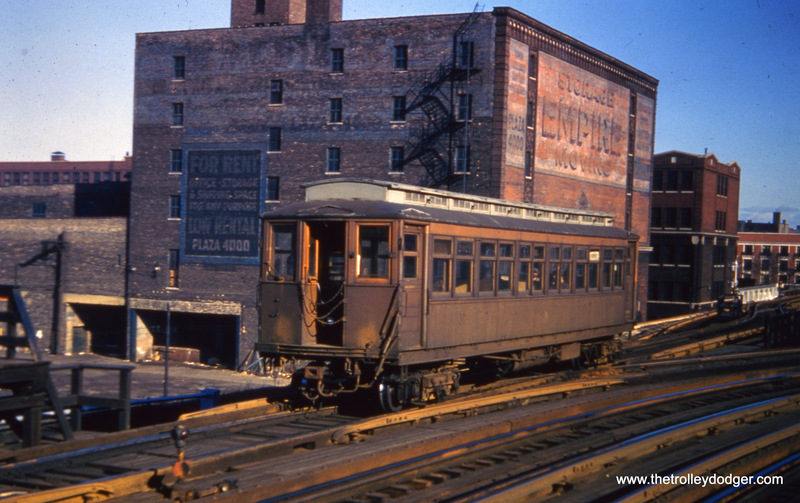 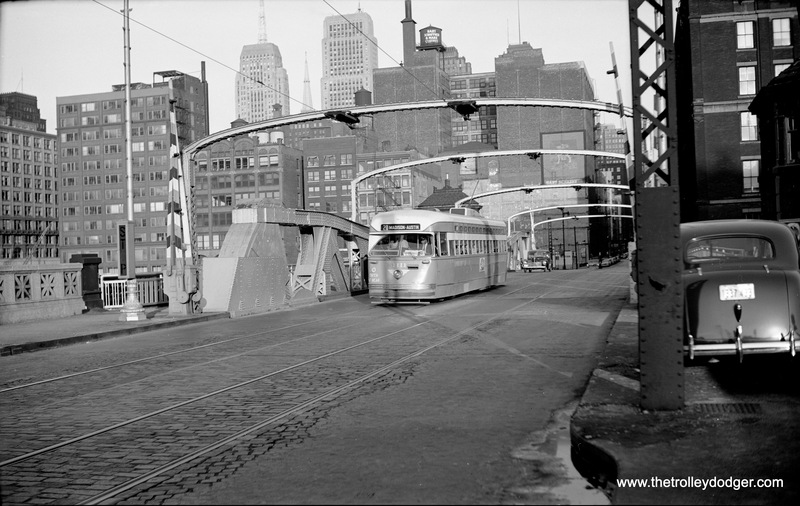 The story goes back much further than that… before there were rapid transit tunnels, there were tunnels under the Chicago River, used by cable cars and streetcars. 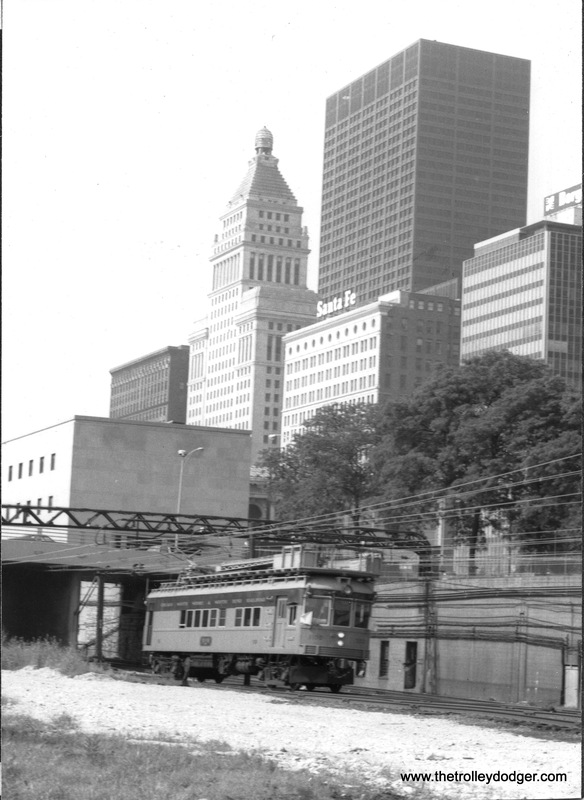 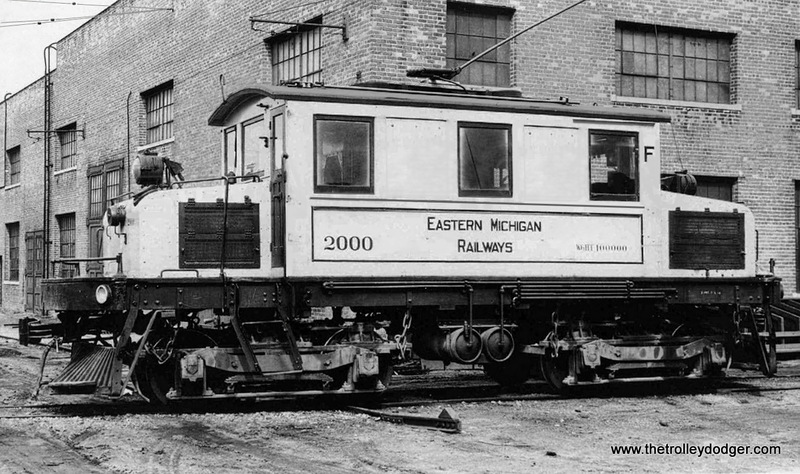 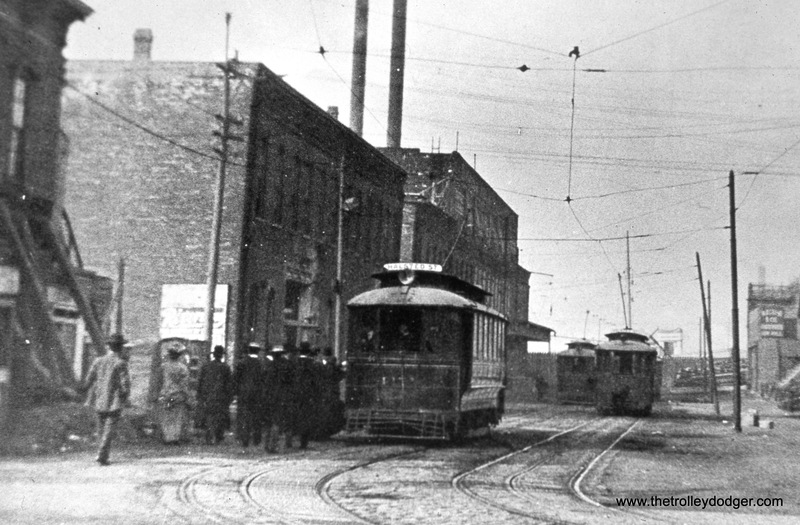 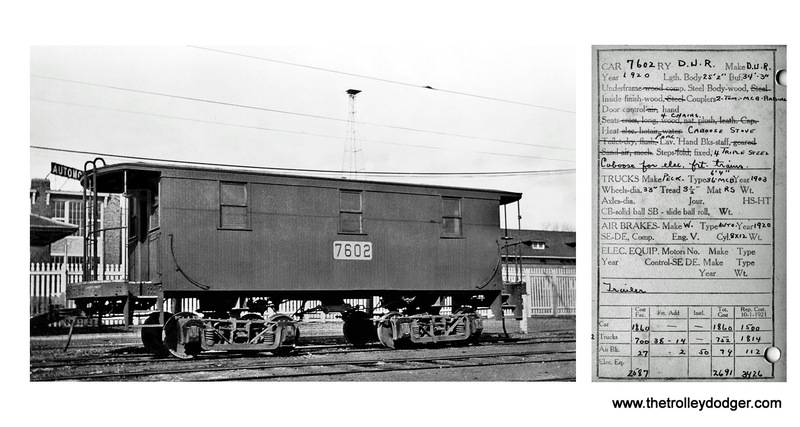 In the early 1900s, private enterprise built an extensive system of freight tunnels under the downtown area. 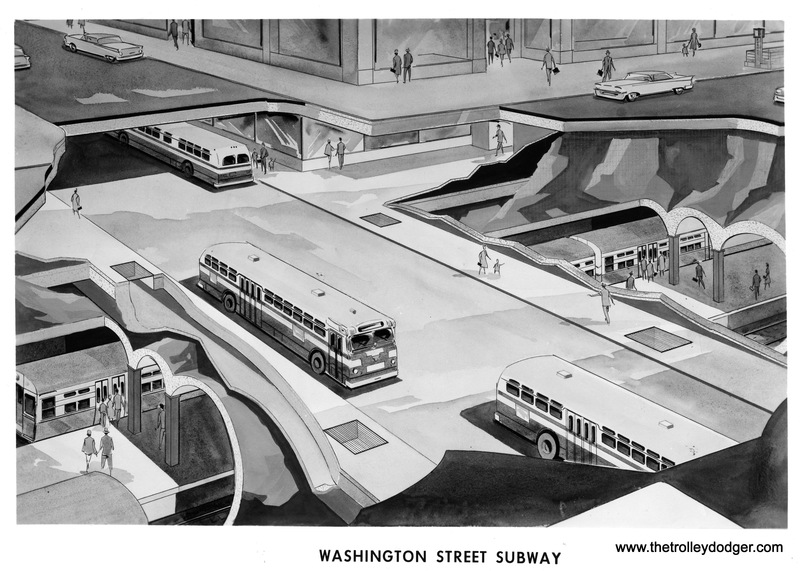 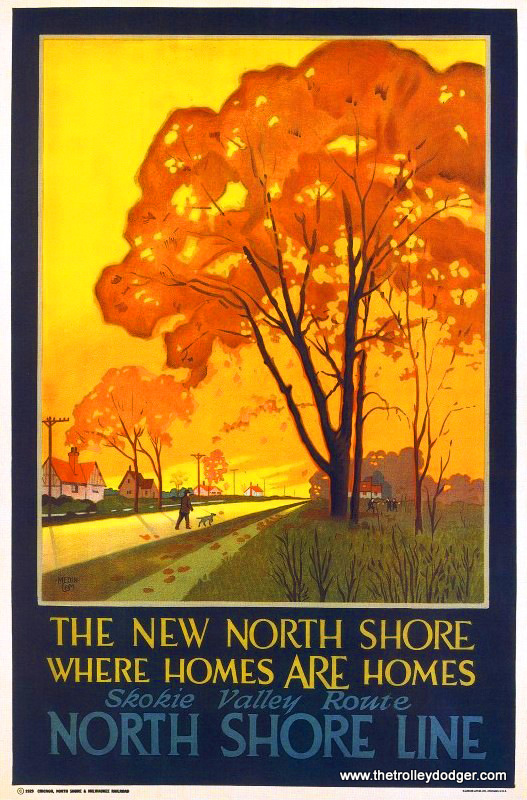 And there was about 40 years of wrangling over what kind of subway to build, where to build it, and who should pay for it. 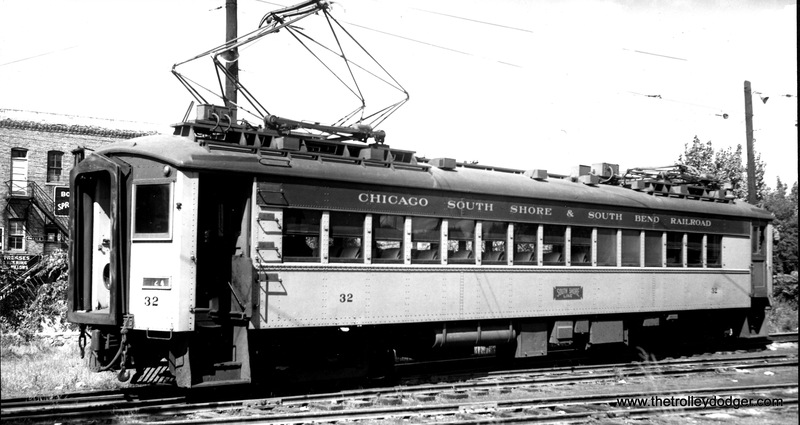 I found it a fascinating tale, and am gratified that I have been able to complete this new book in time for the anniversary, and within the living memory of Chicagoans who were here to witness these events 75 long years ago. 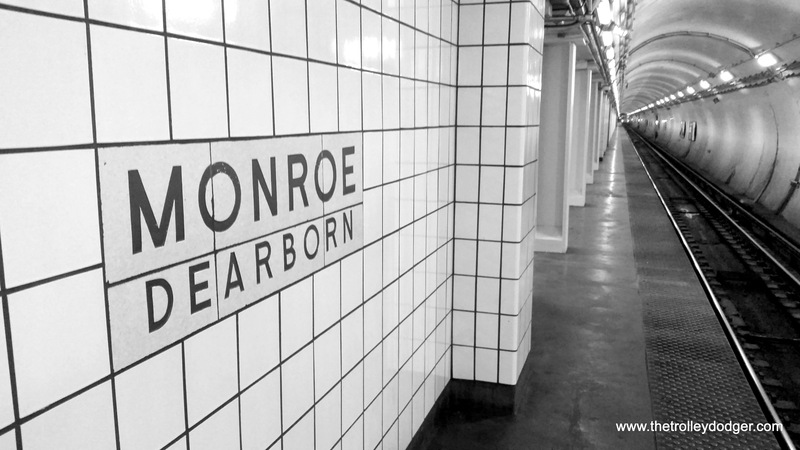 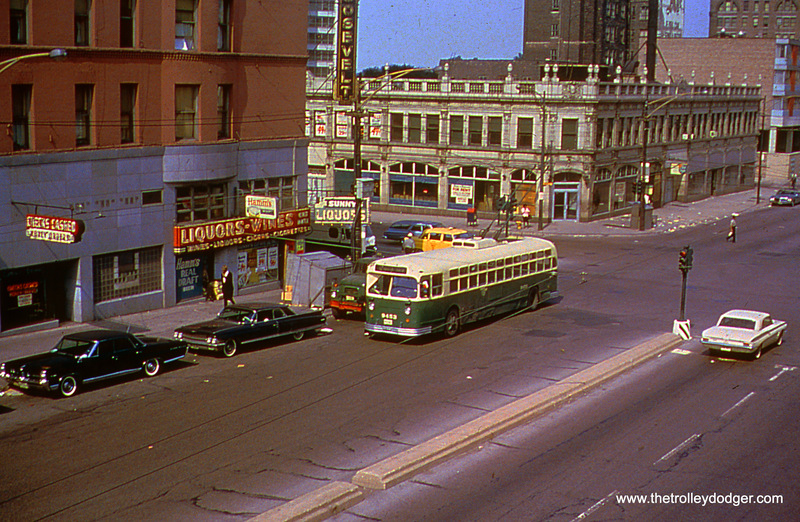 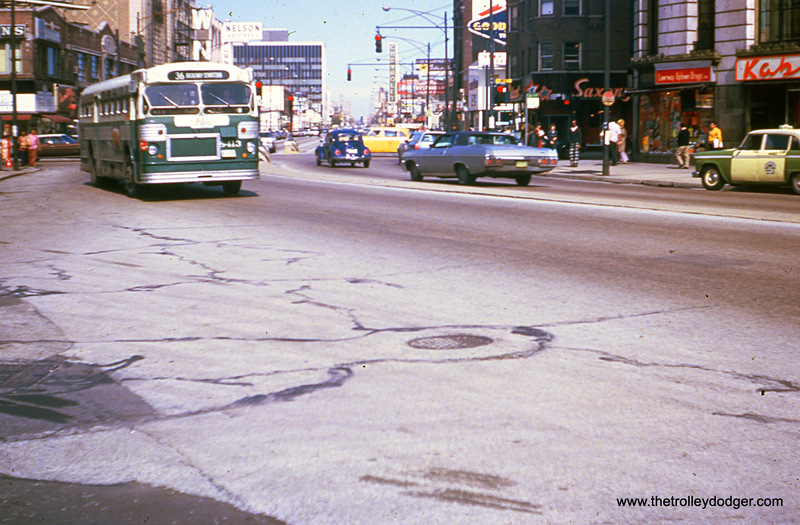 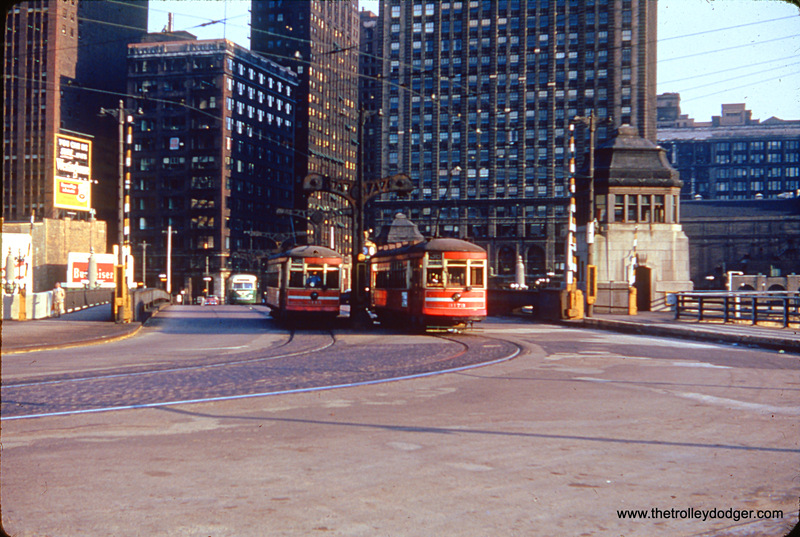 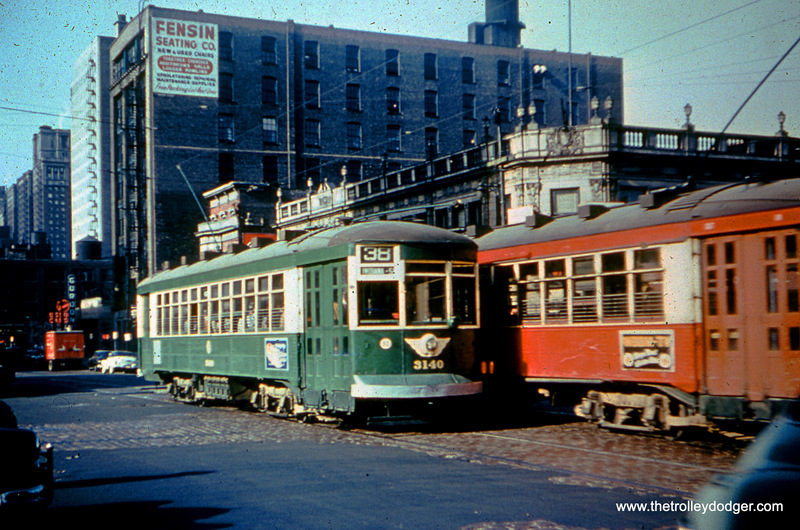 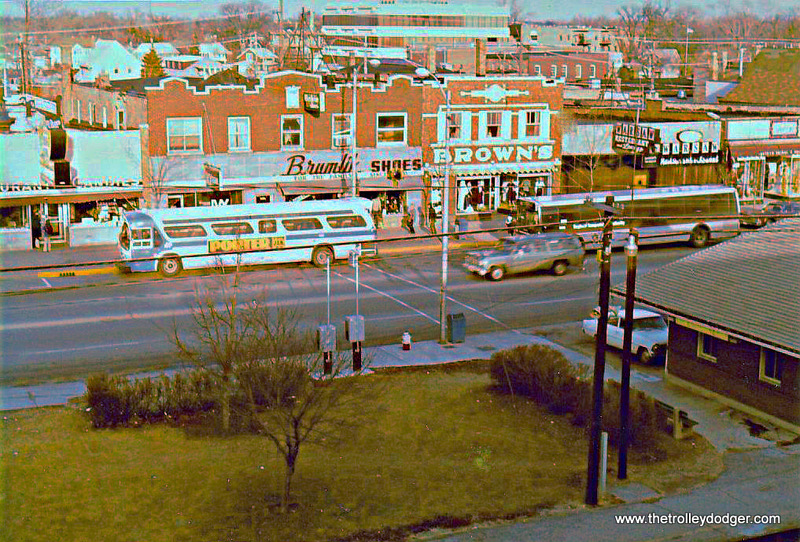 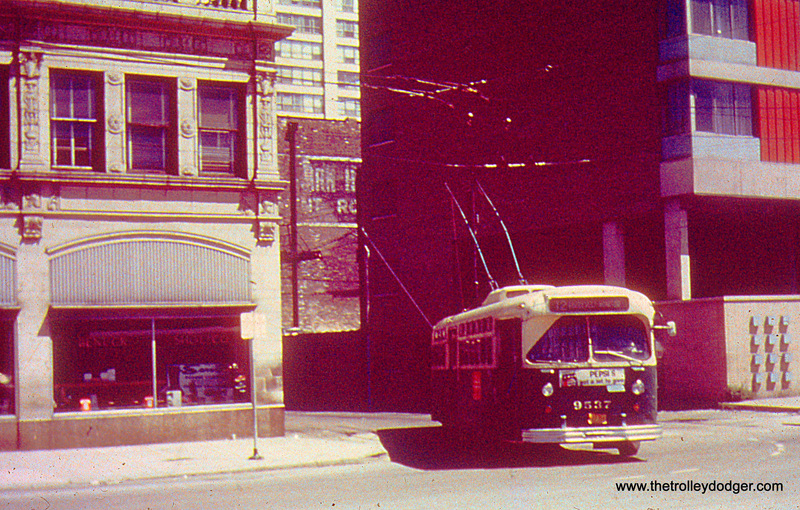 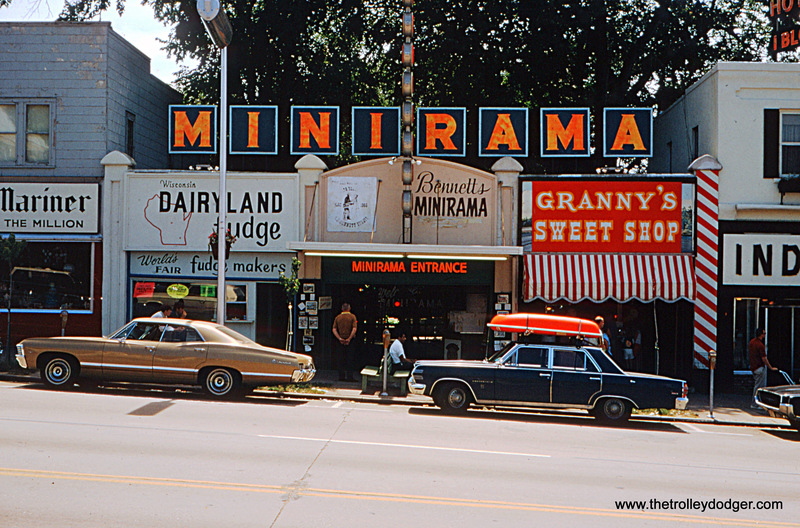 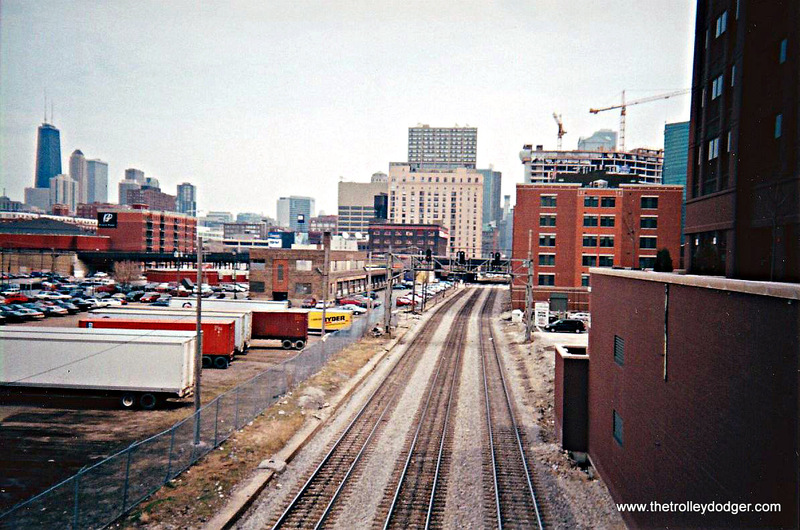 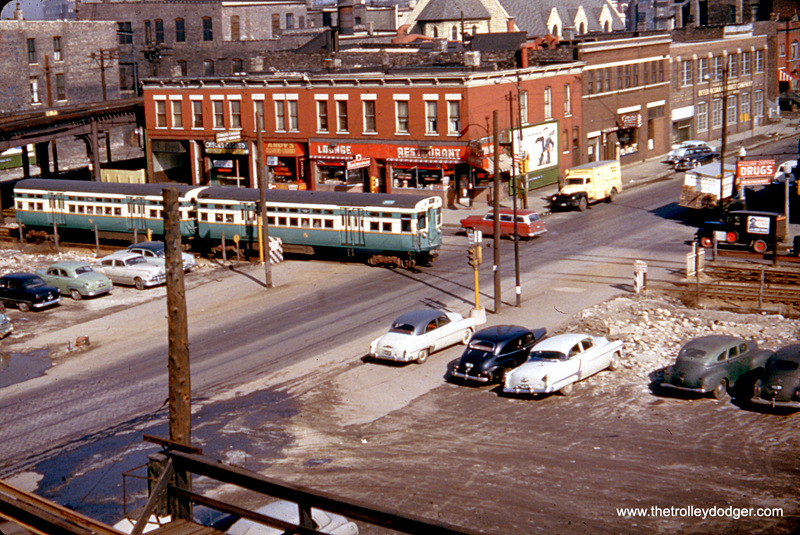 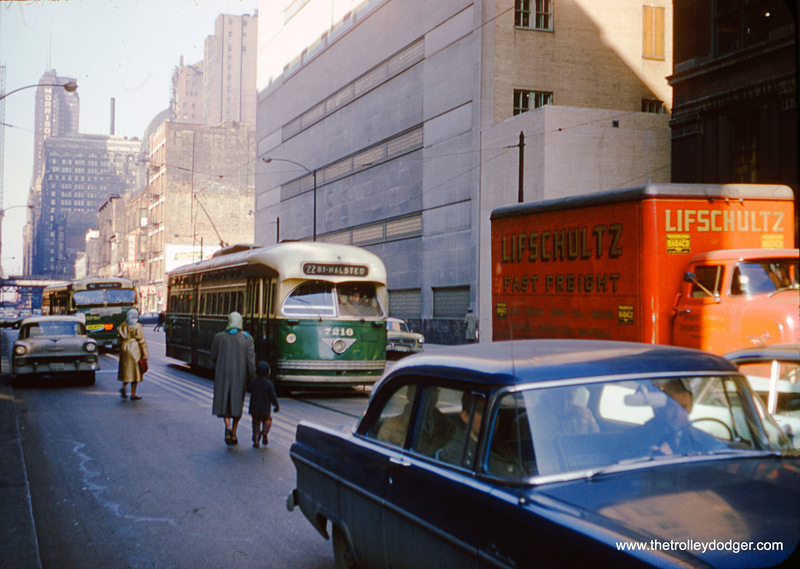 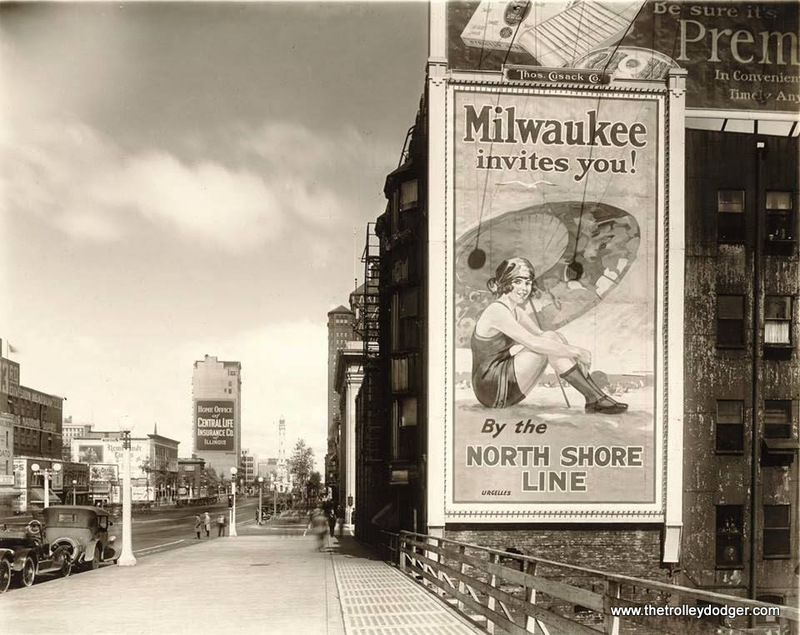 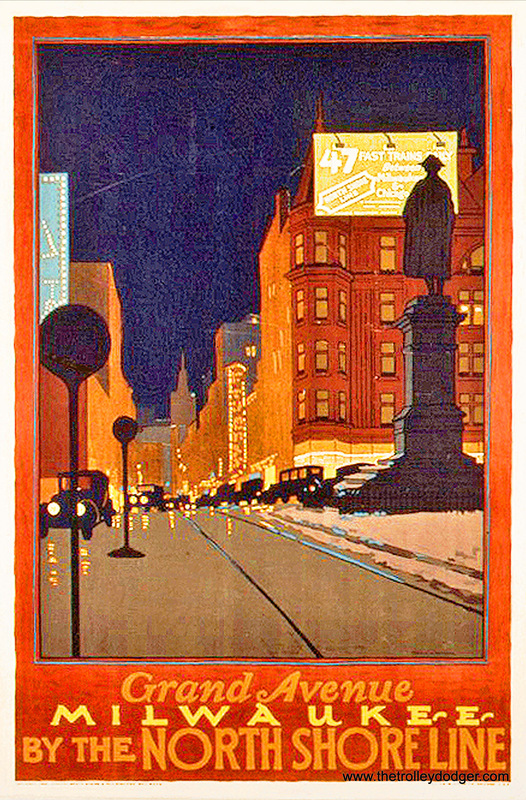 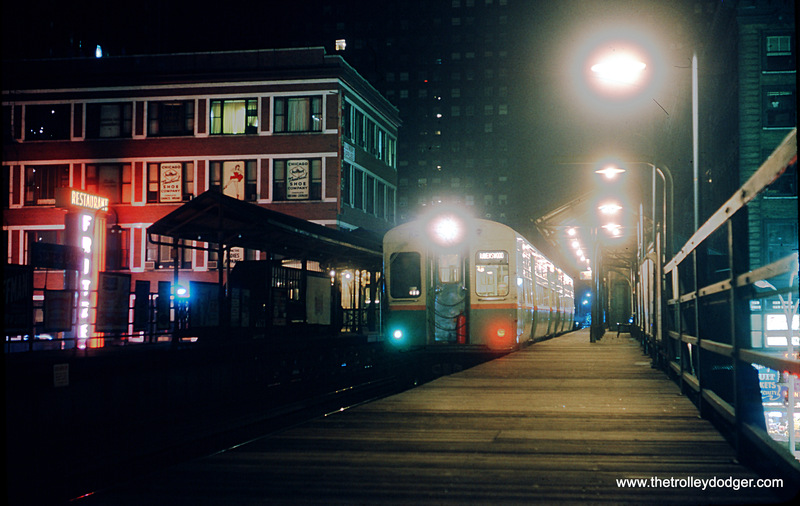 The State Street, Dearborn-Milwaukee and West Side Subways have changed life for everyday Chicagoans forever.